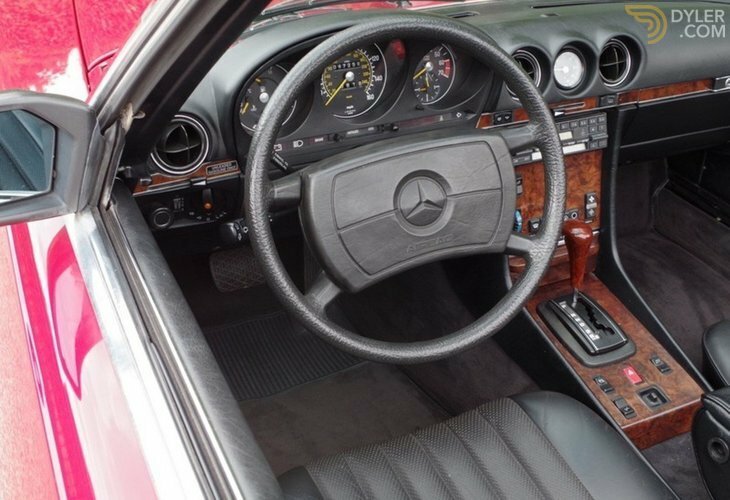 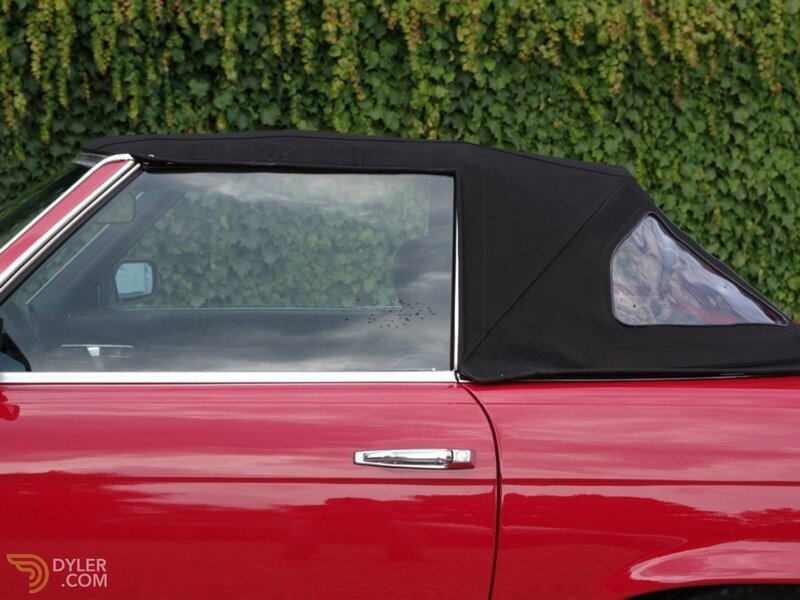 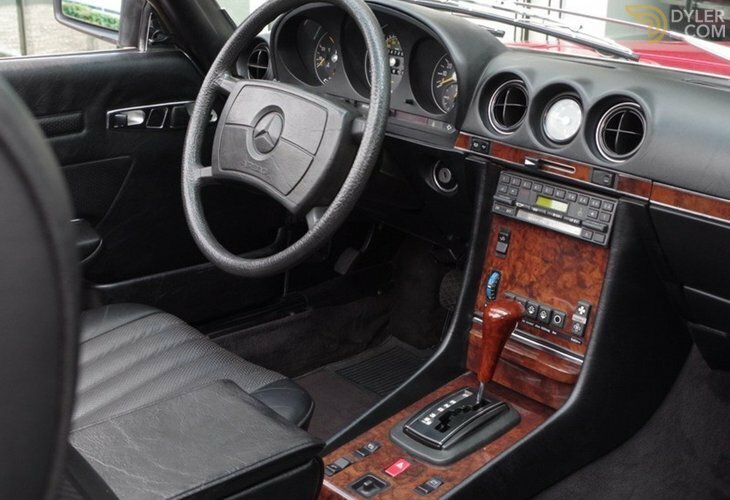 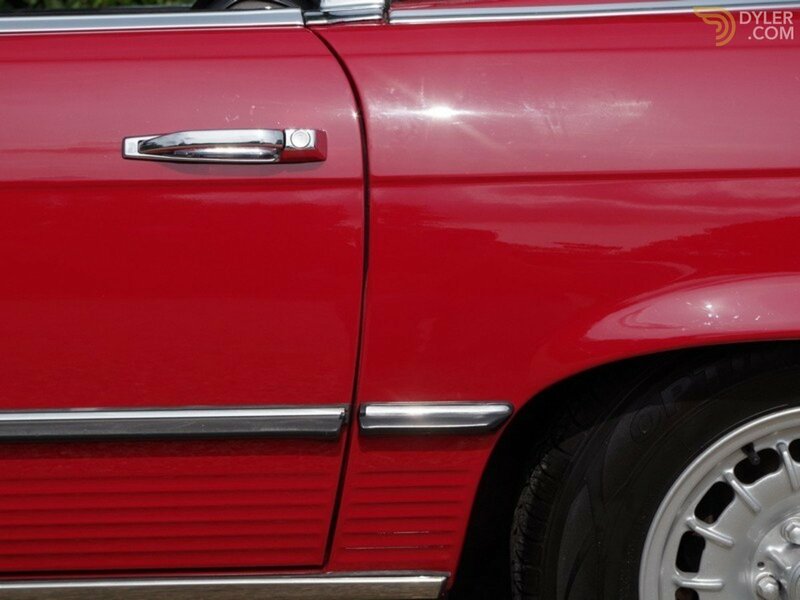 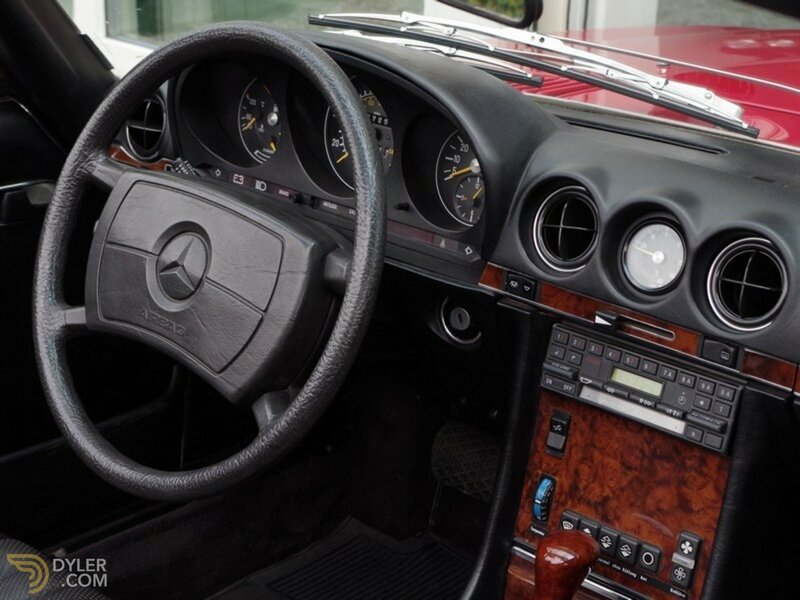 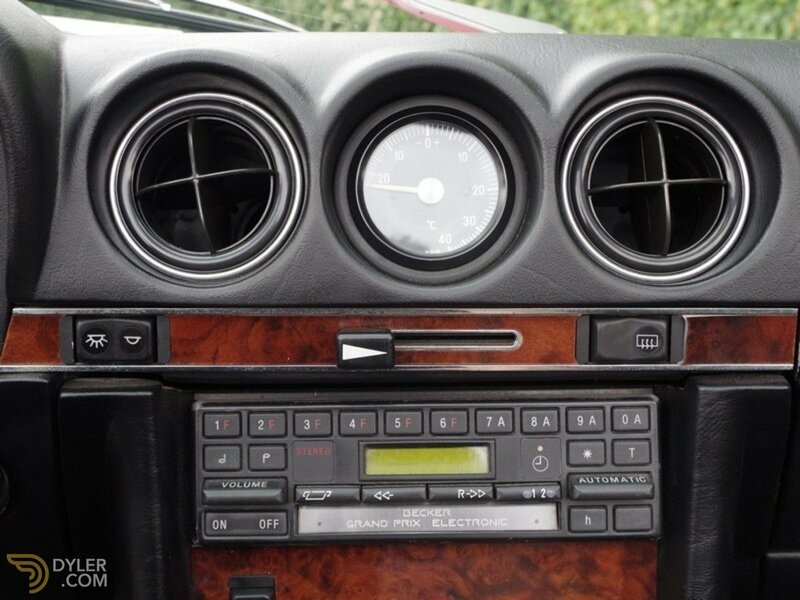 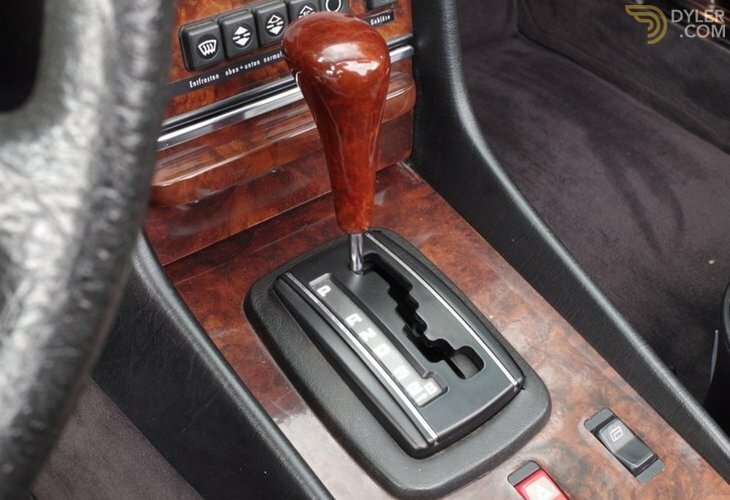 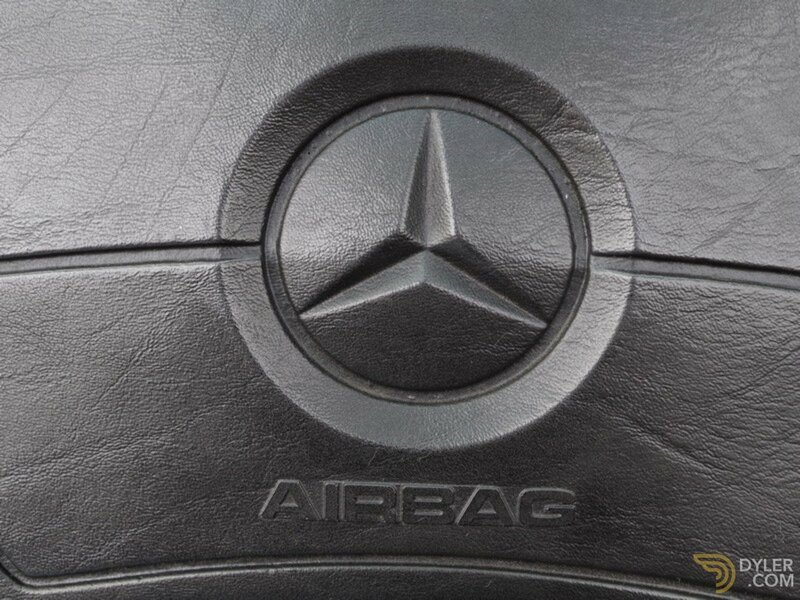 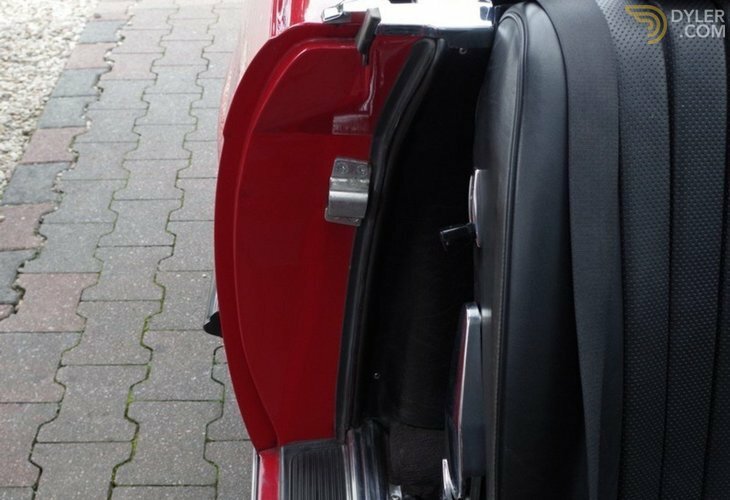 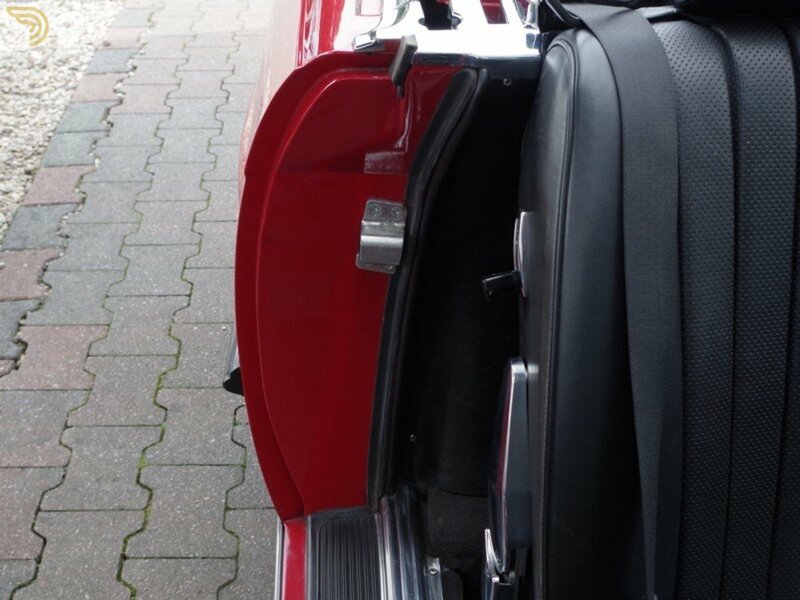 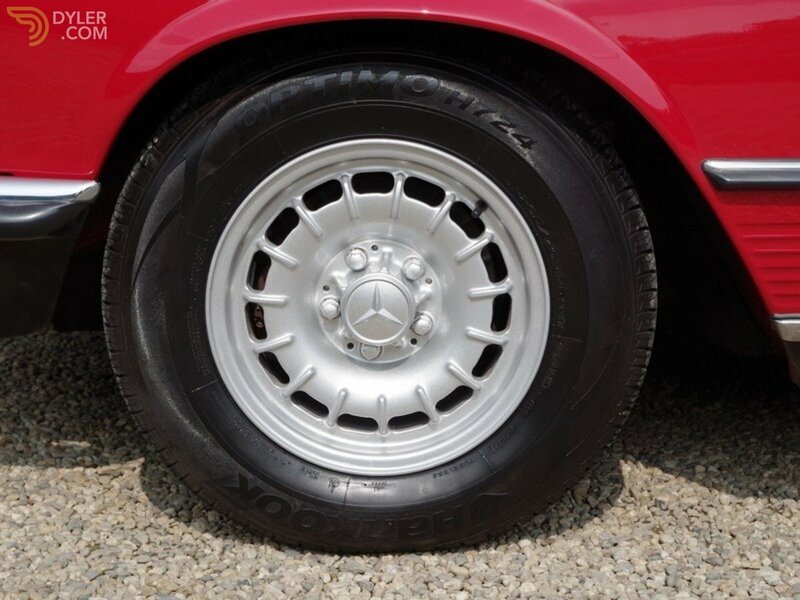 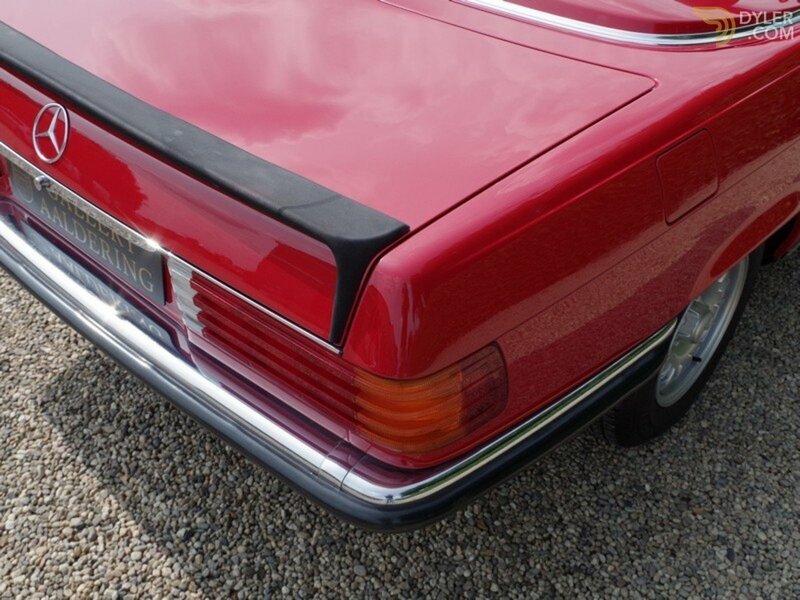 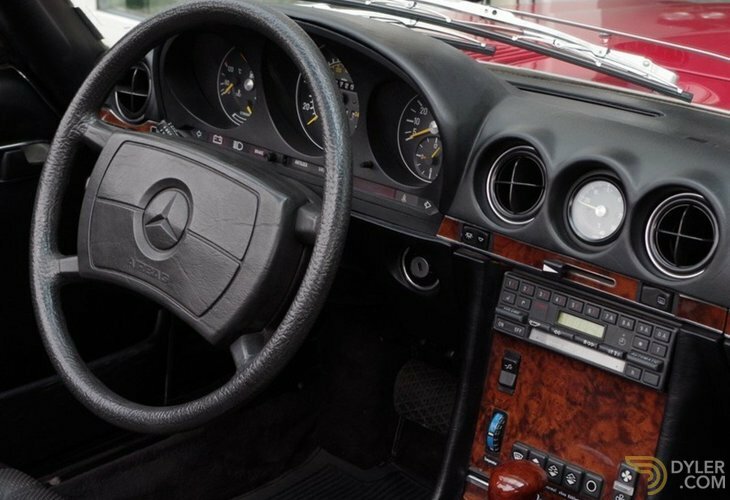 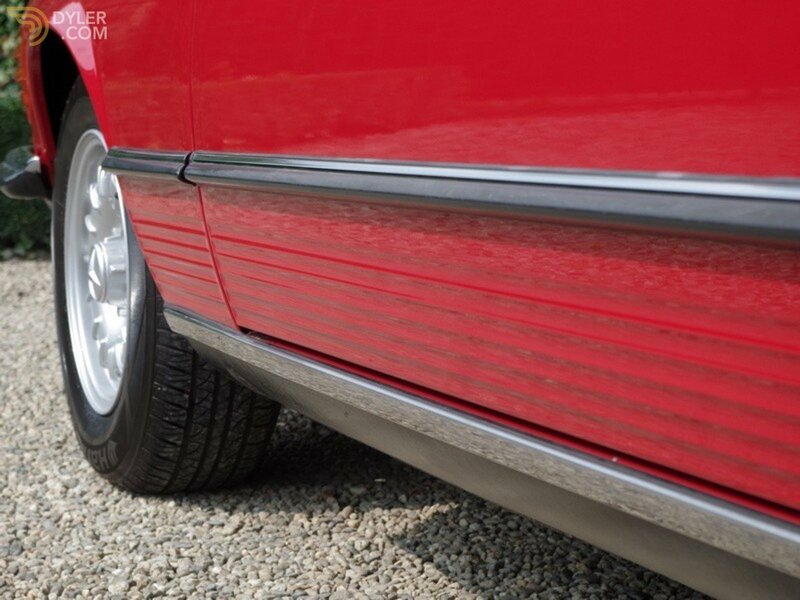 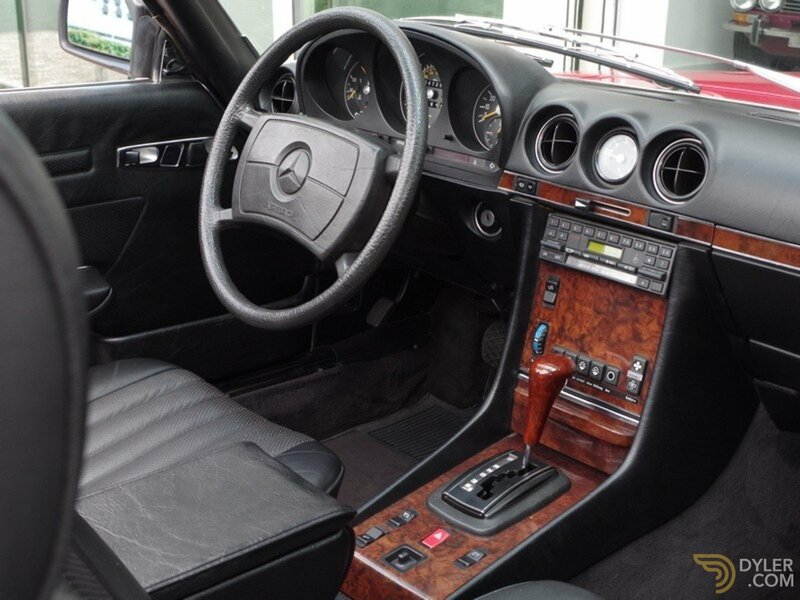 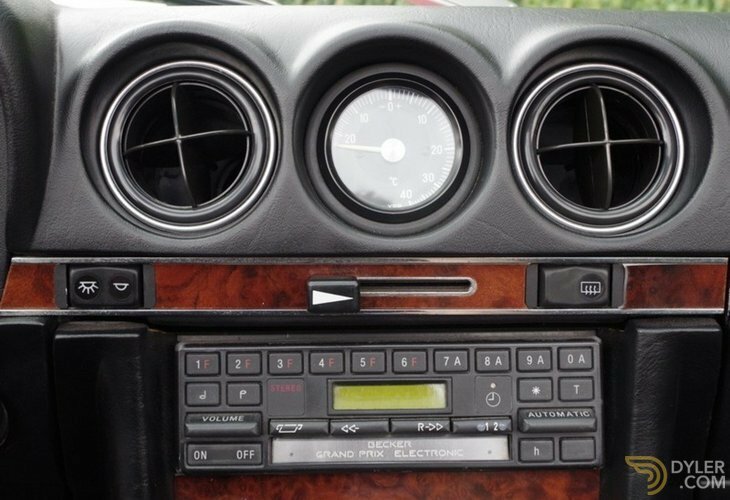 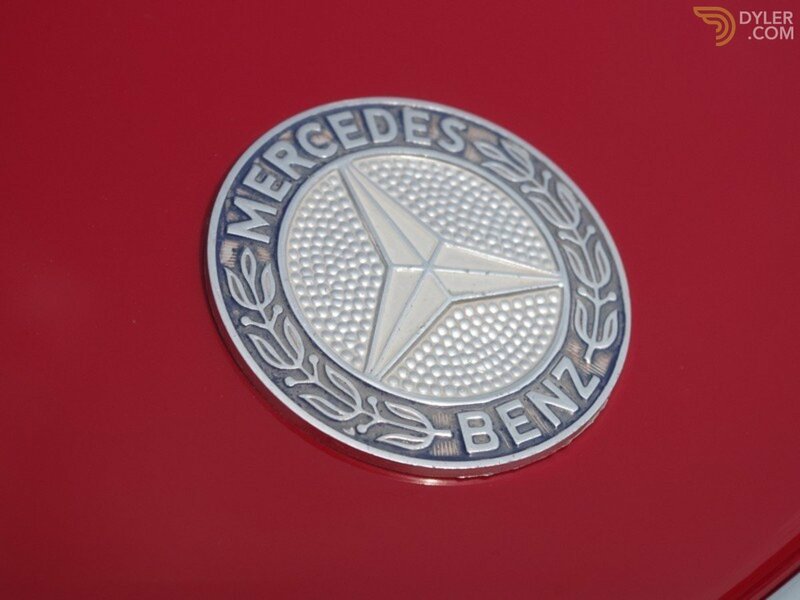 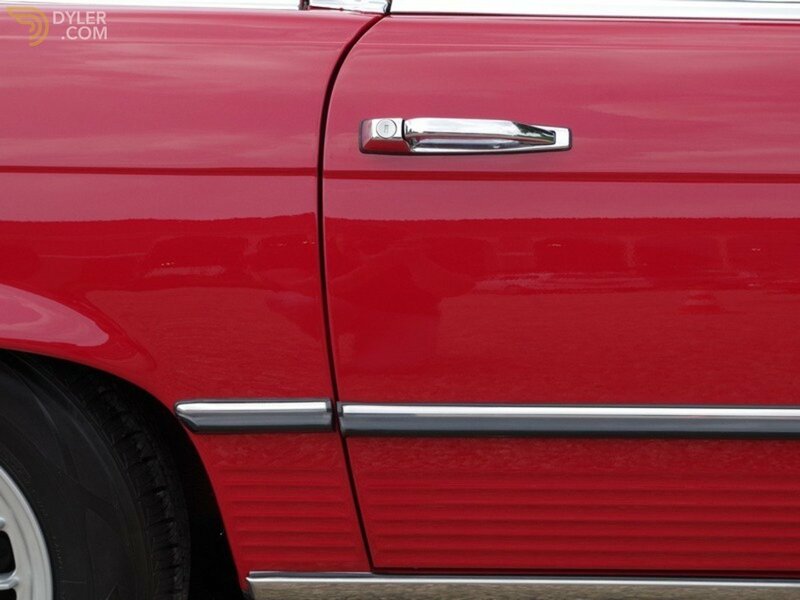 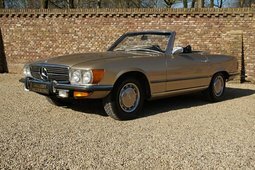 Mercedes Benz 500SL W107 in a highly authentic condition. 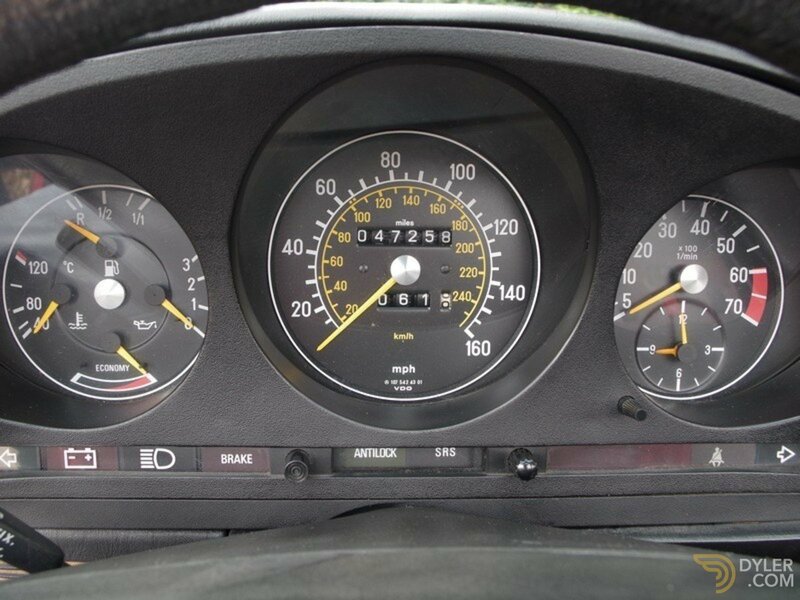 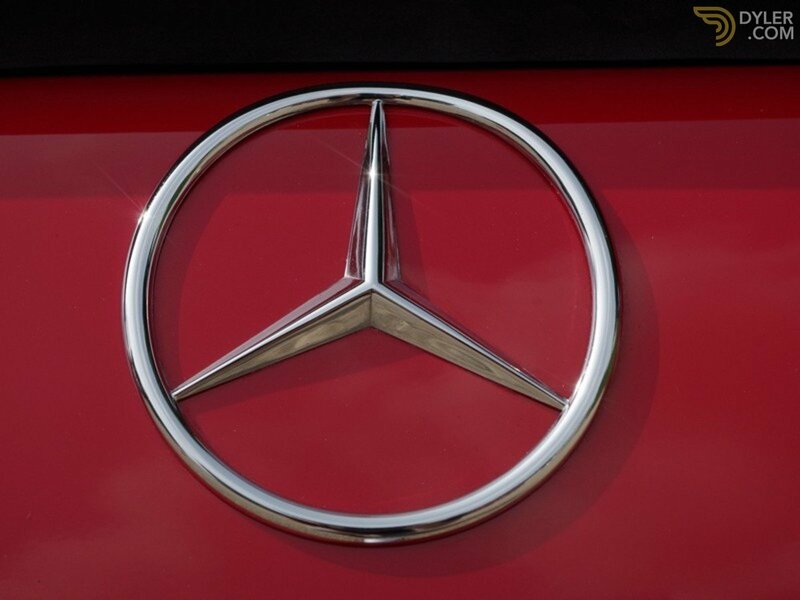 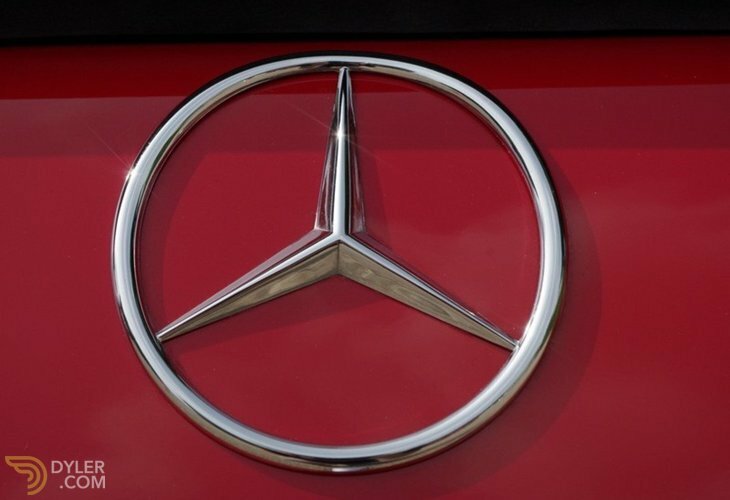 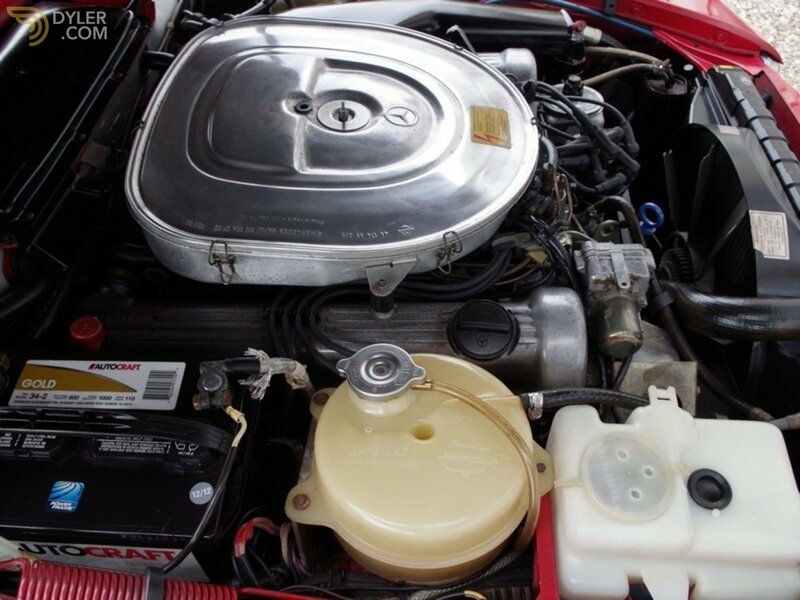 It originates from Suwanee, Georgia USA and has driven only 47.285 miles. 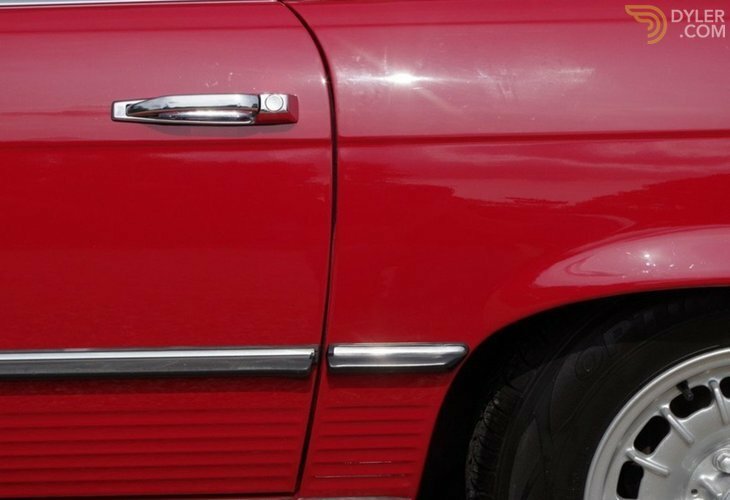 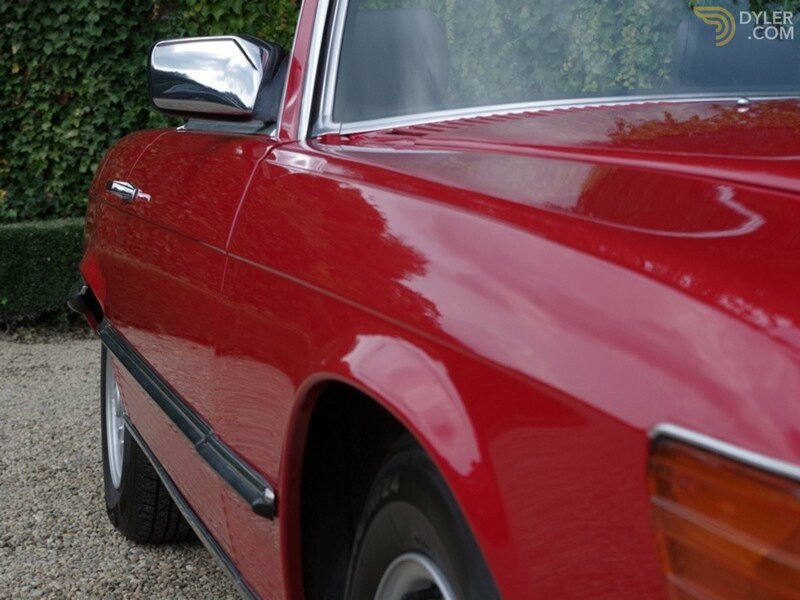 The car still is in rust free and highly authentic condition thanks to the dry American climate. 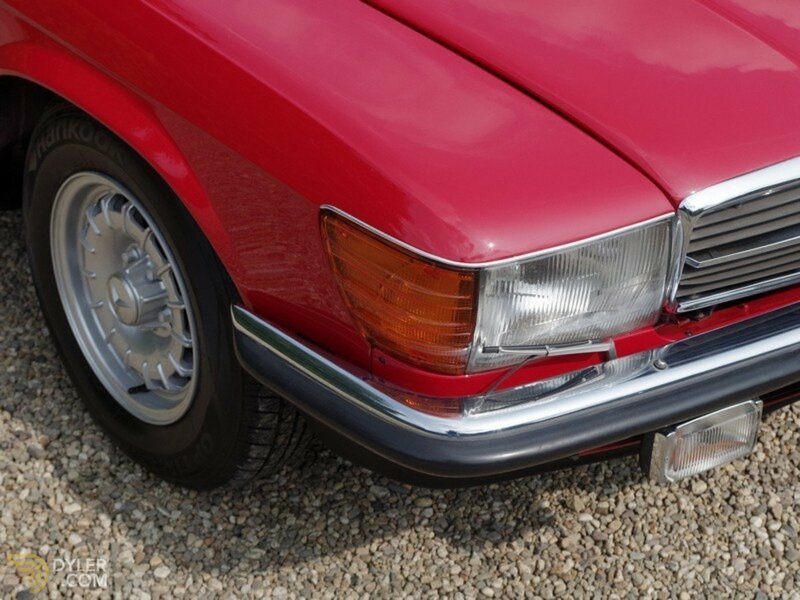 It has never required restoration. 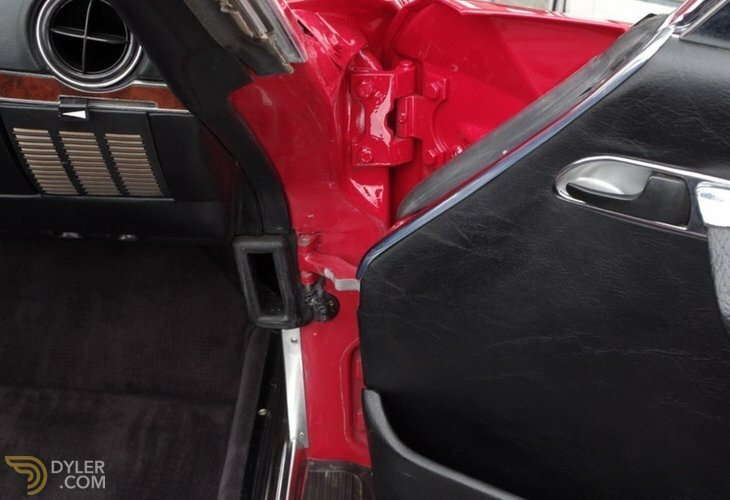 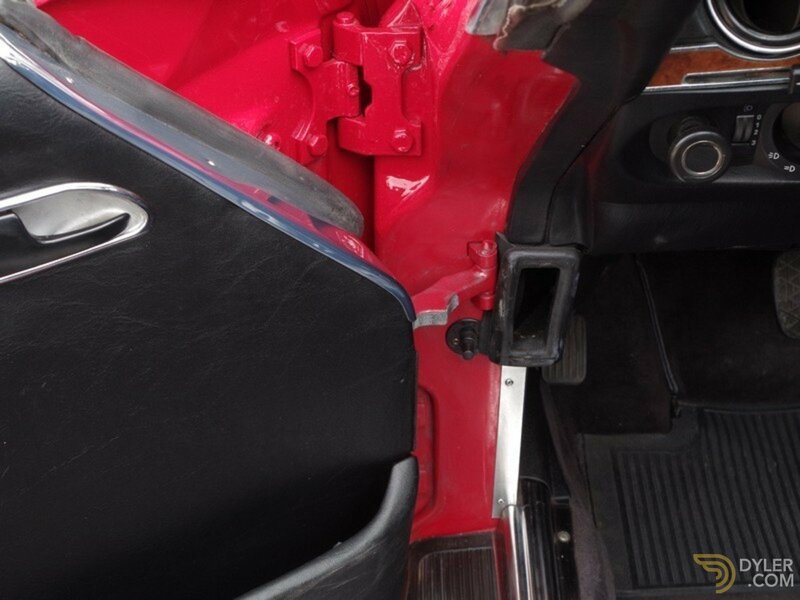 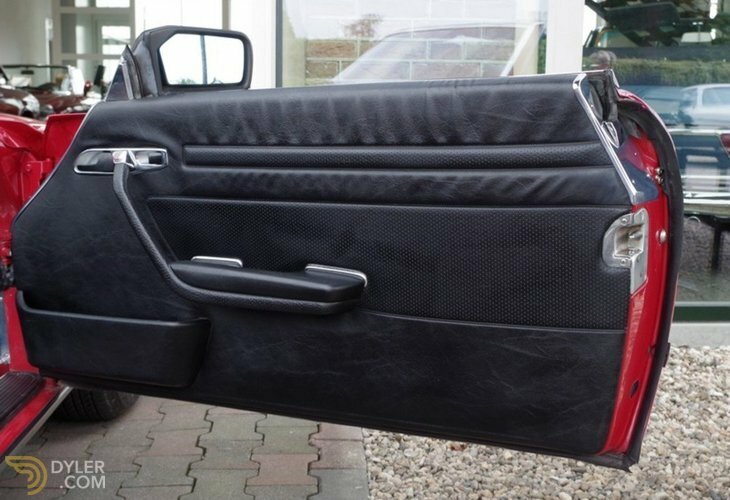 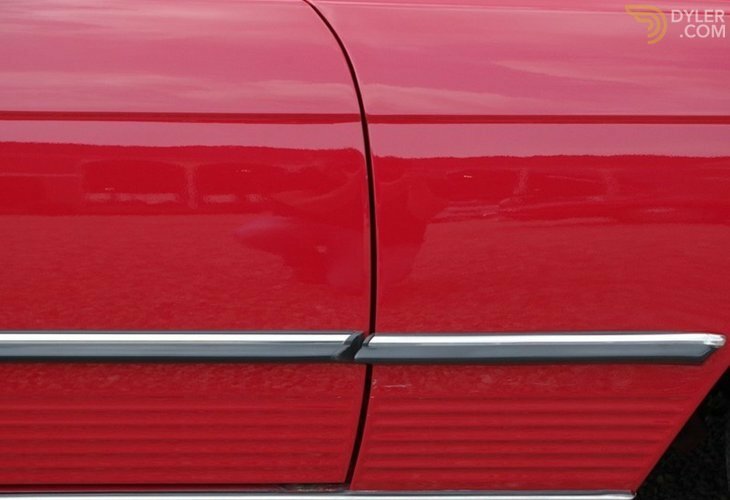 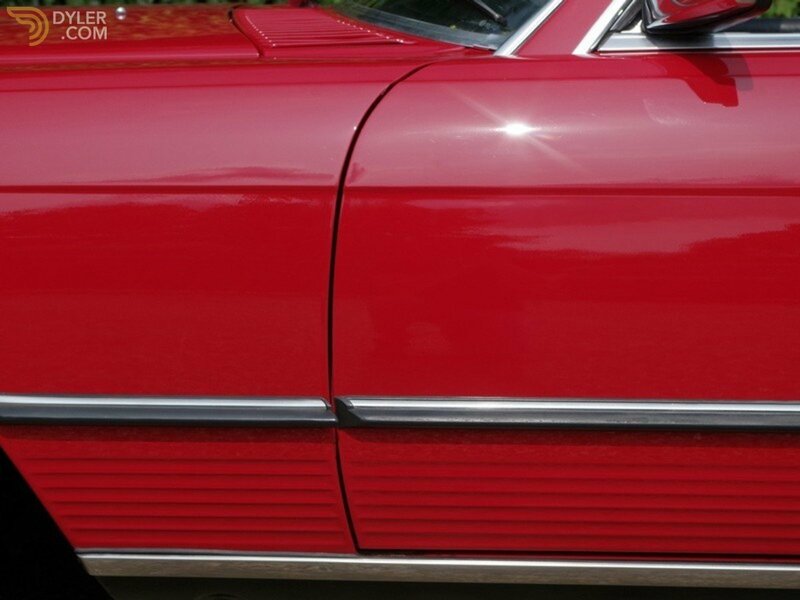 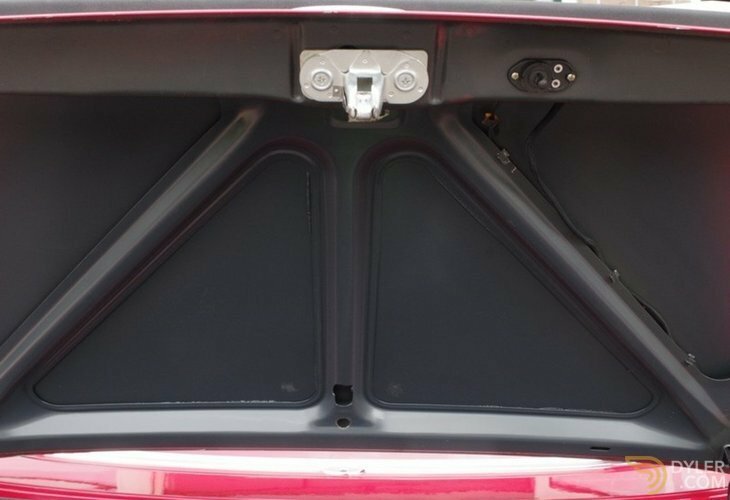 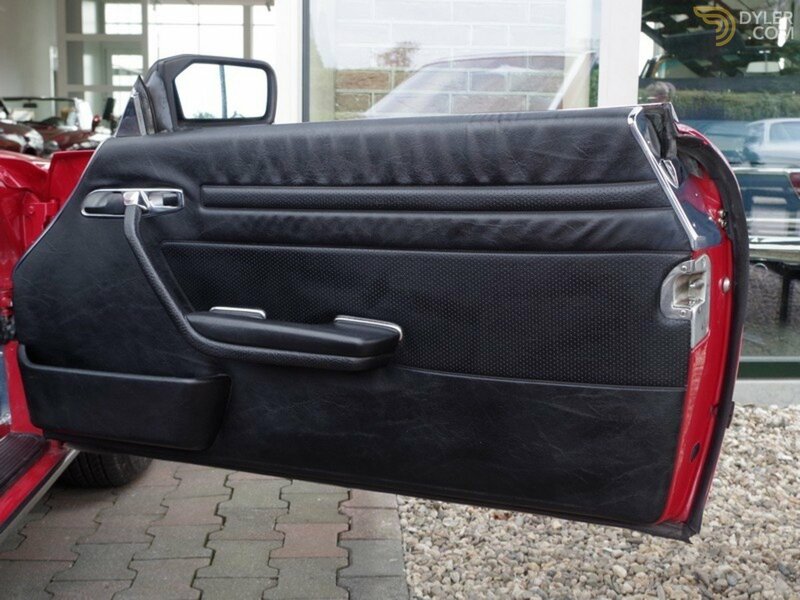 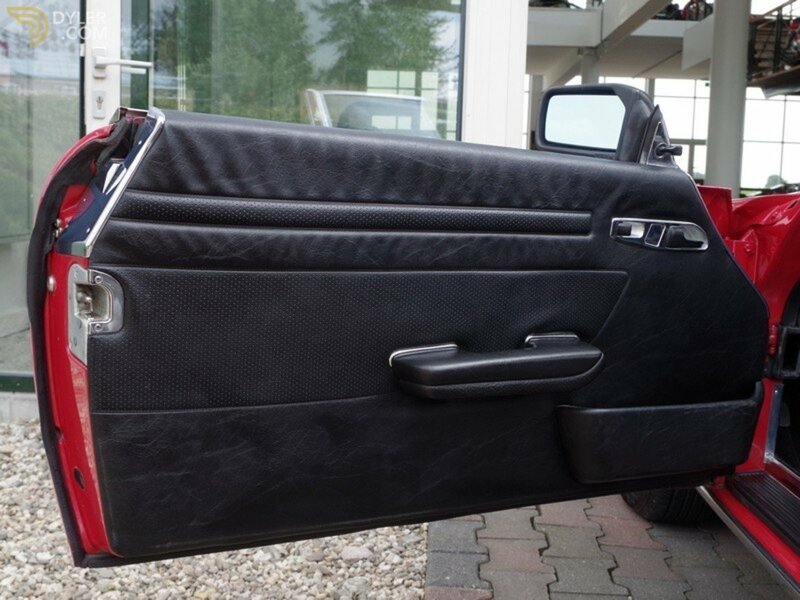 The body is beautiful and has got straight panels with all the panels fitting perfectly. 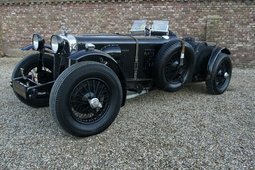 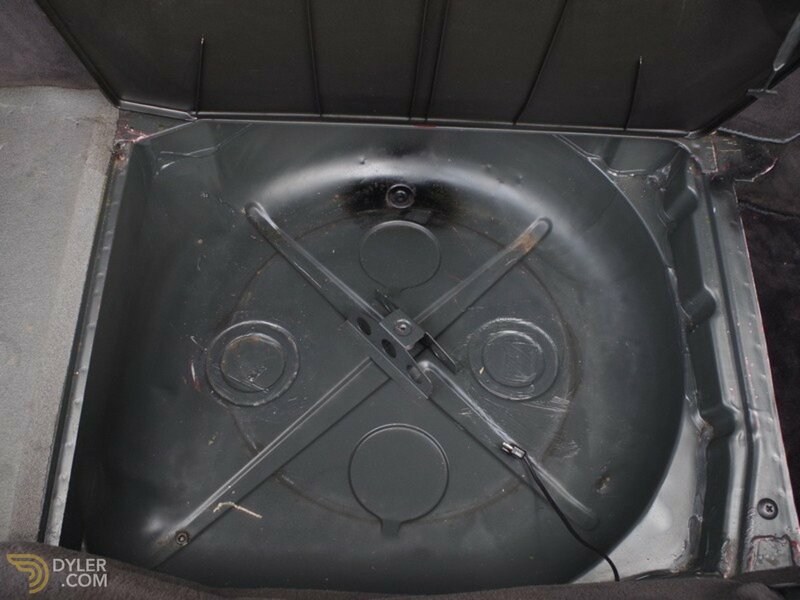 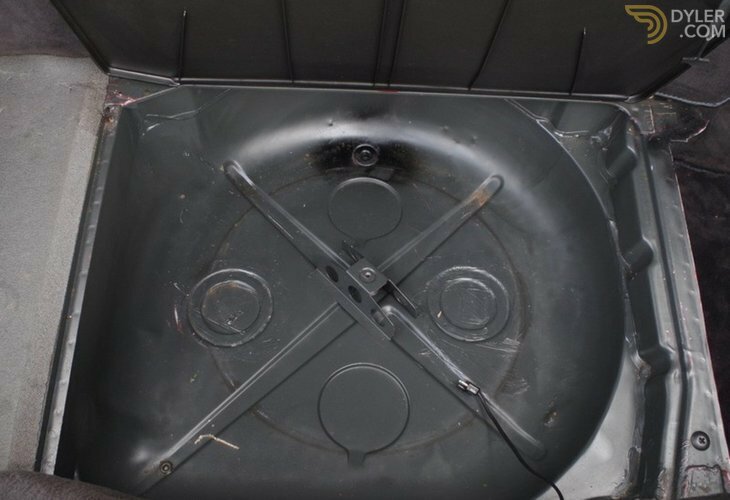 The original chassis and just like the rest of the car, free from rust! 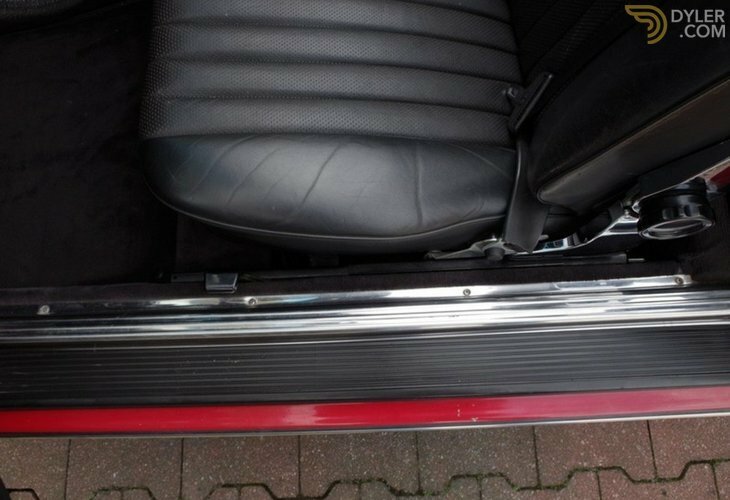 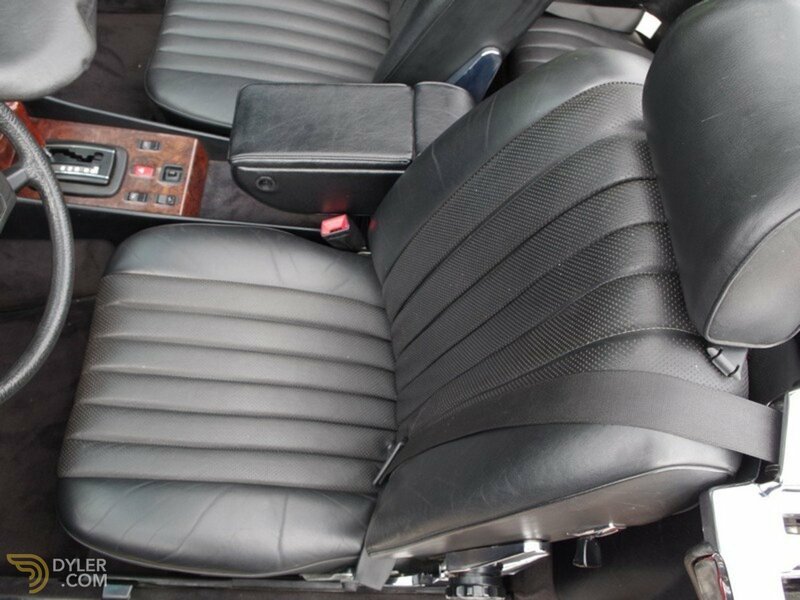 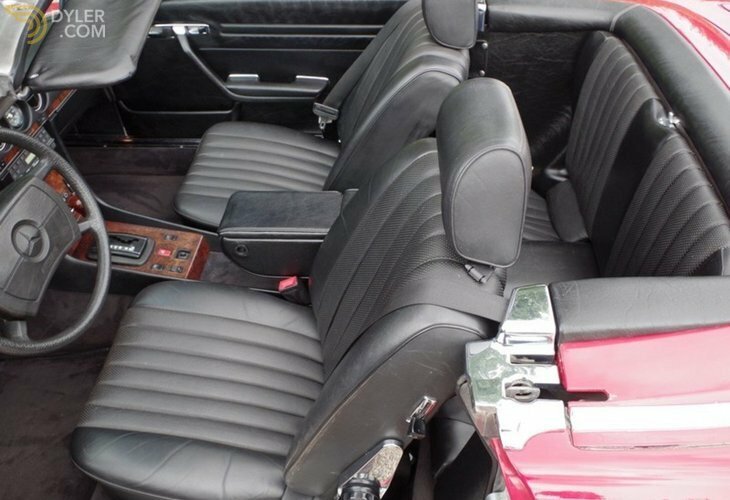 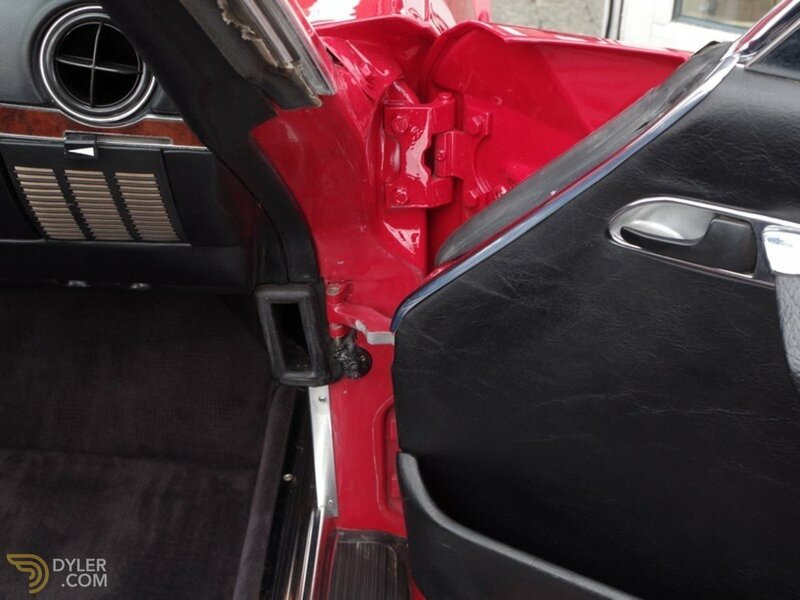 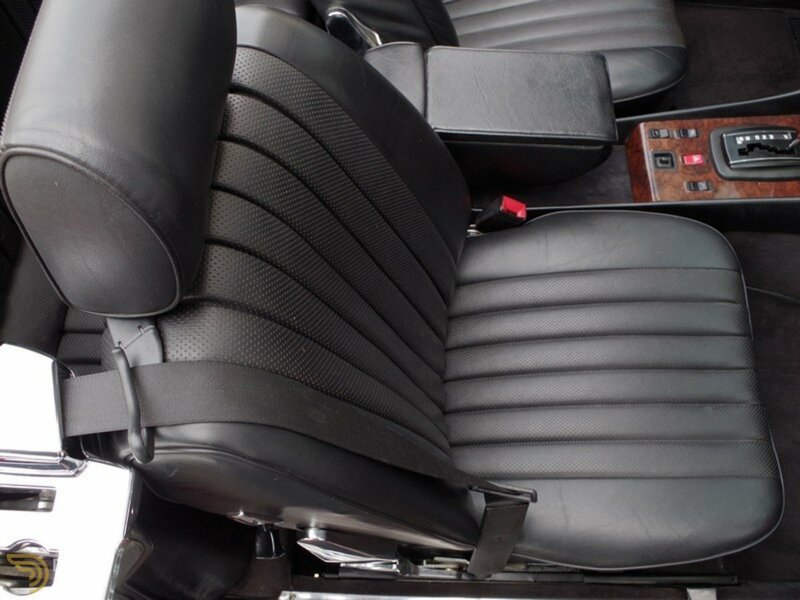 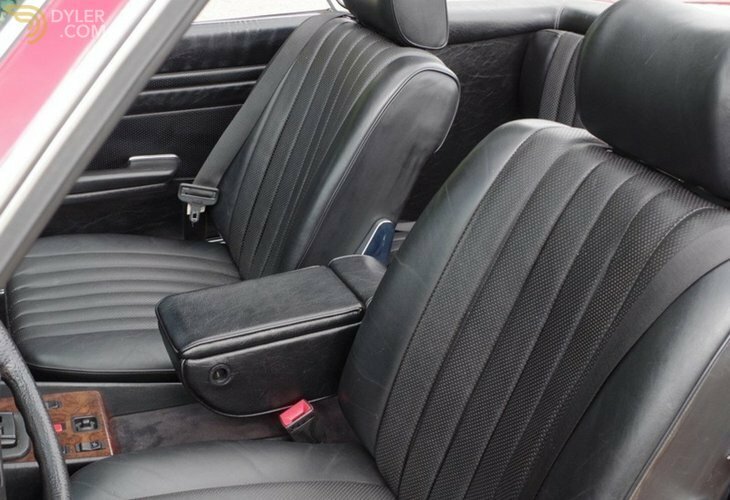 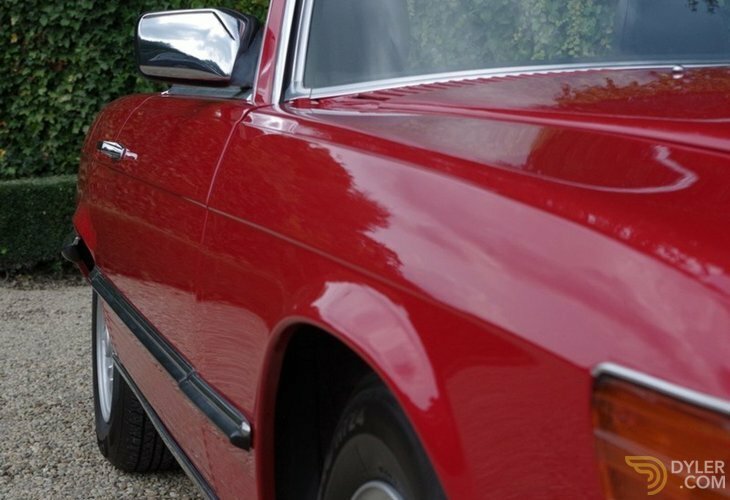 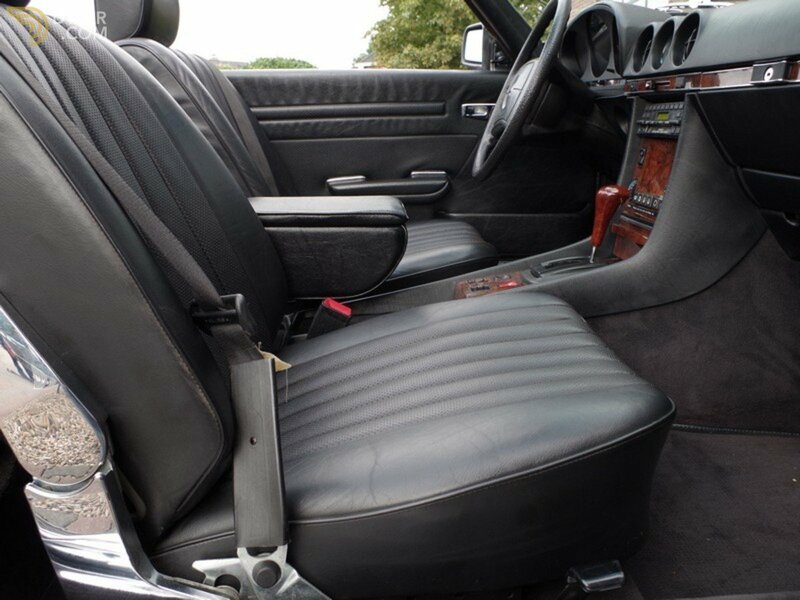 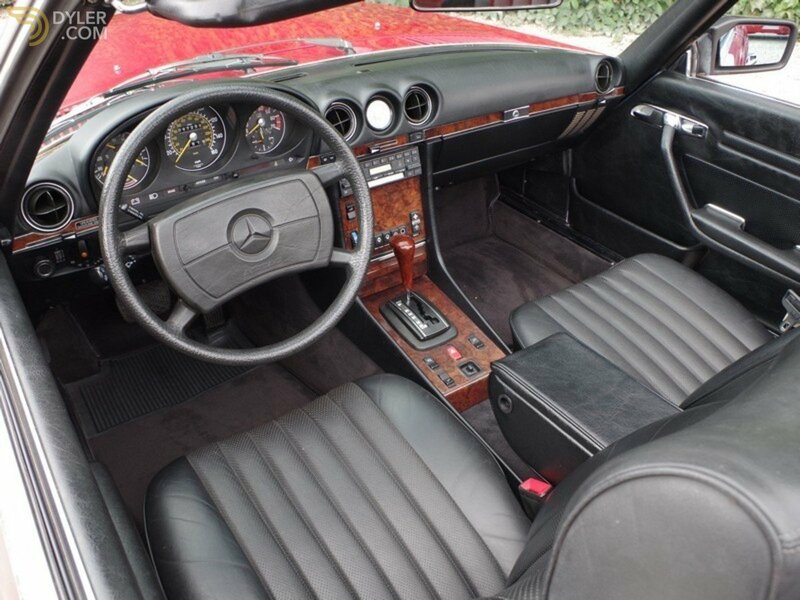 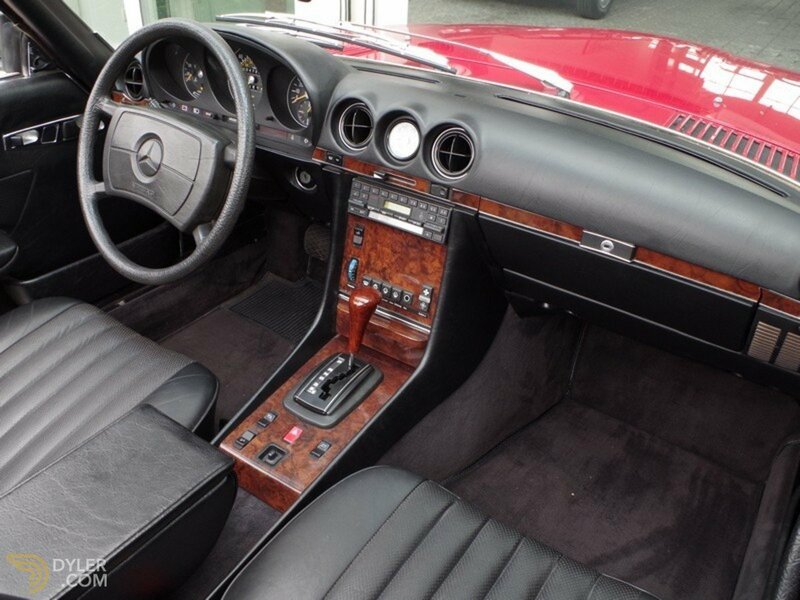 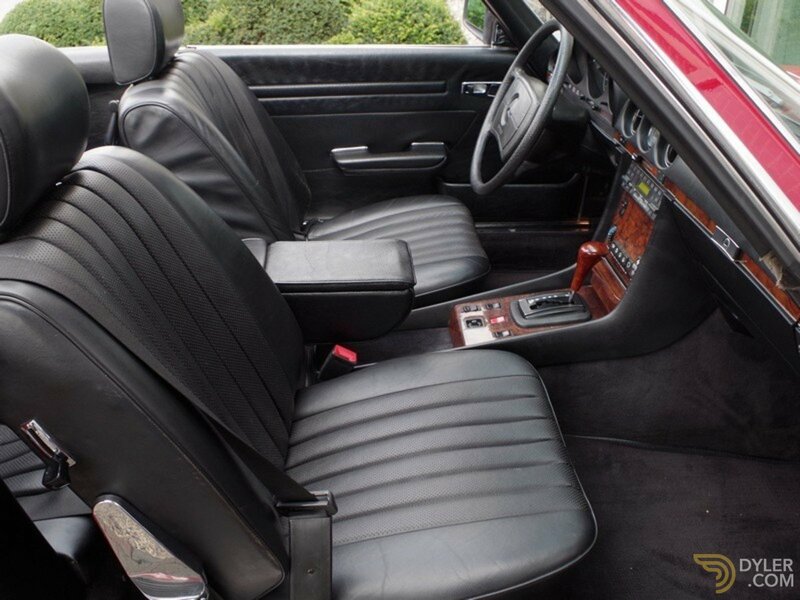 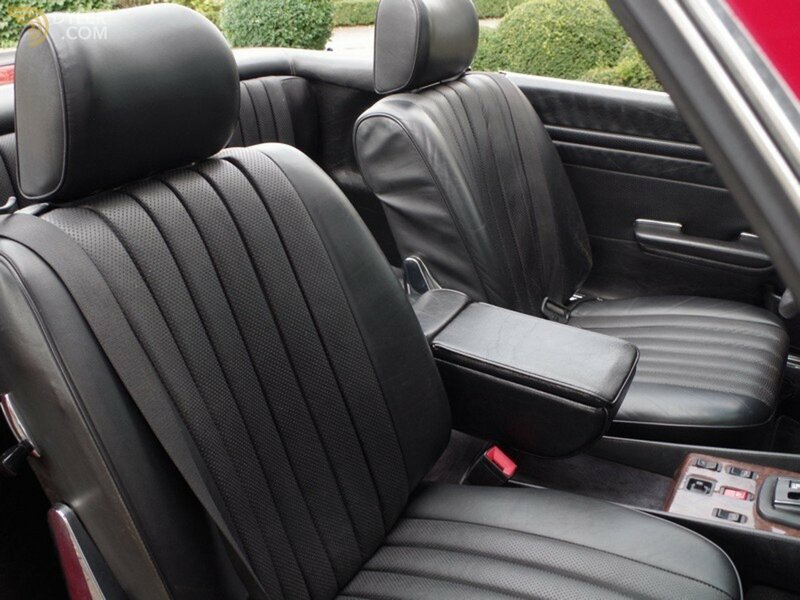 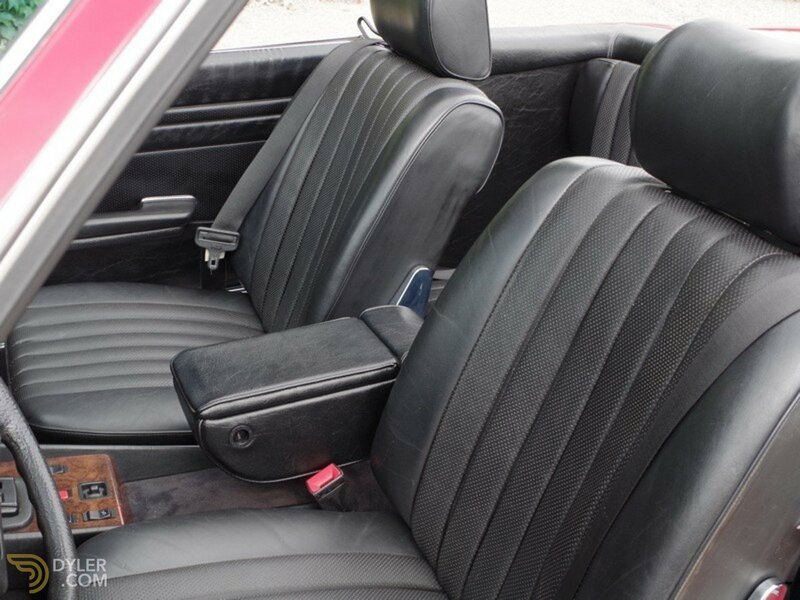 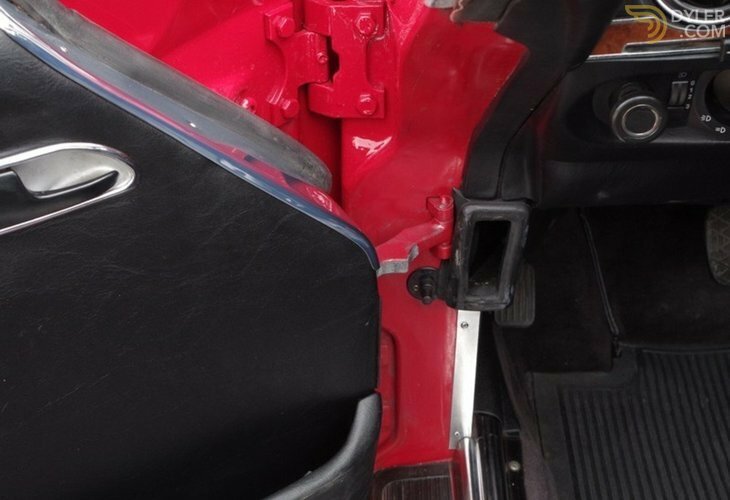 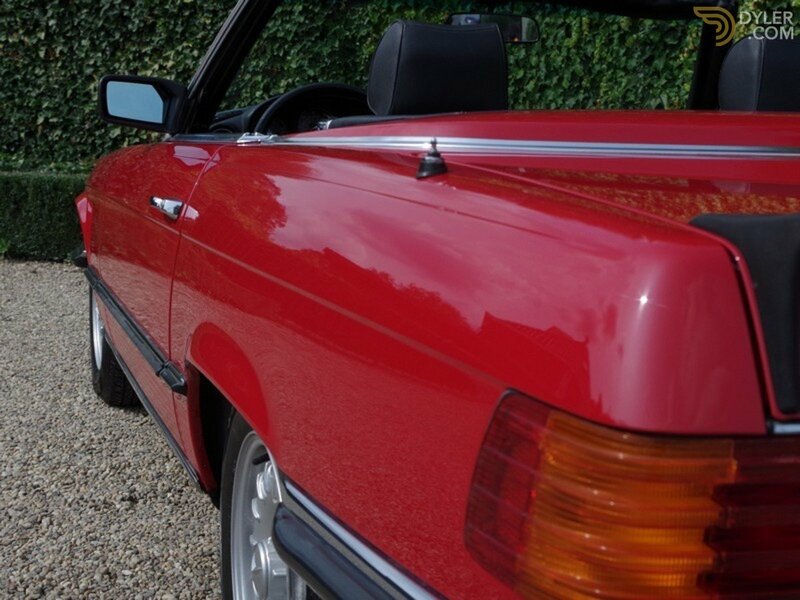 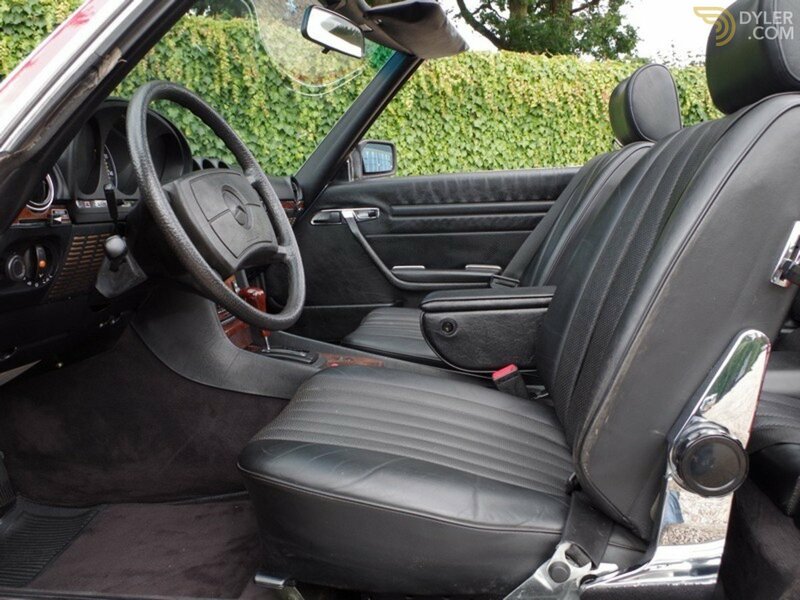 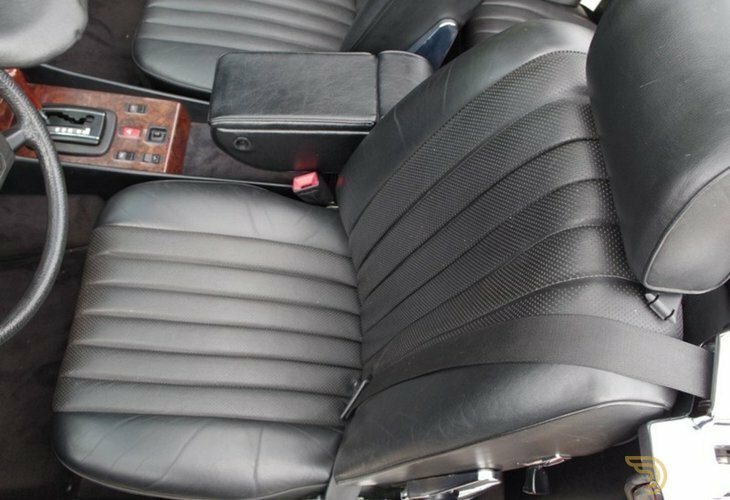 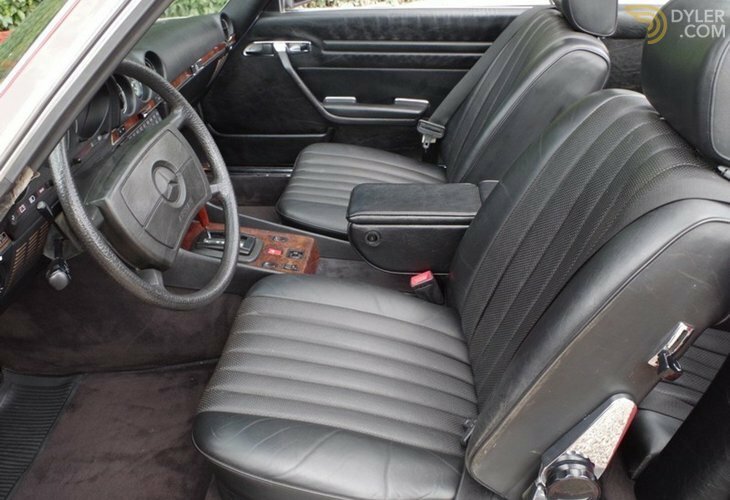 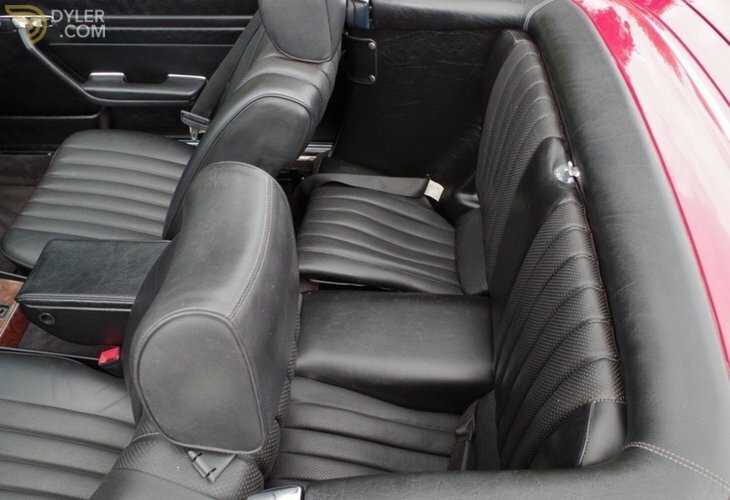 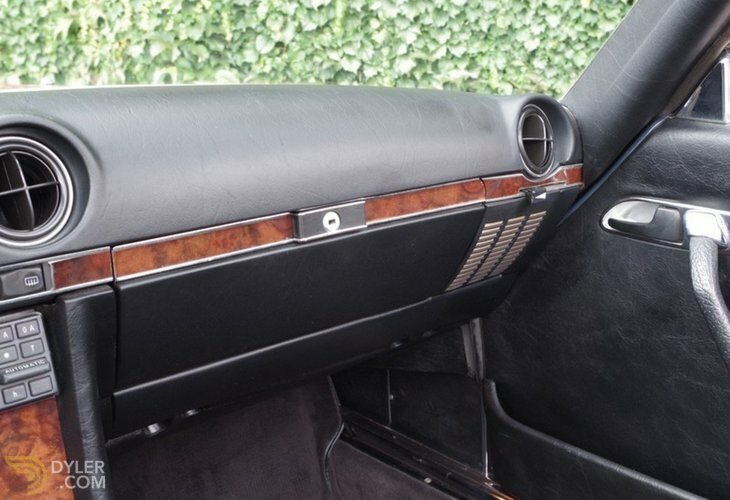 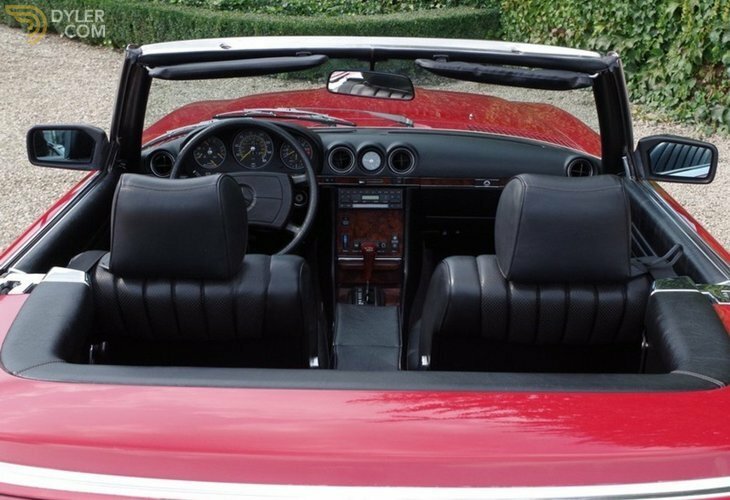 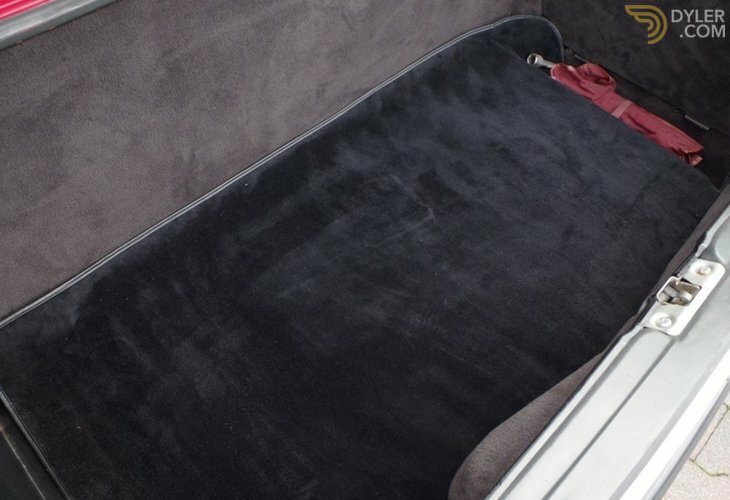 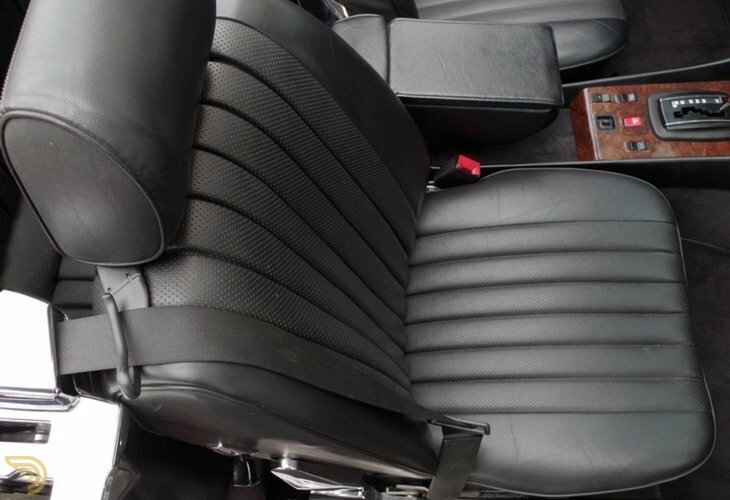 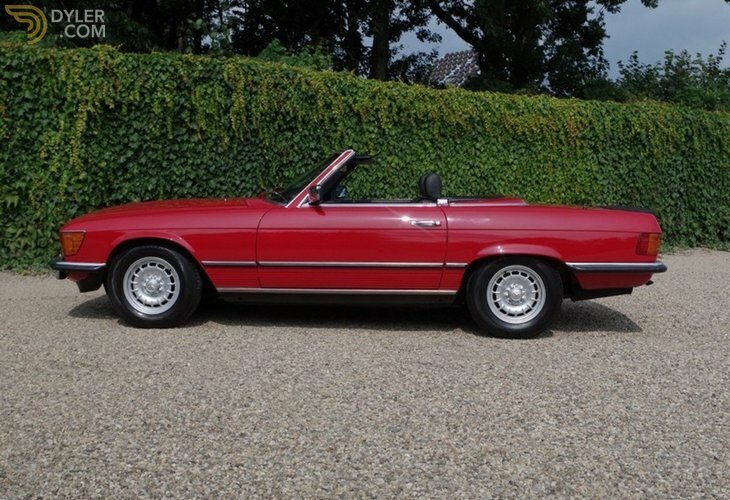 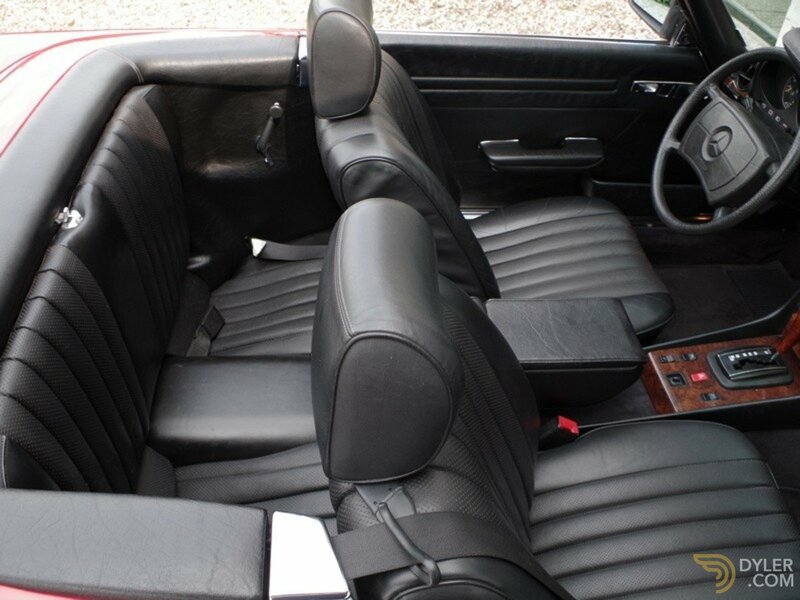 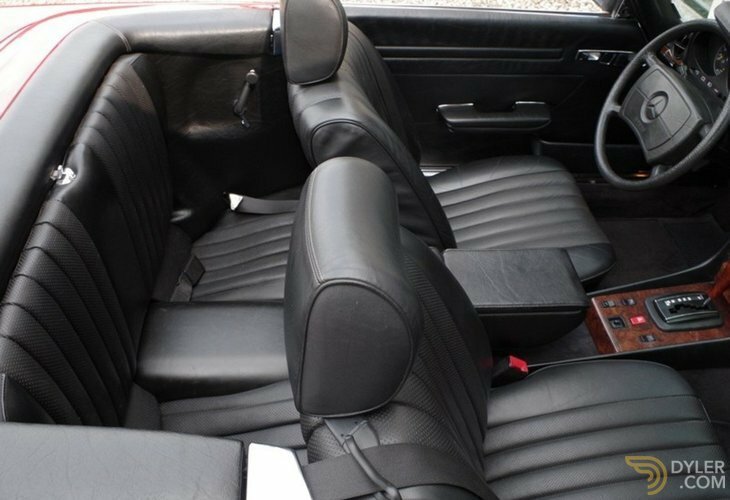 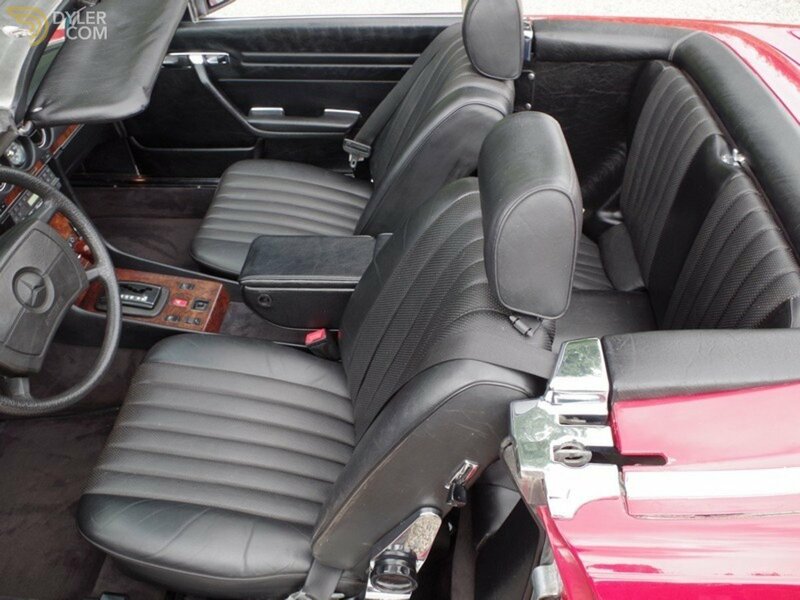 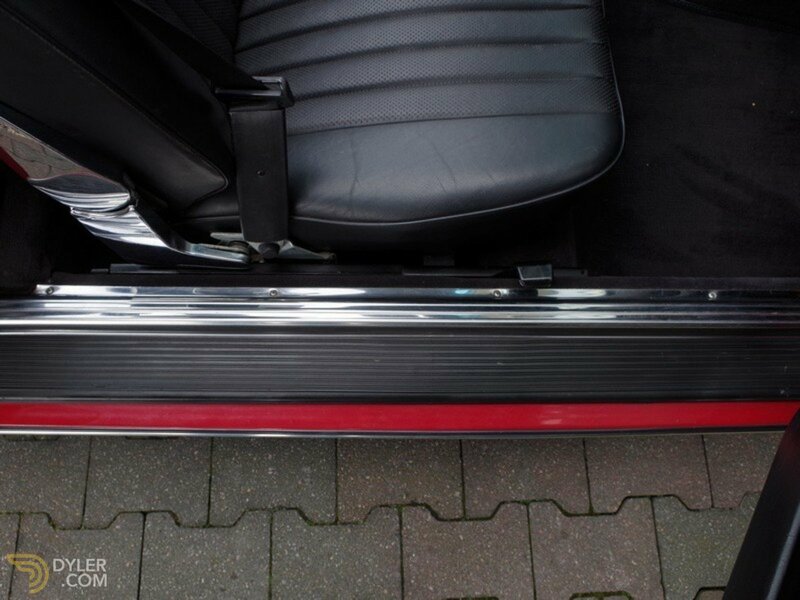 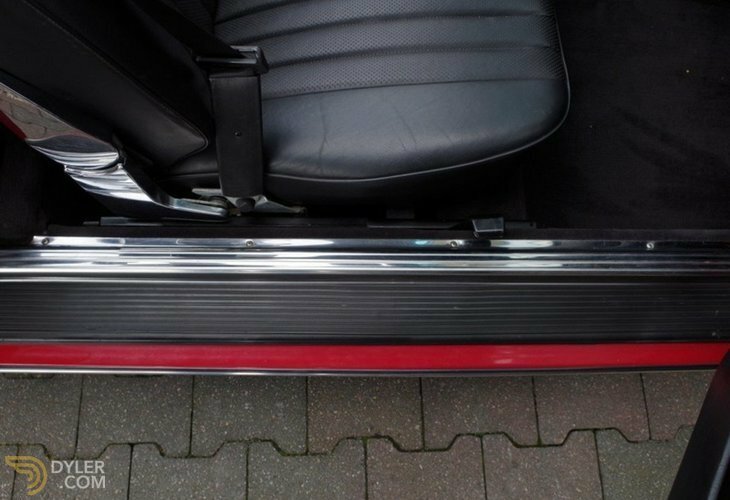 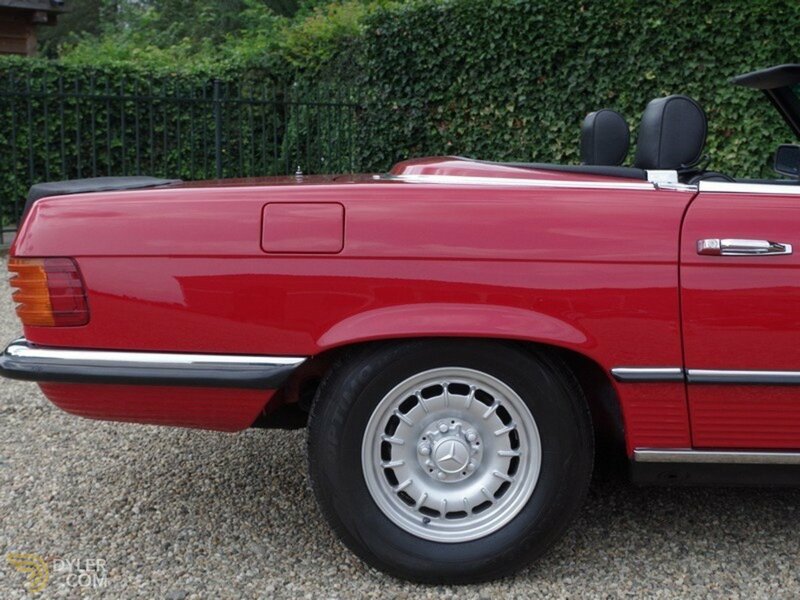 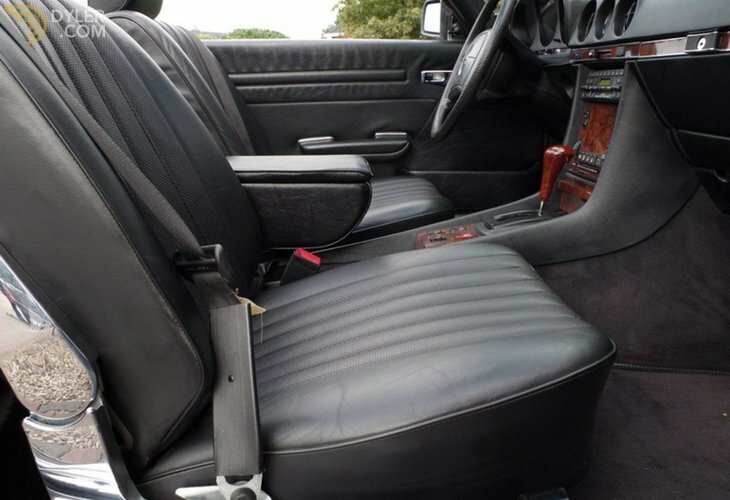 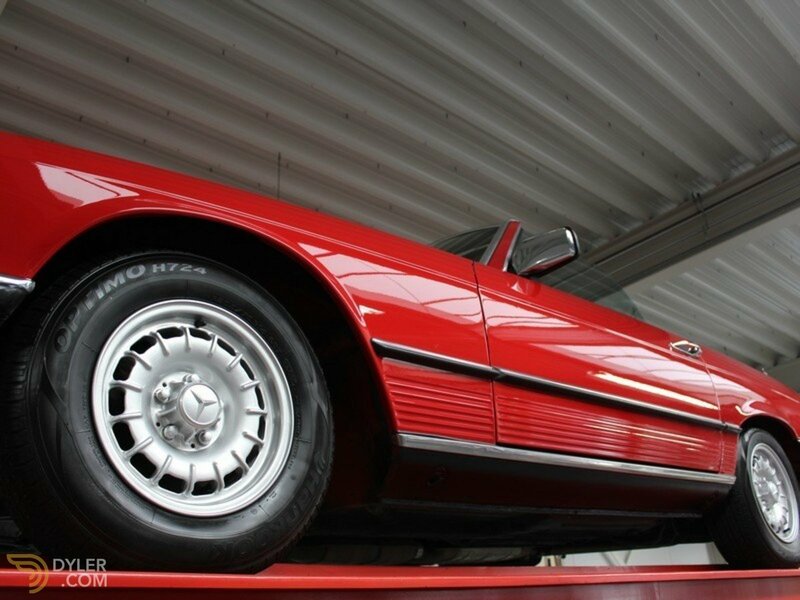 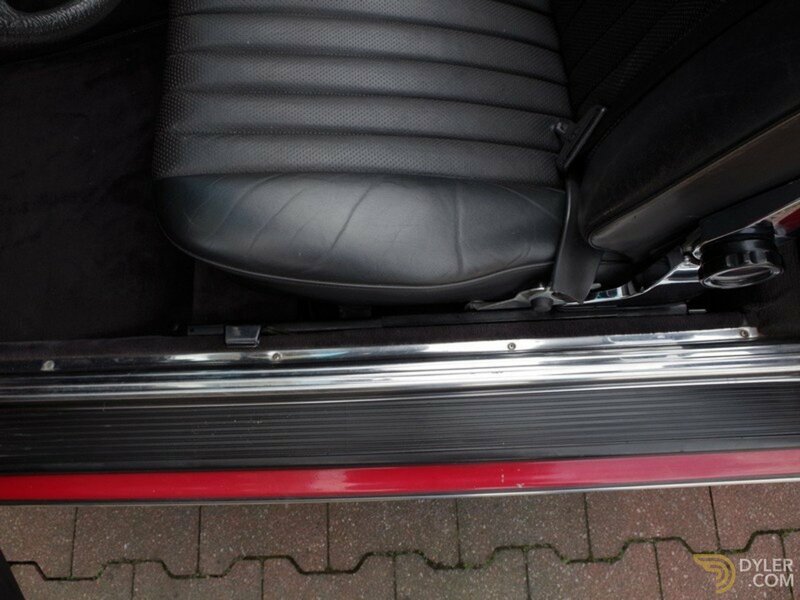 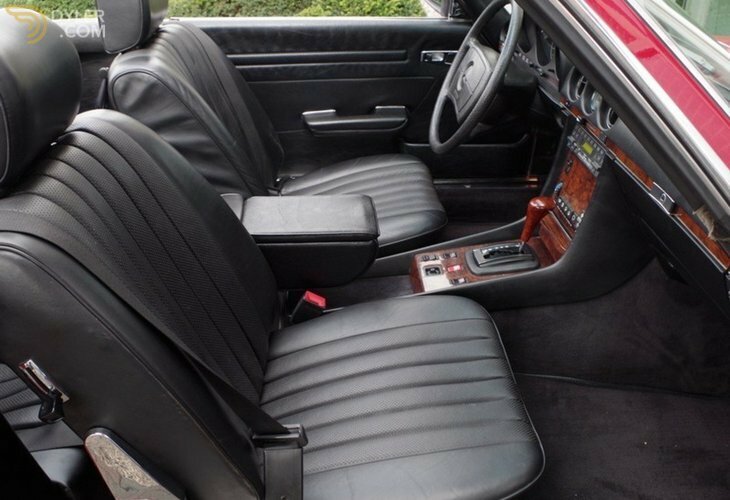 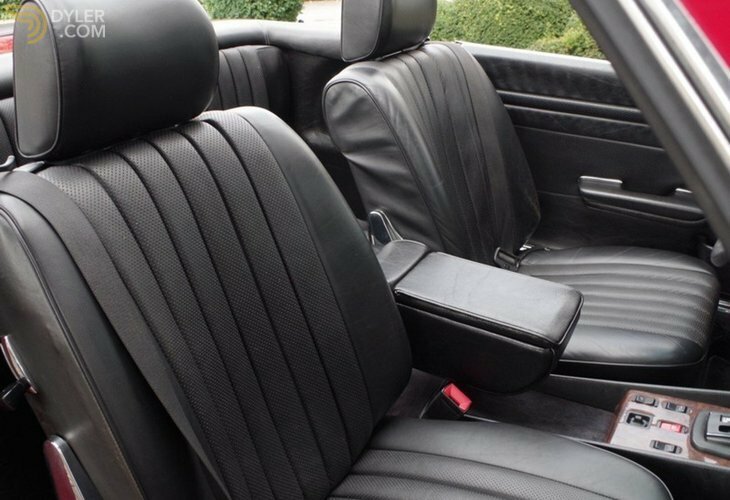 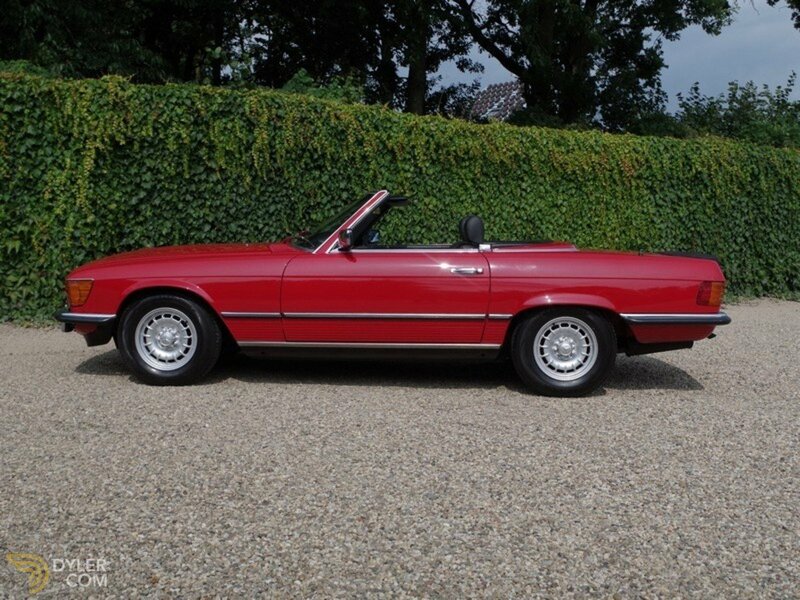 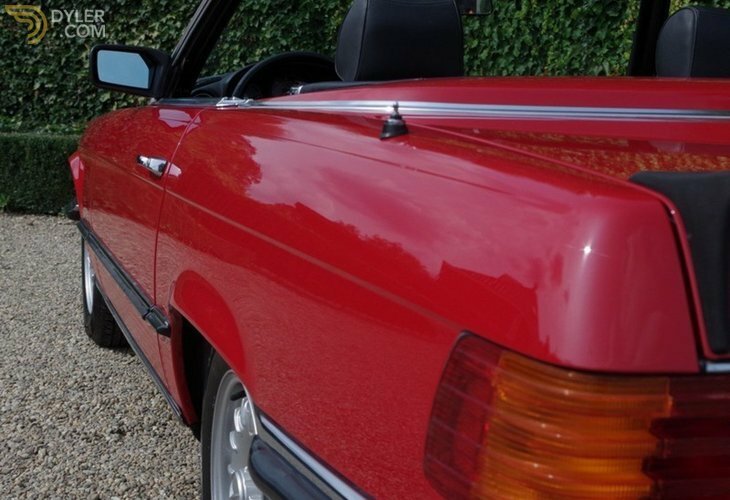 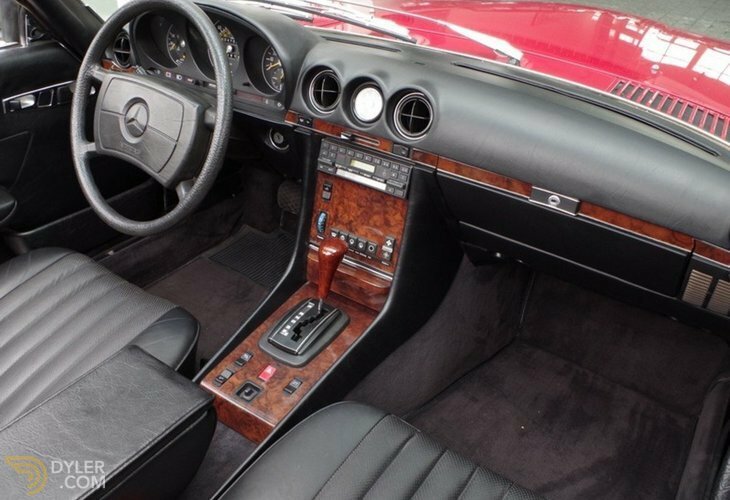 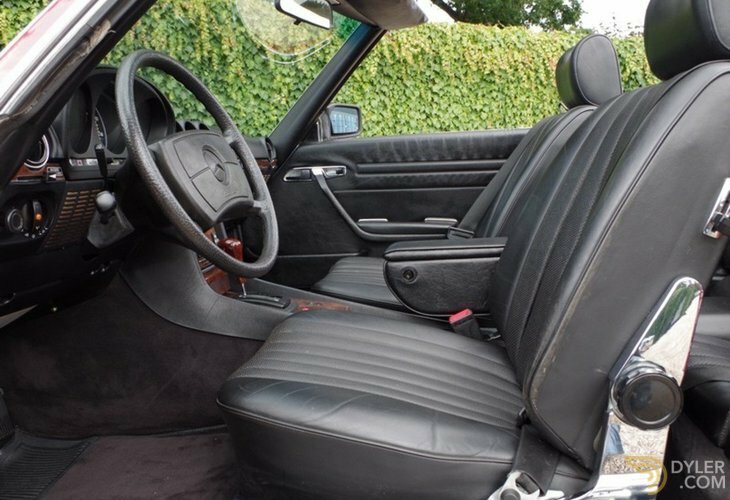 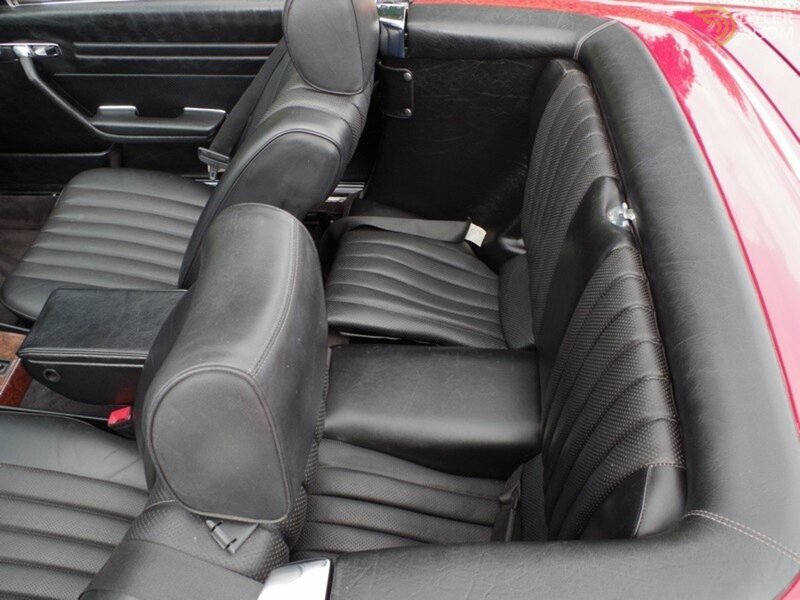 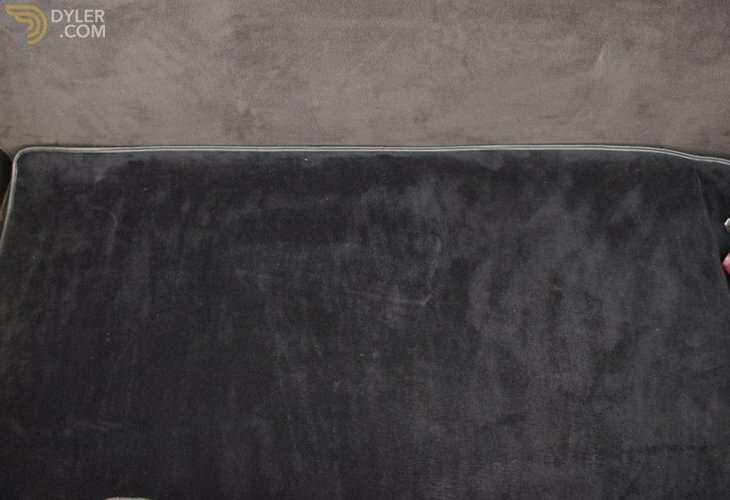 Her original colour scheme of ‘Signal rot’ is matched with a fantastic black leather upholstery. 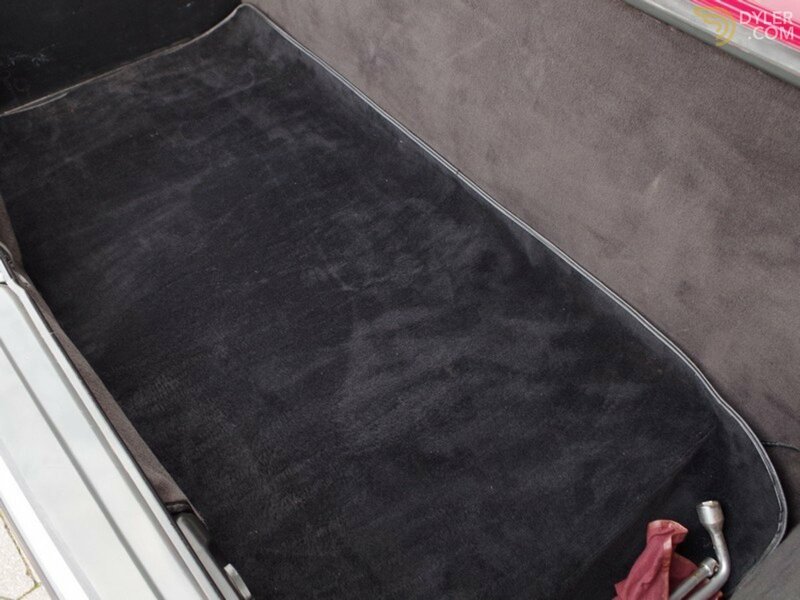 The cabin is fully authentic, and has been well cared for with the correct patina. 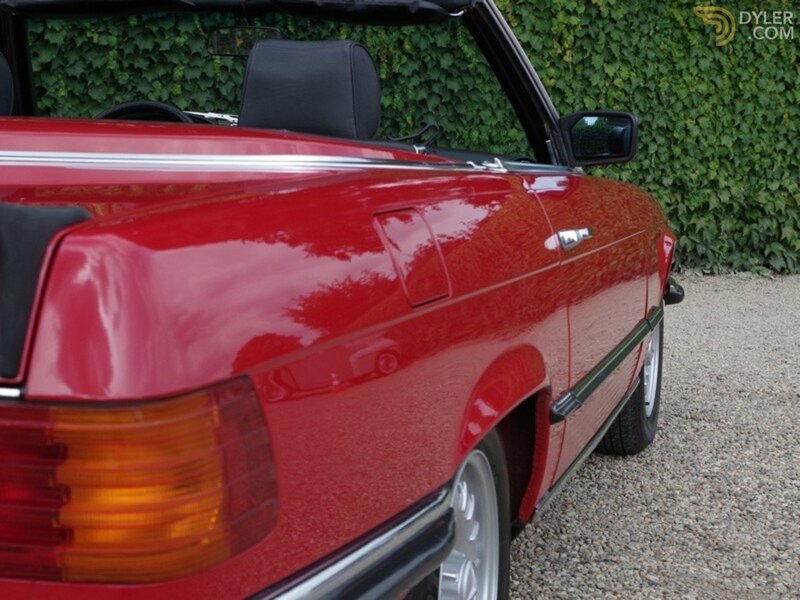 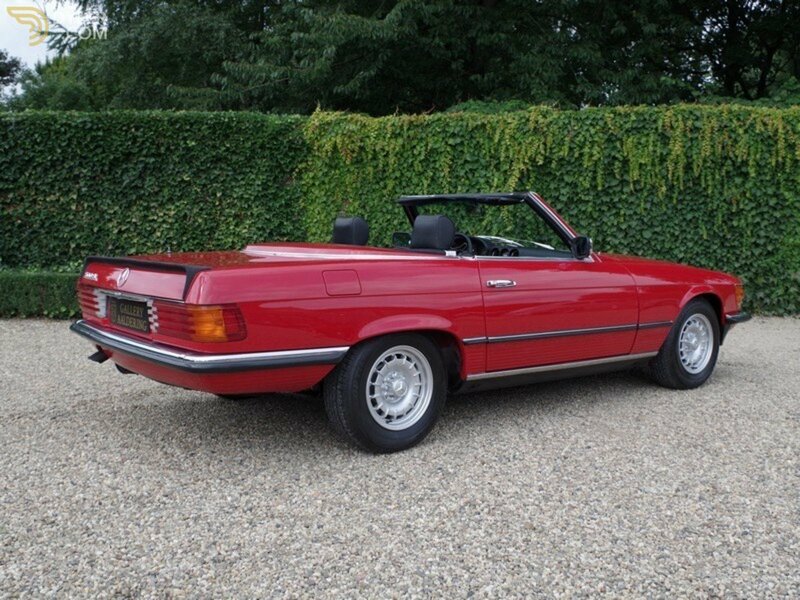 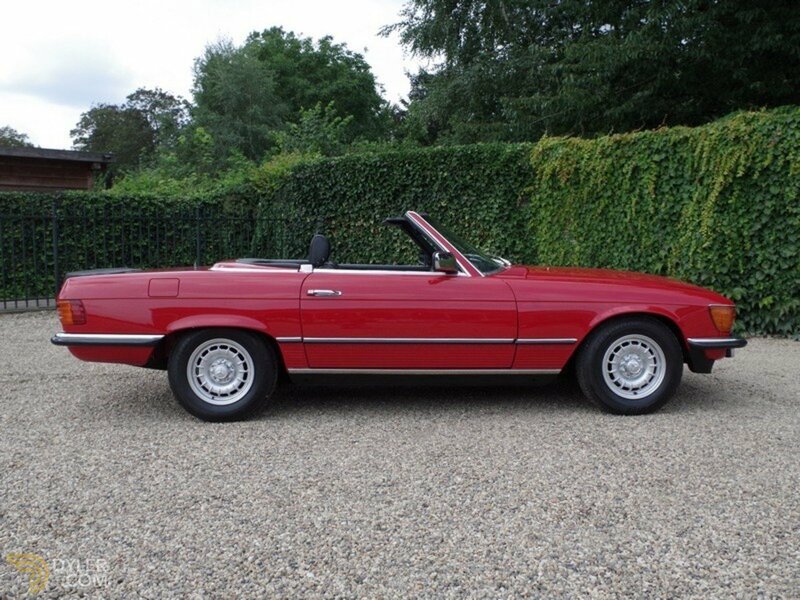 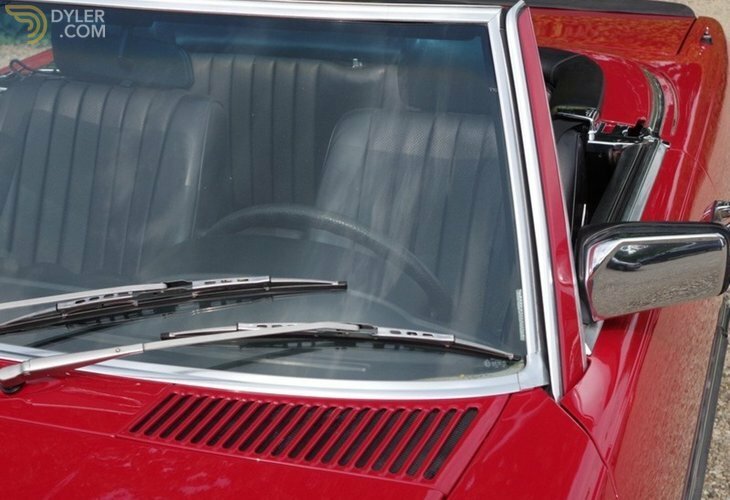 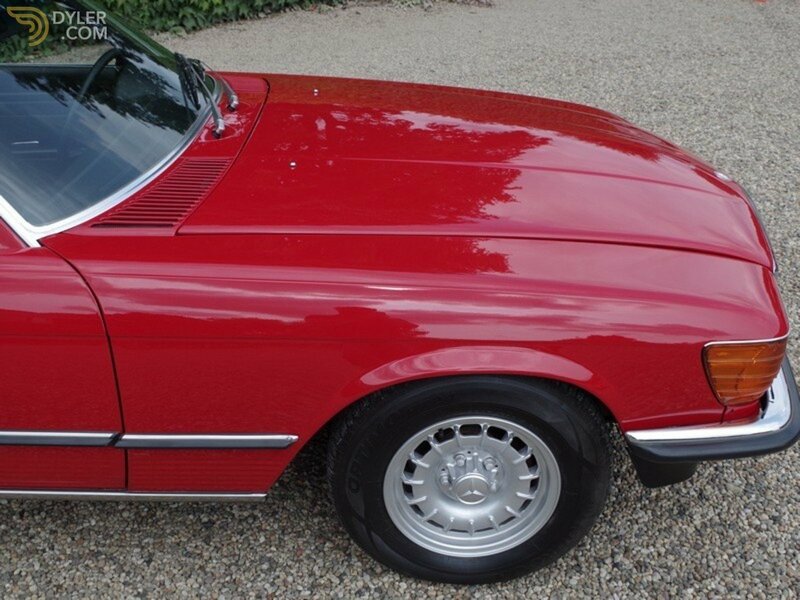 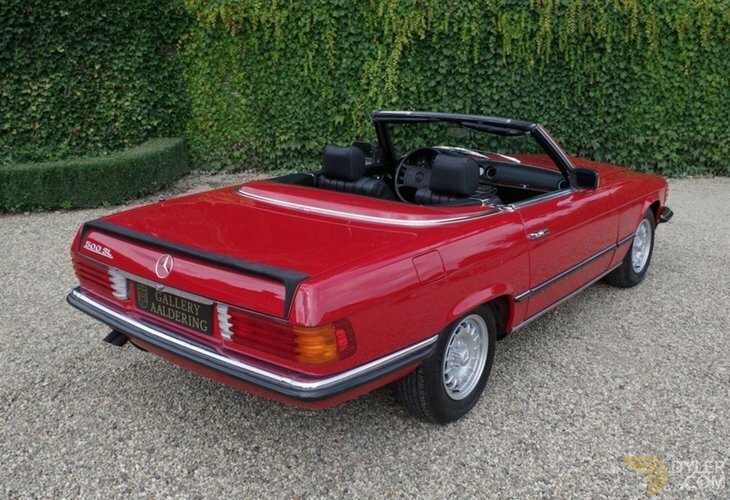 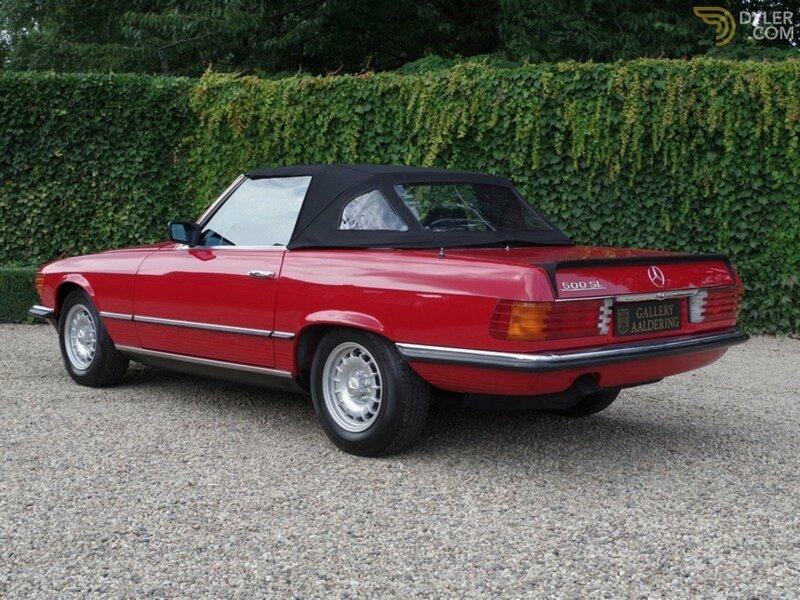 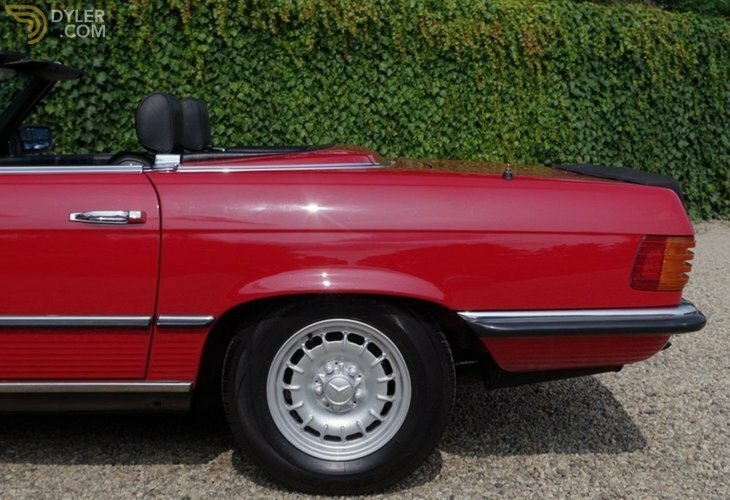 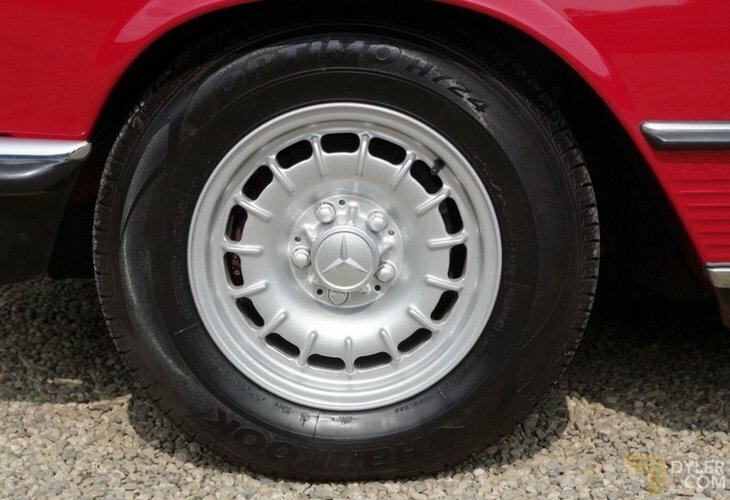 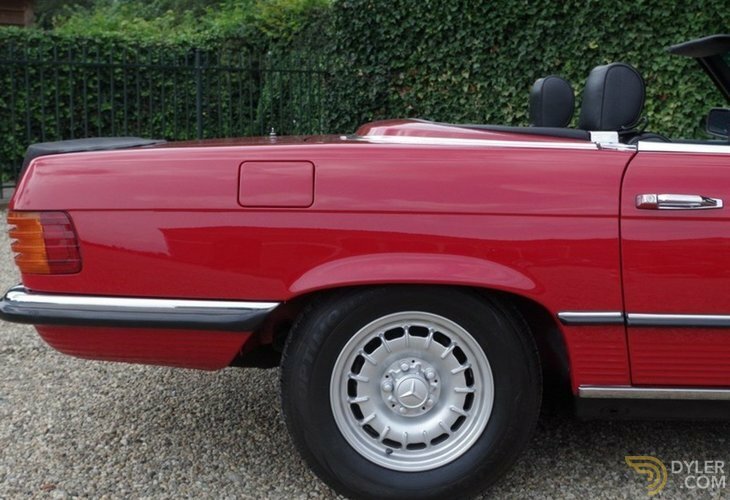 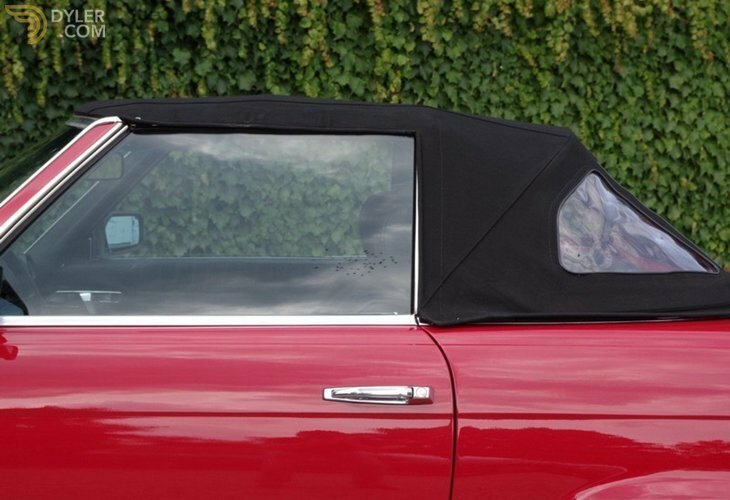 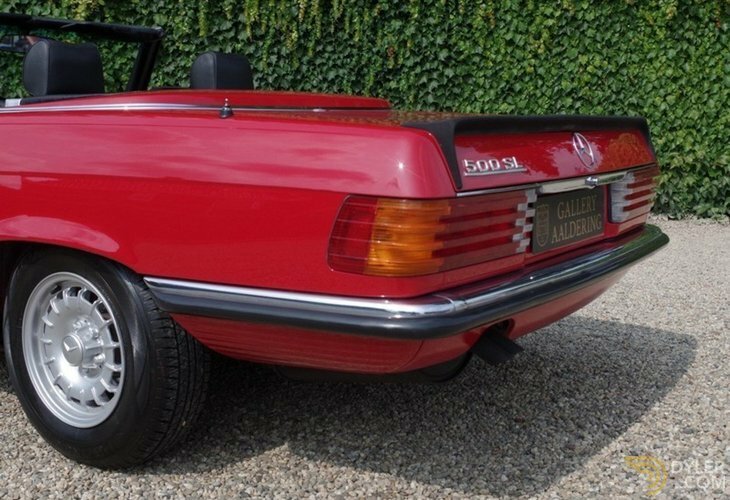 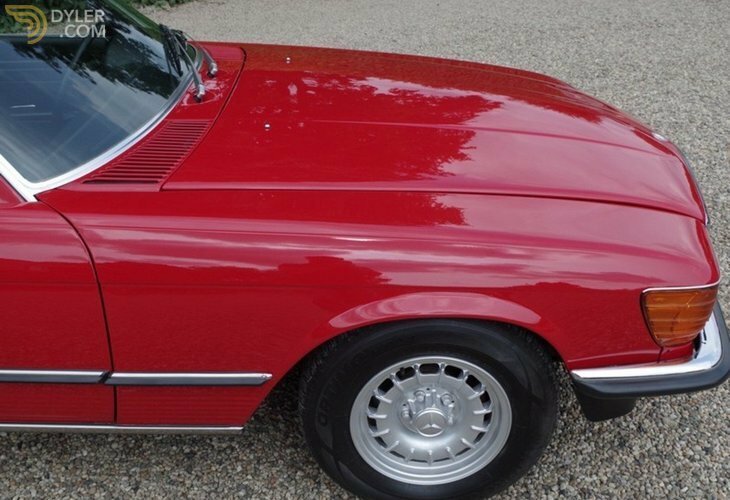 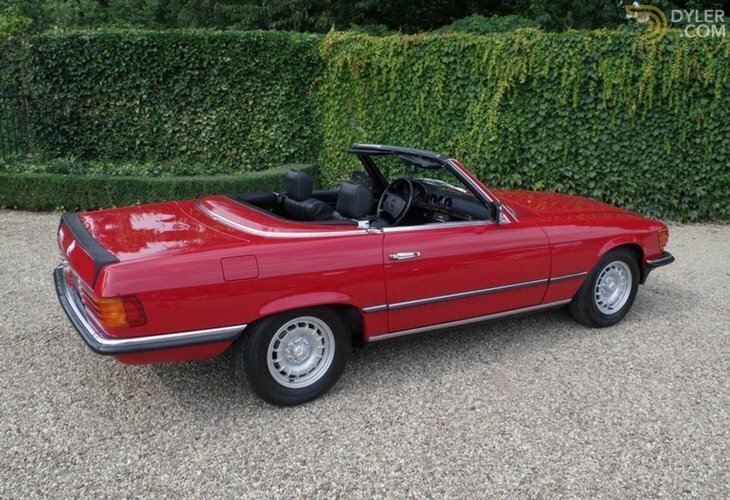 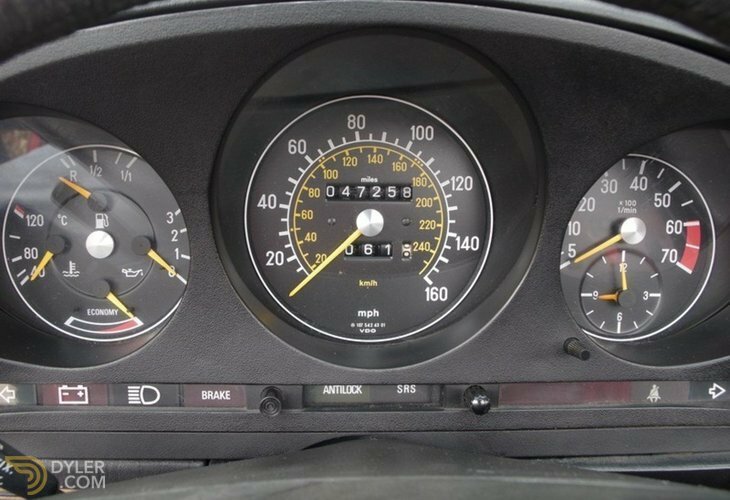 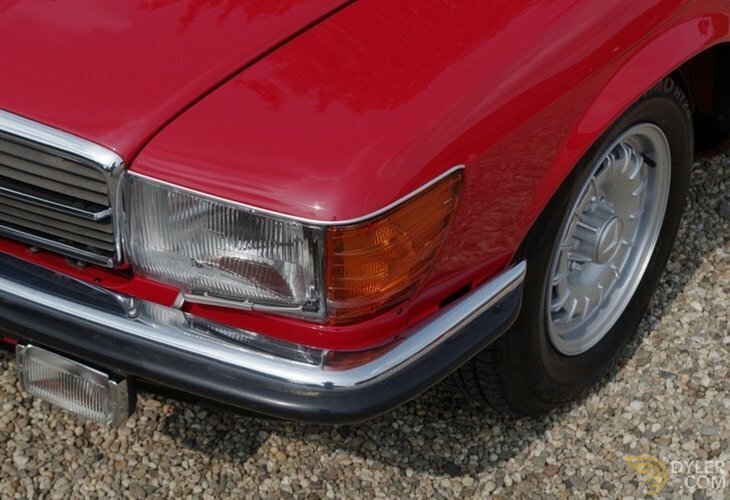 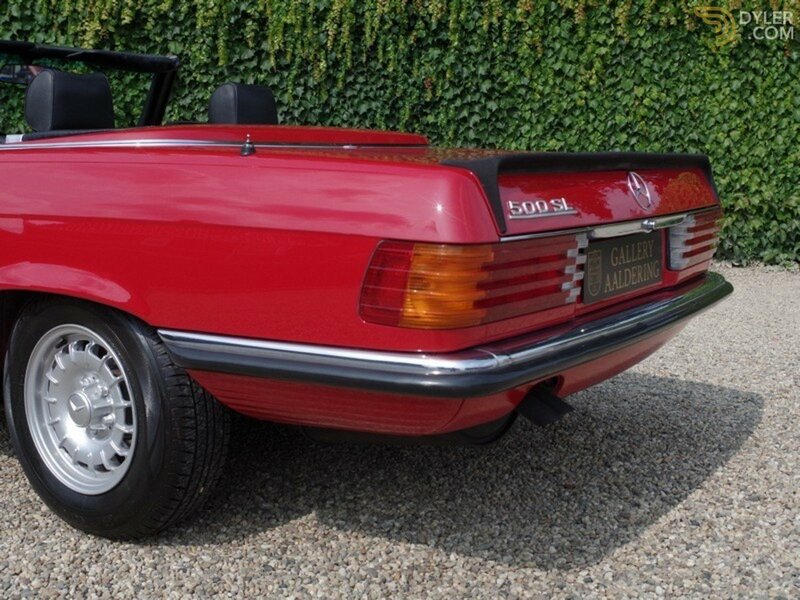 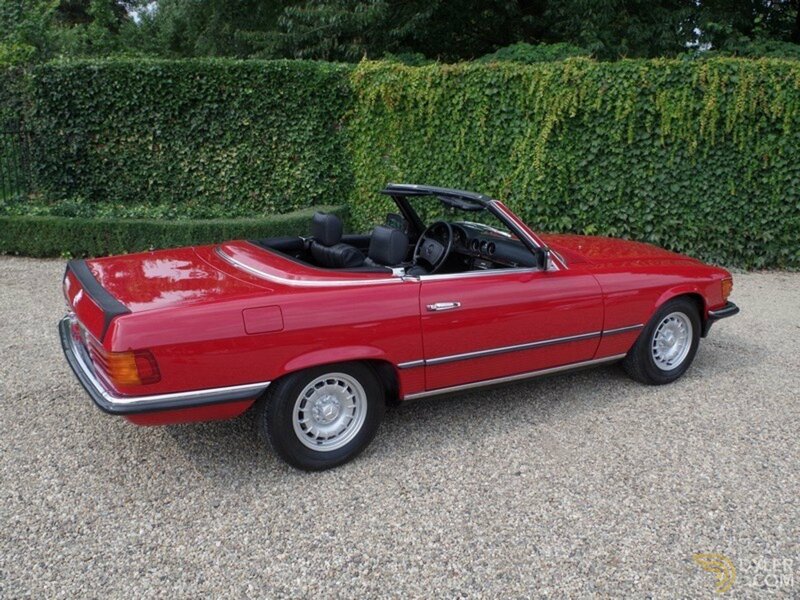 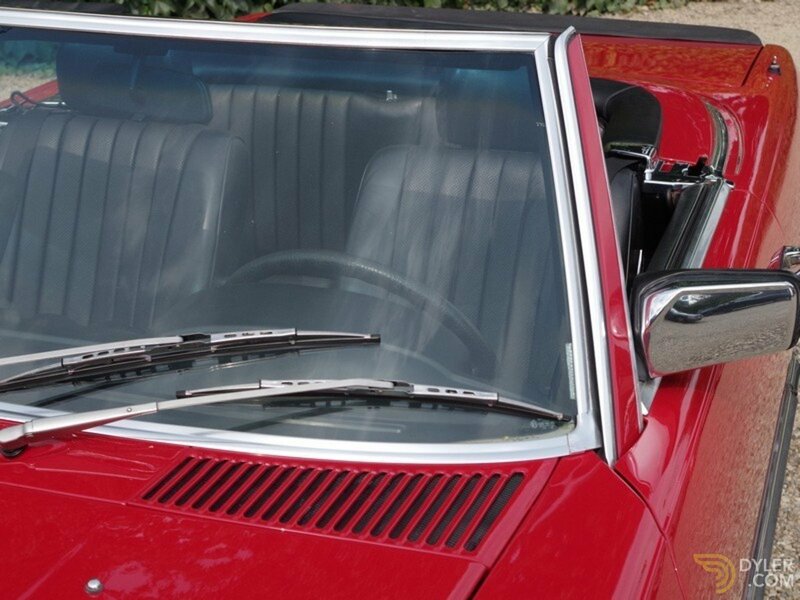 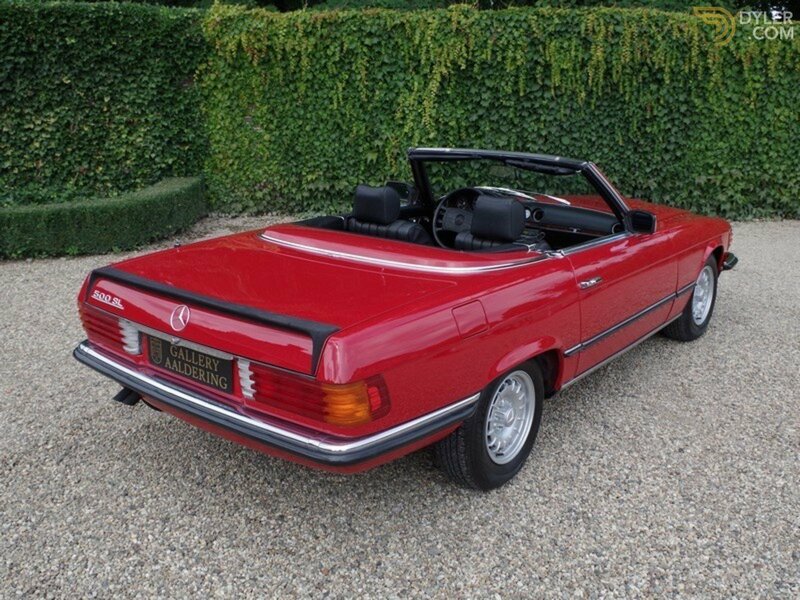 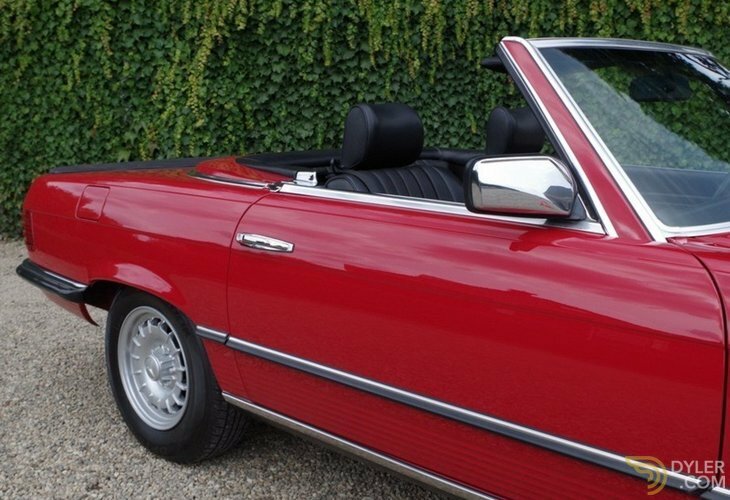 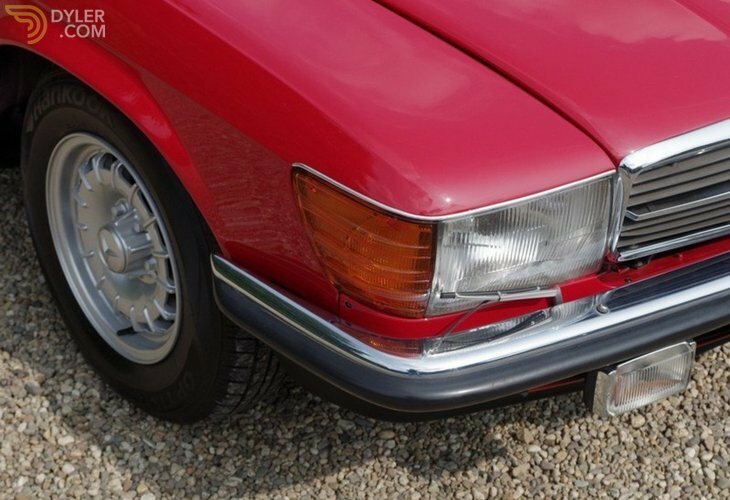 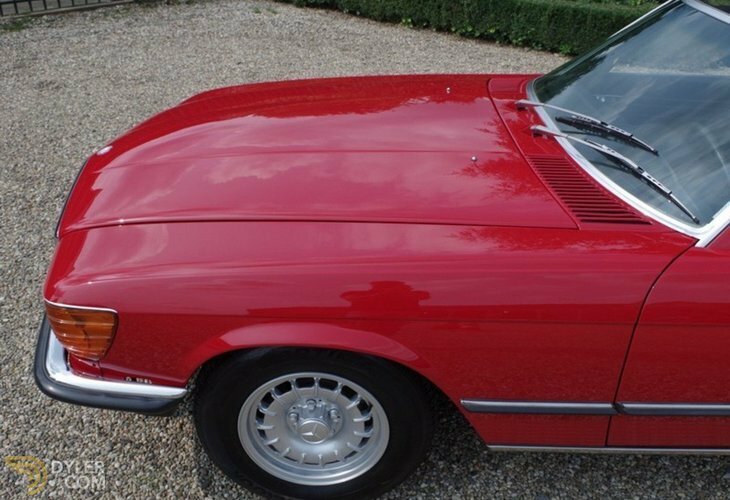 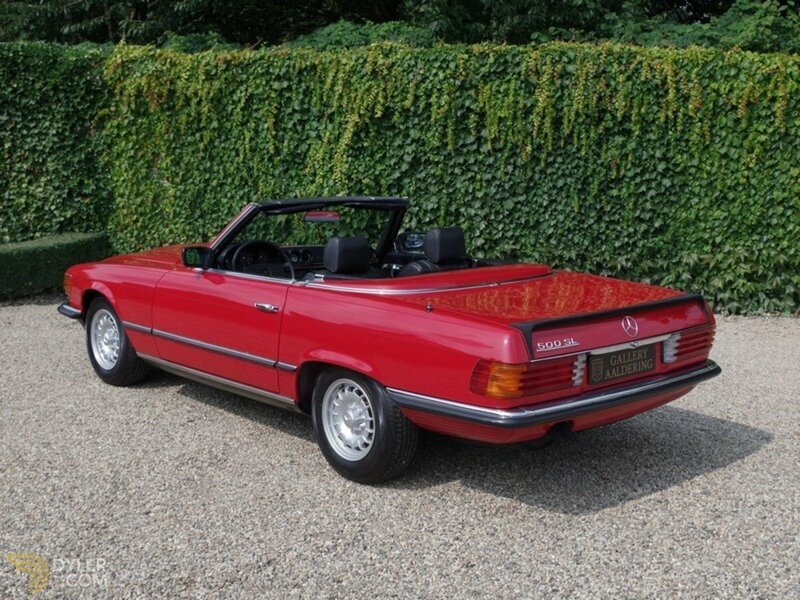 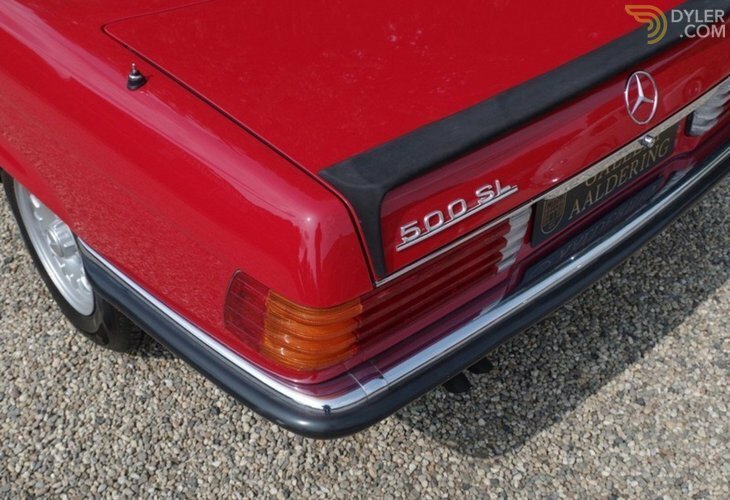 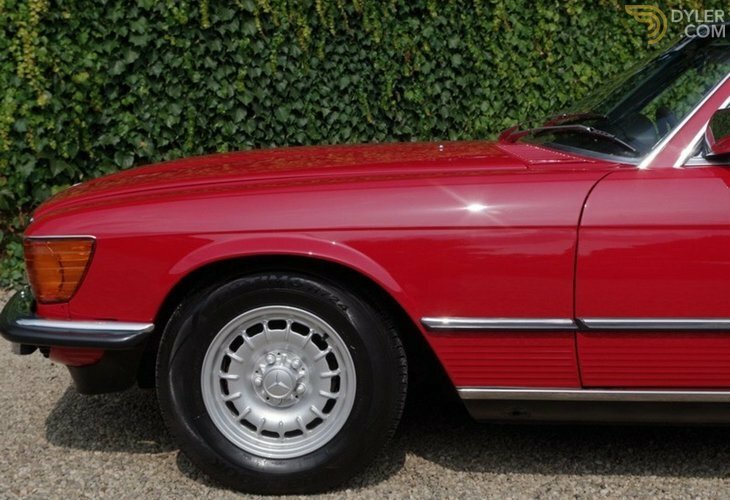 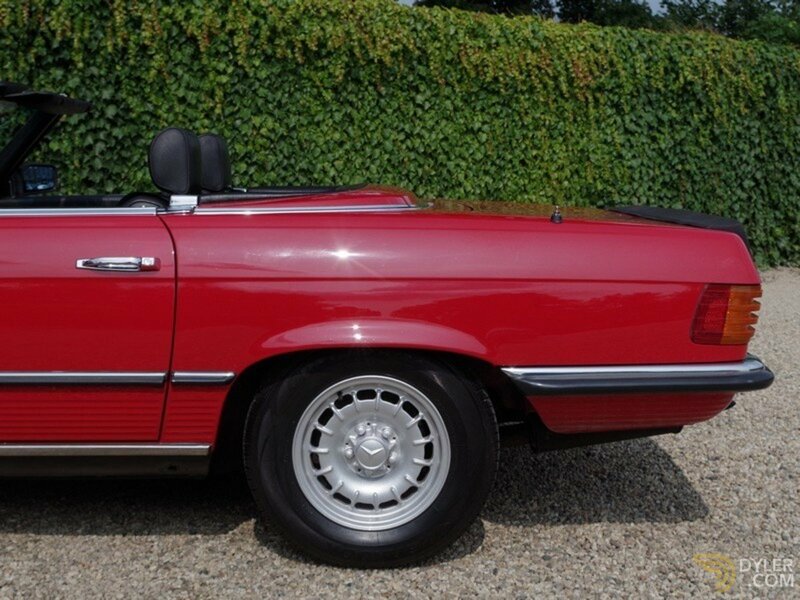 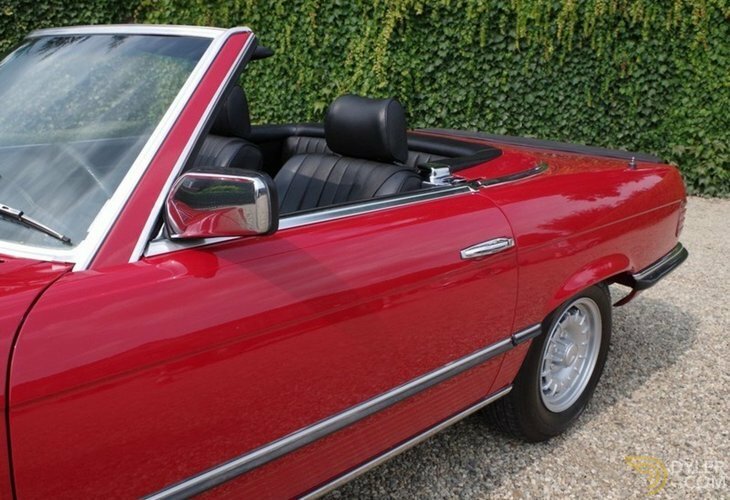 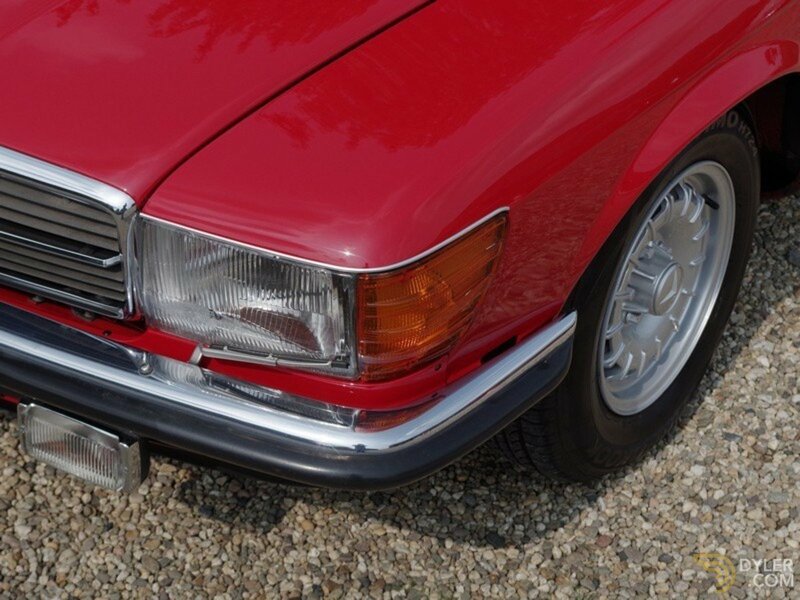 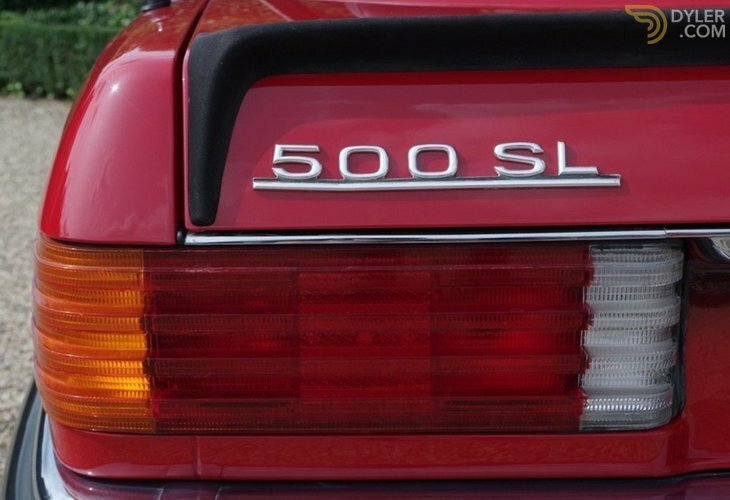 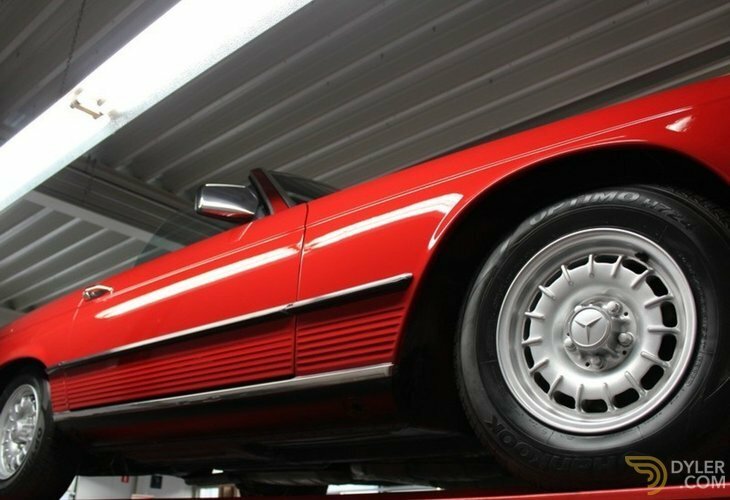 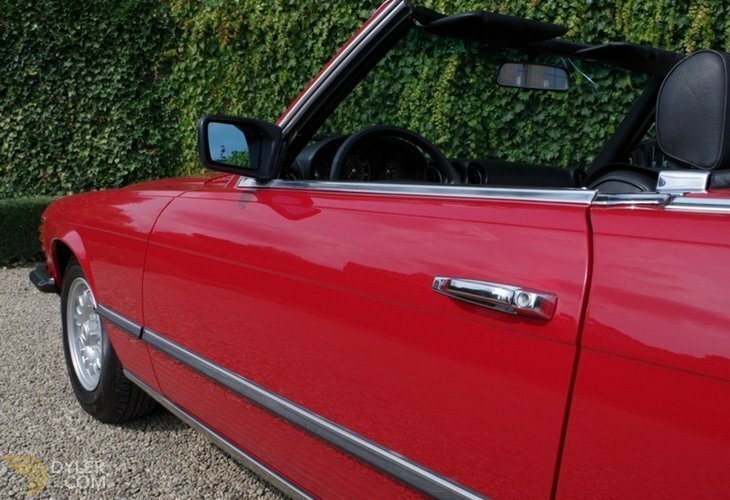 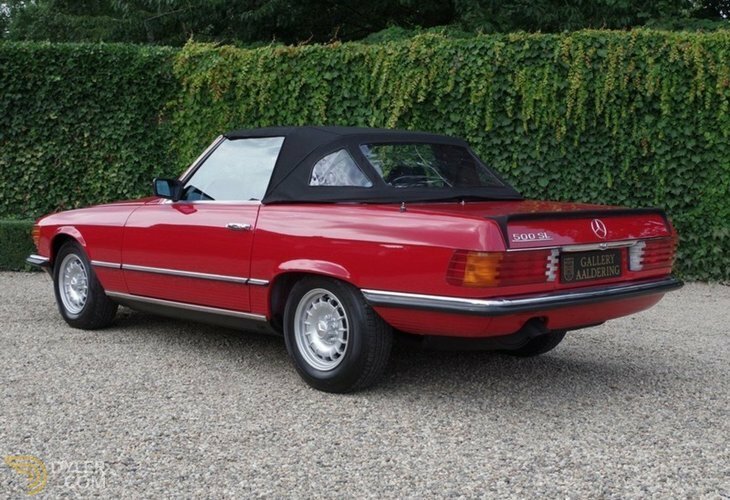 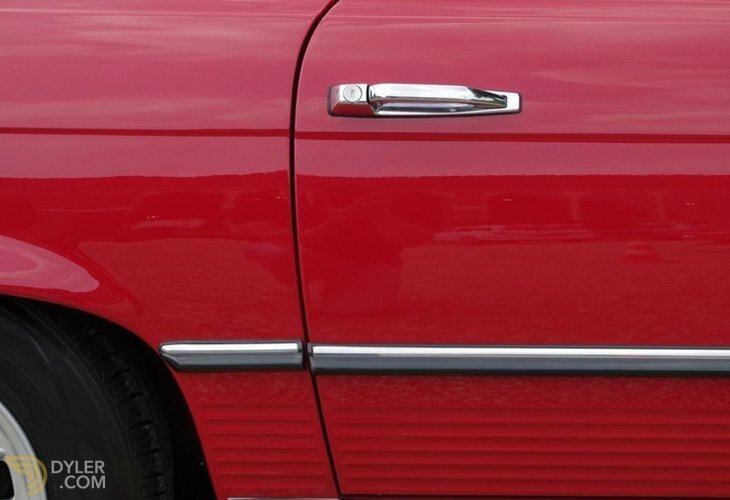 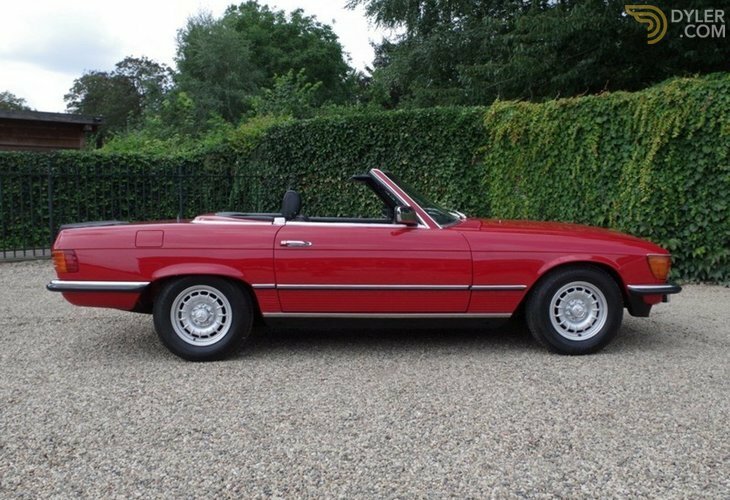 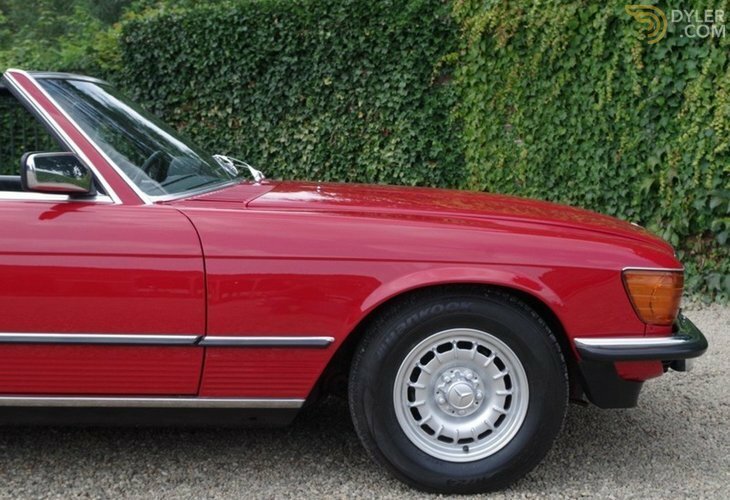 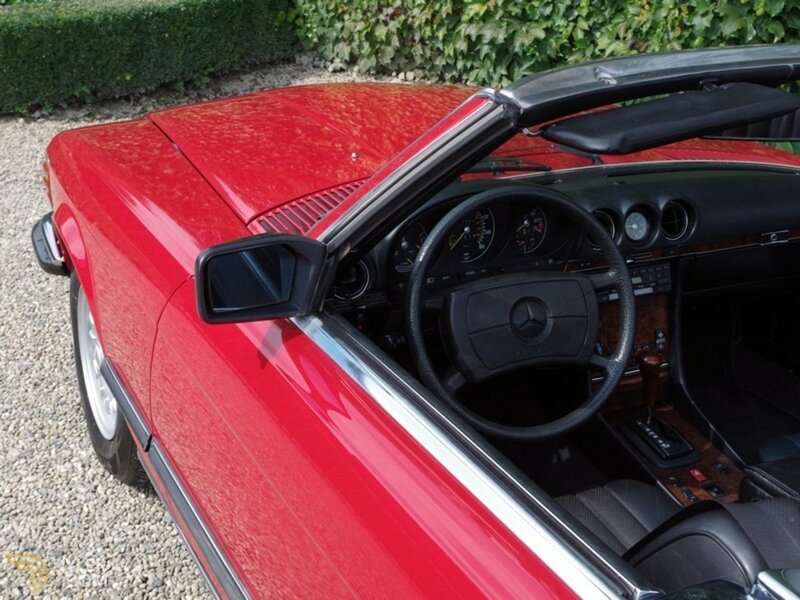 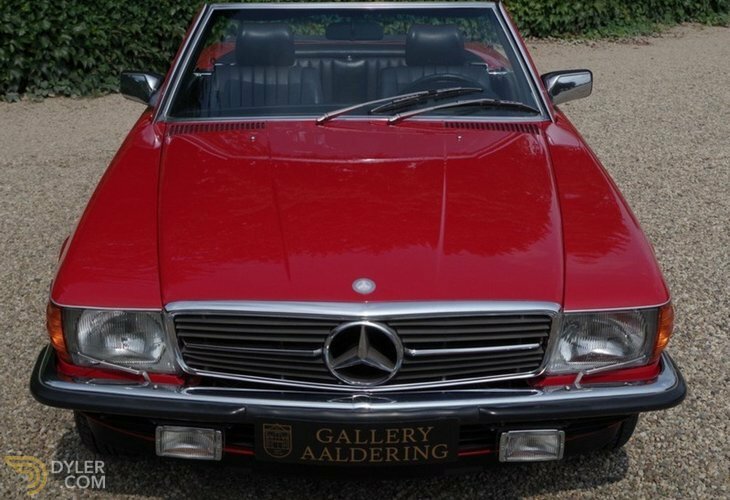 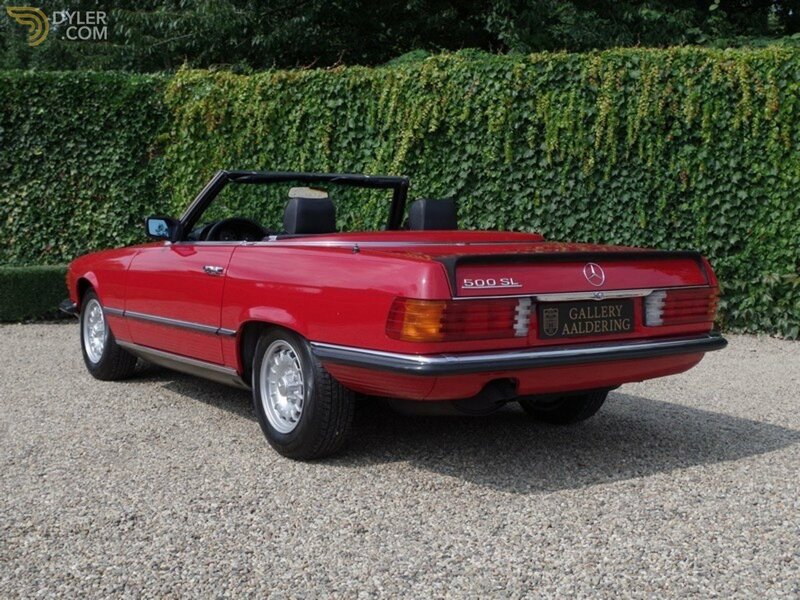 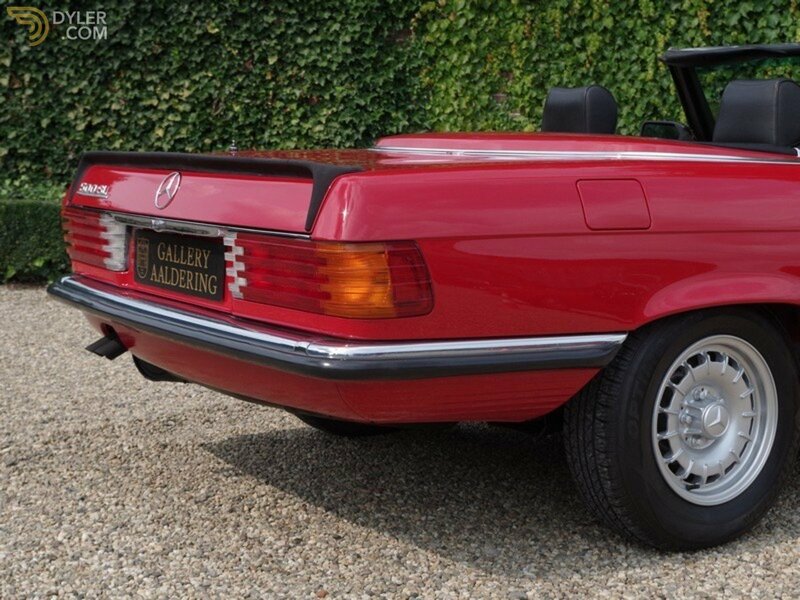 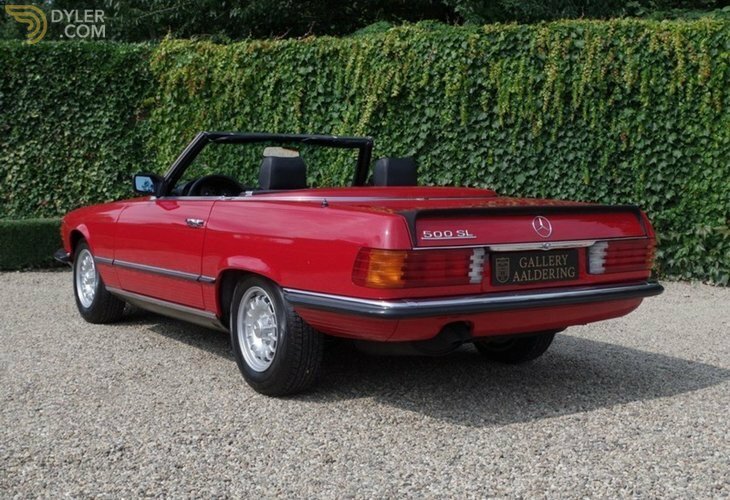 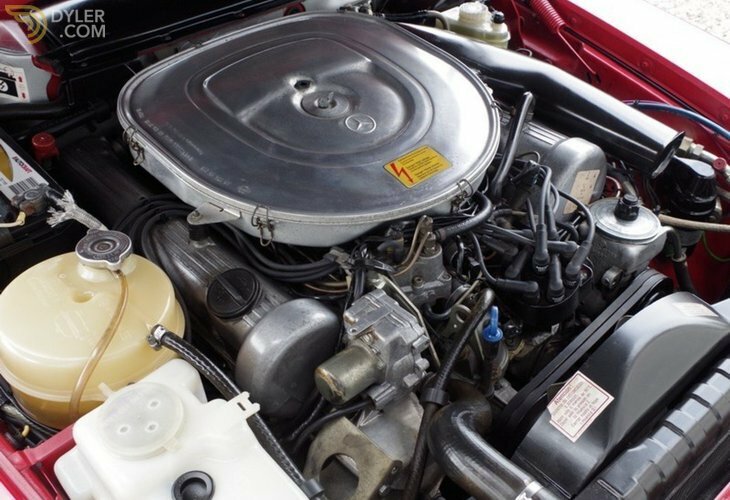 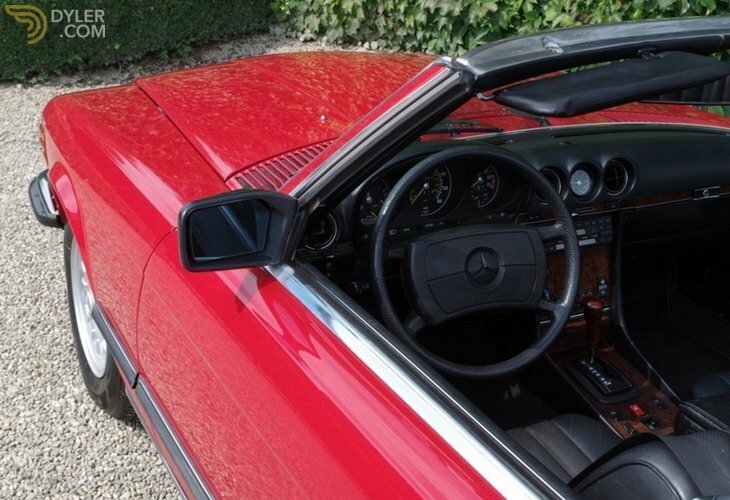 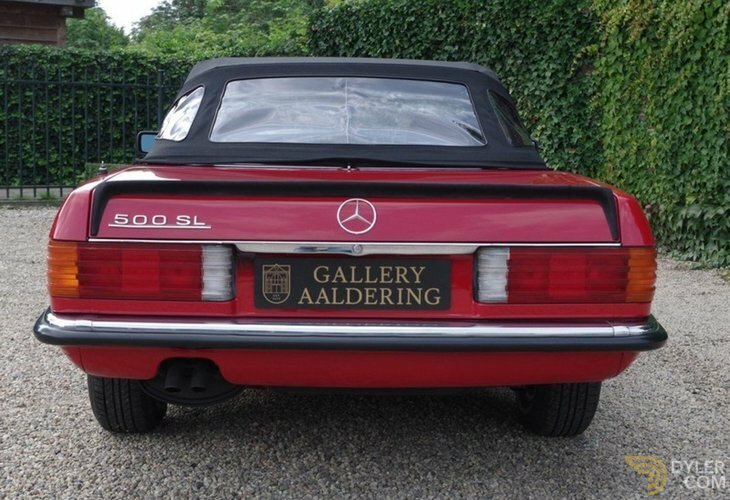 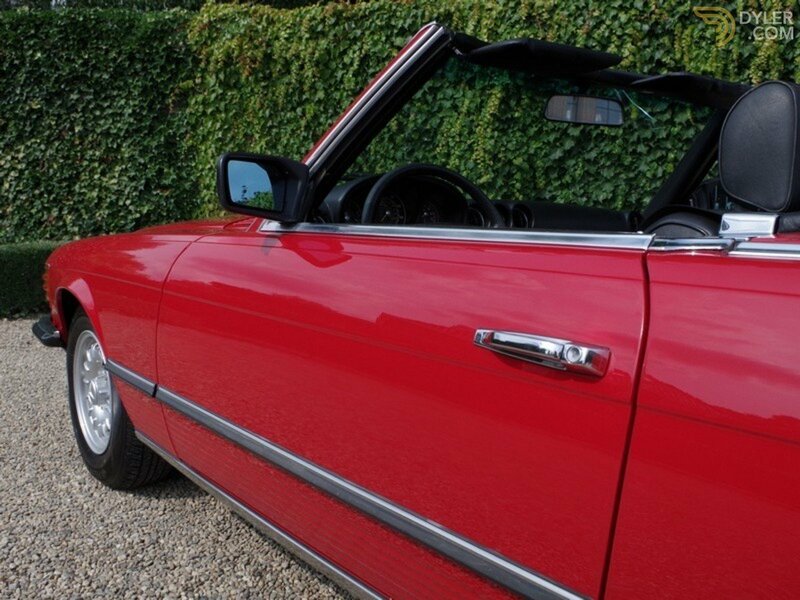 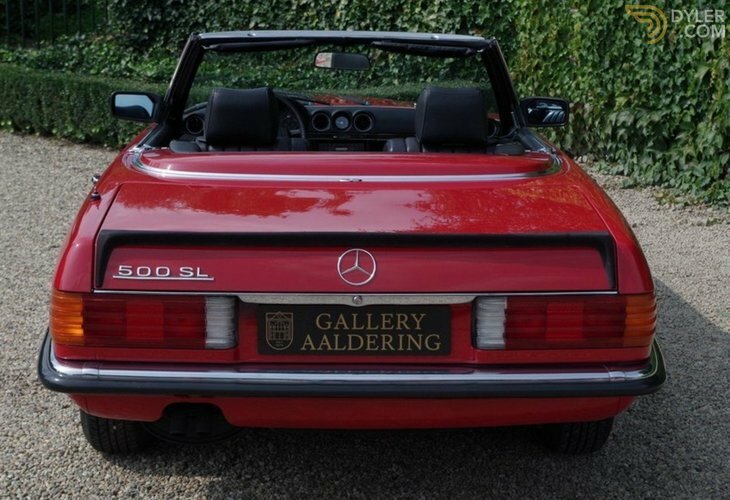 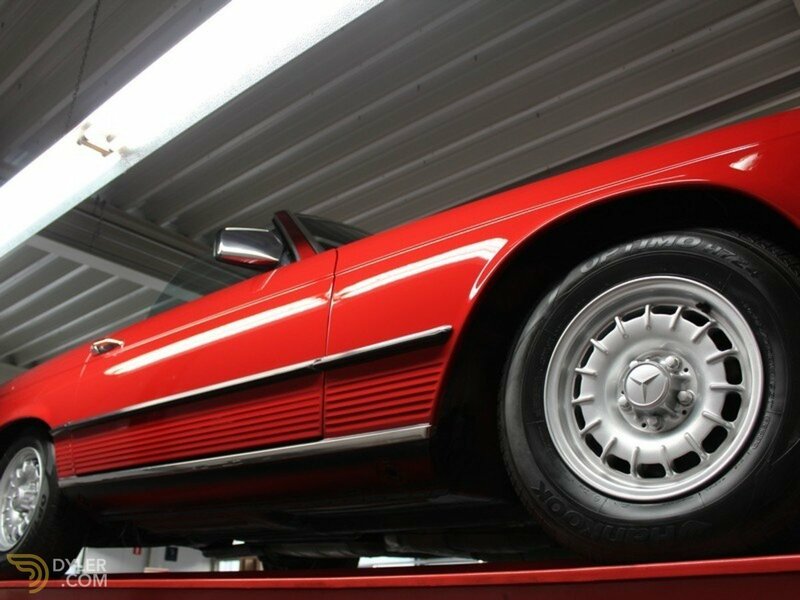 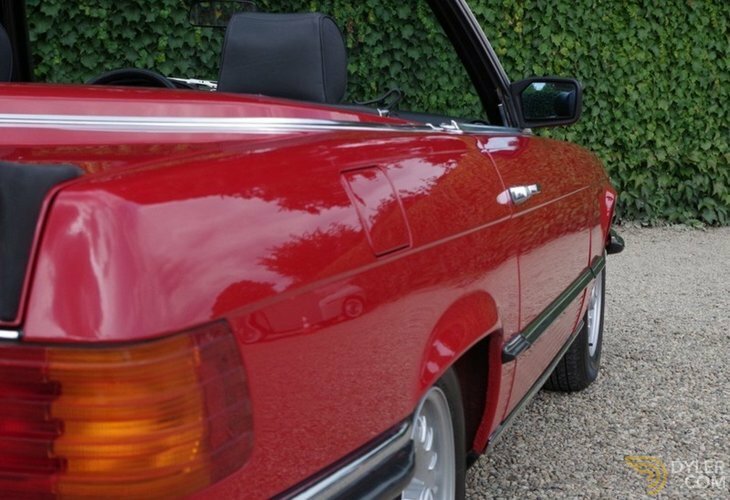 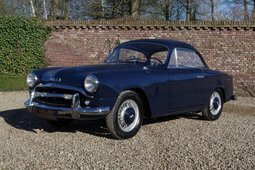 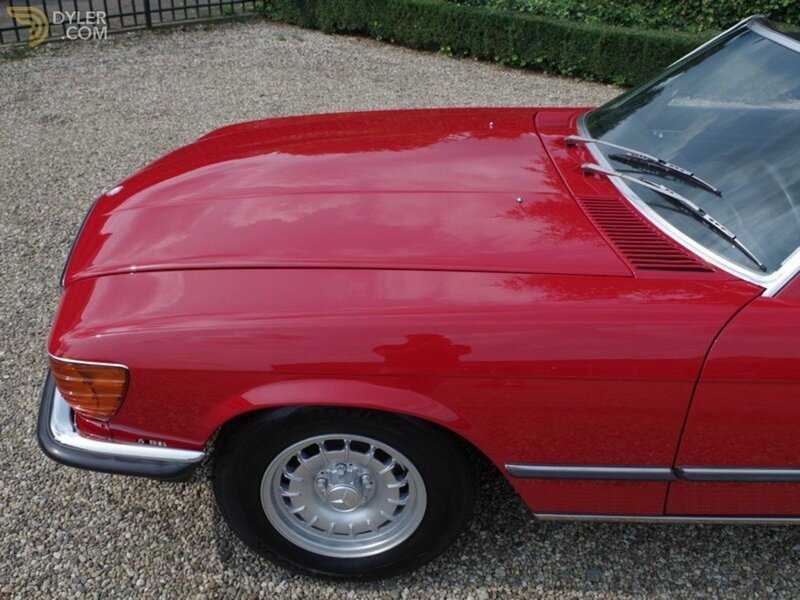 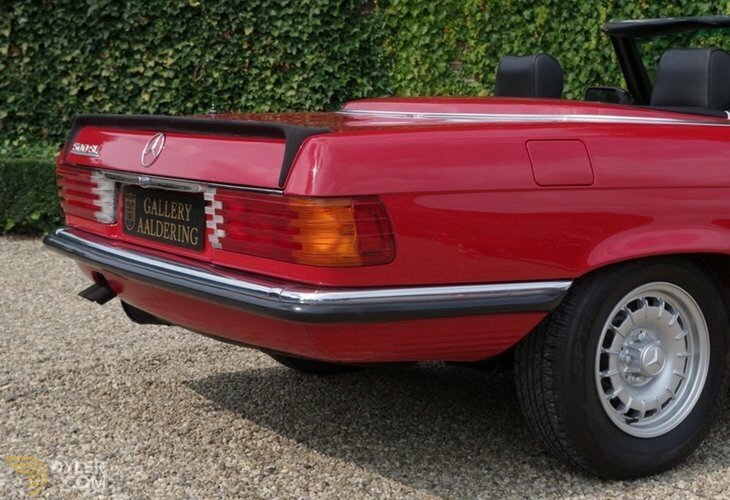 This ‘Top of the Bill’ Mercedes 500SL is the most popular version. 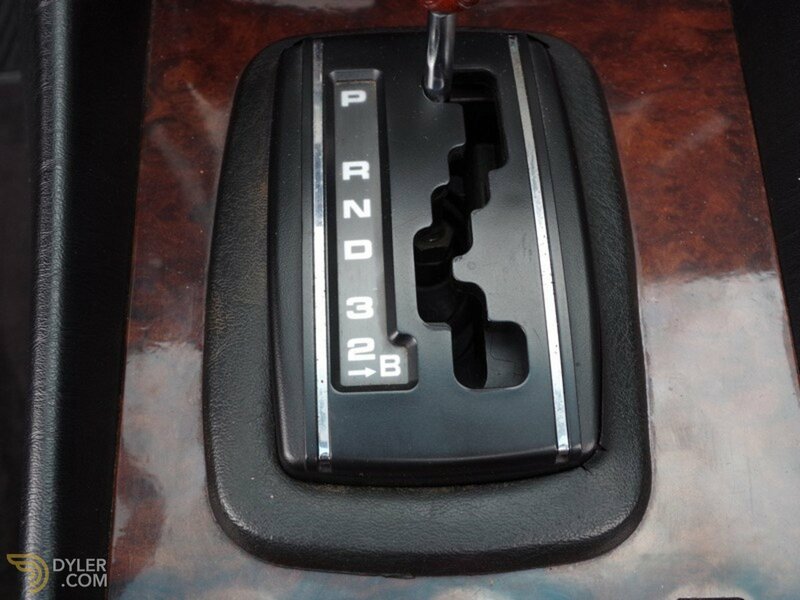 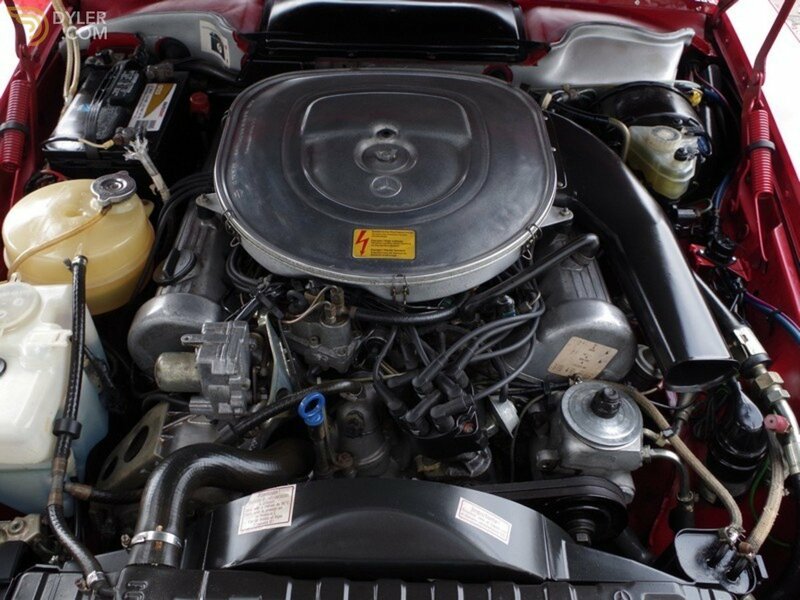 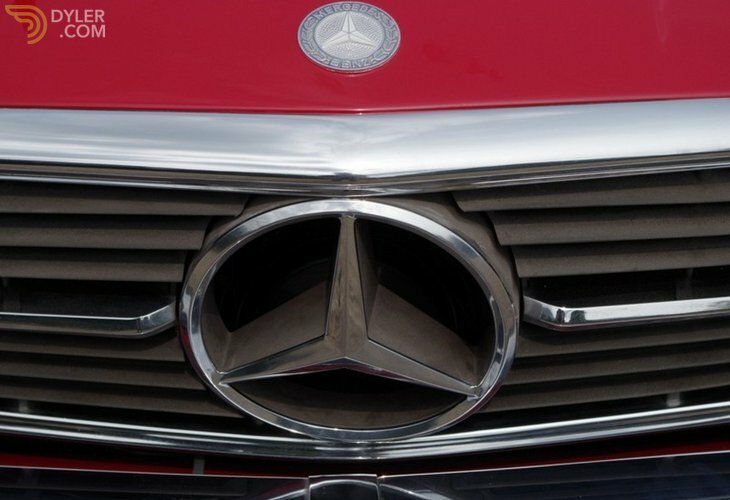 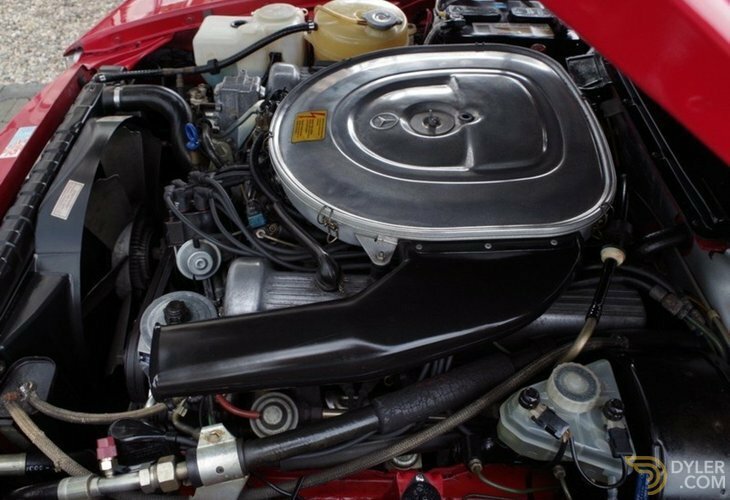 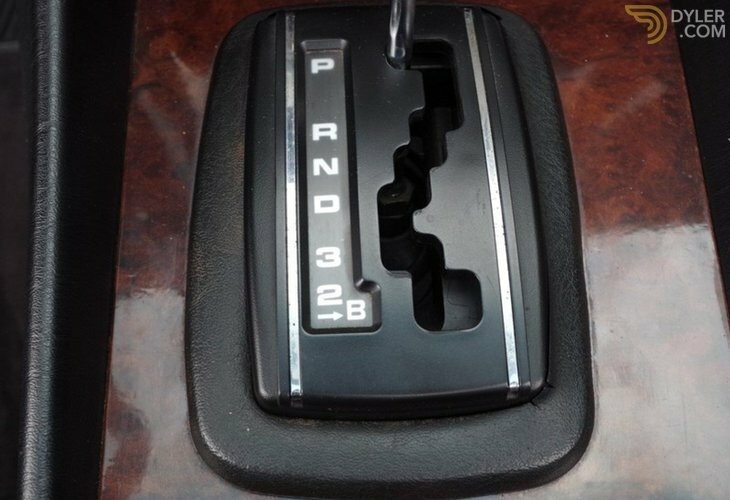 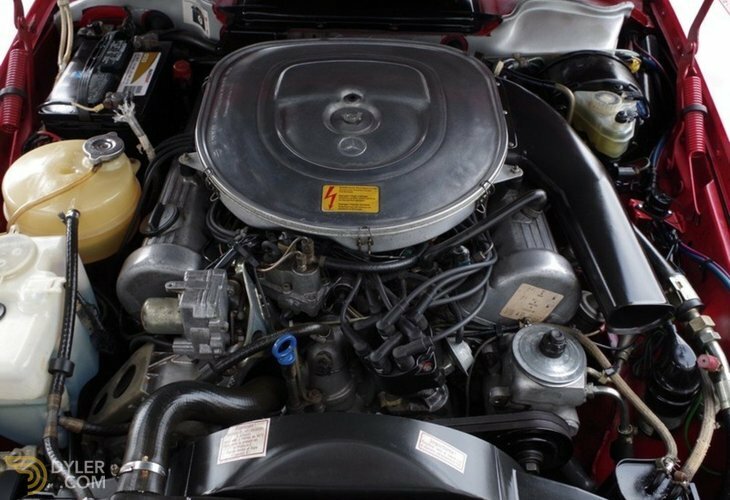 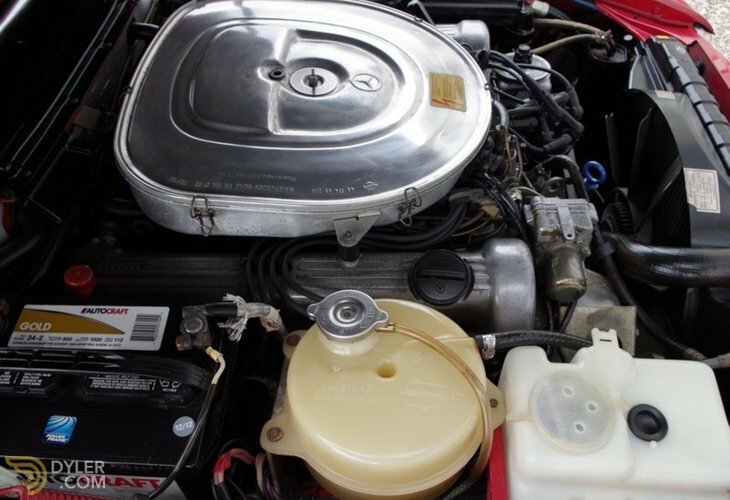 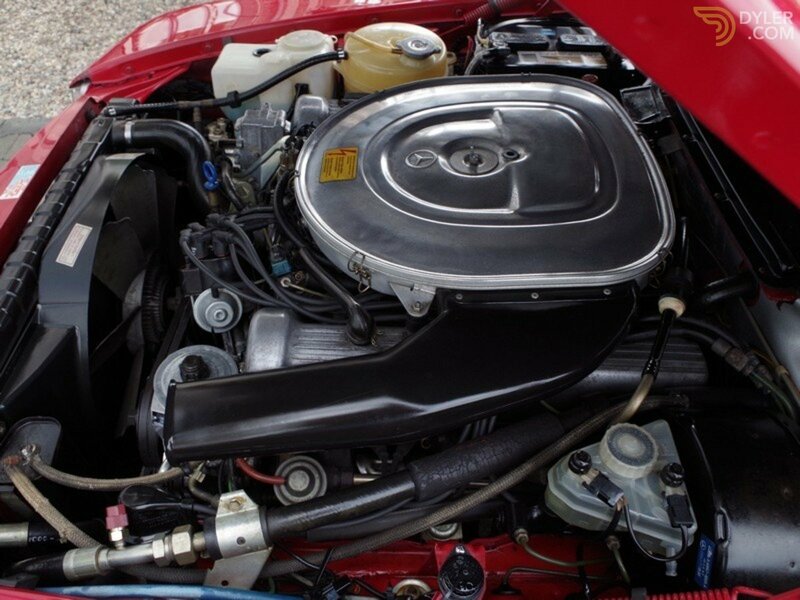 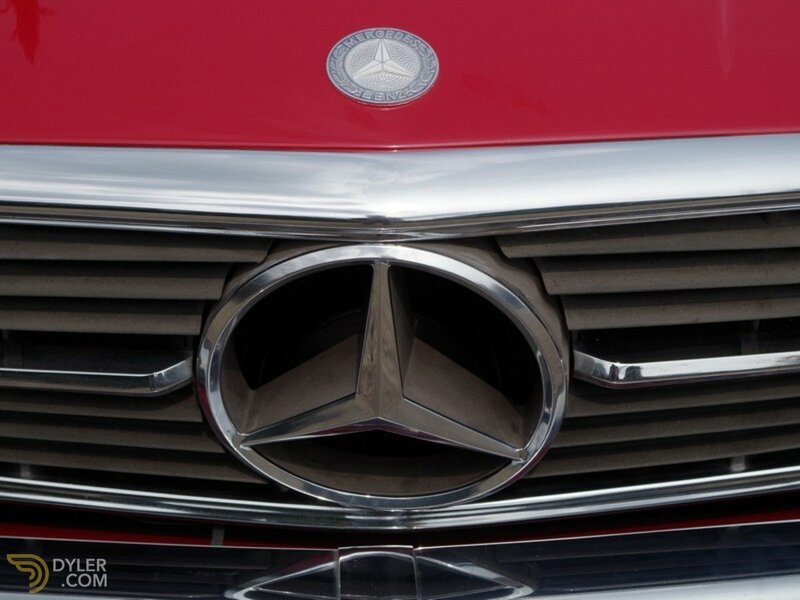 Equipped with the most powerful engine available at the time, the 240 bhp strong 5.0 V8. 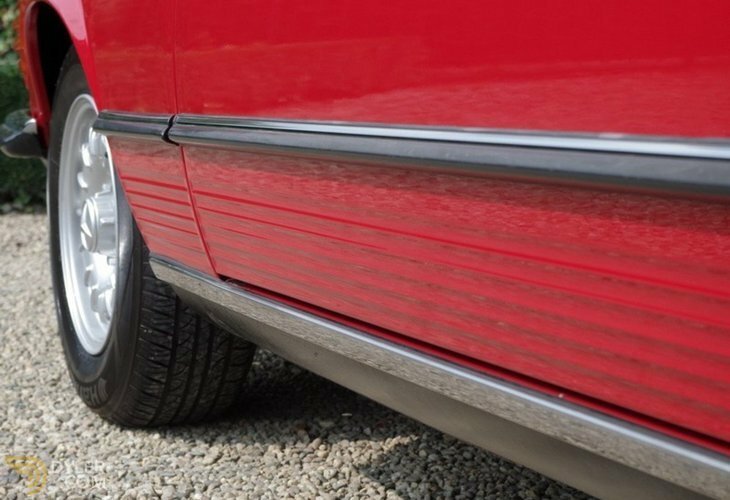 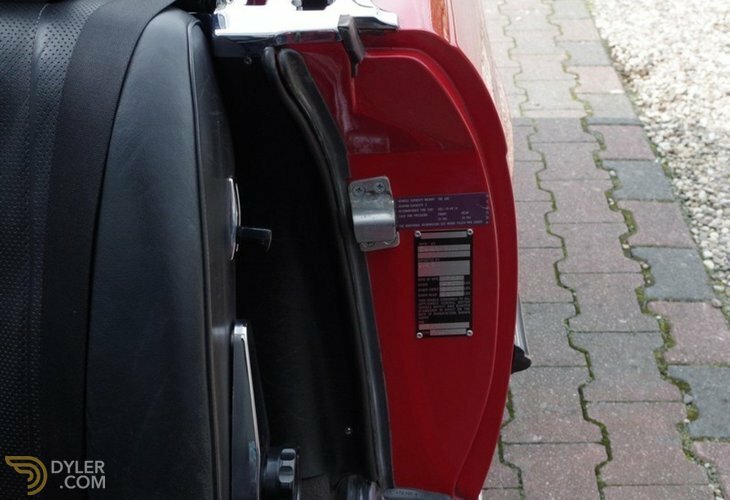 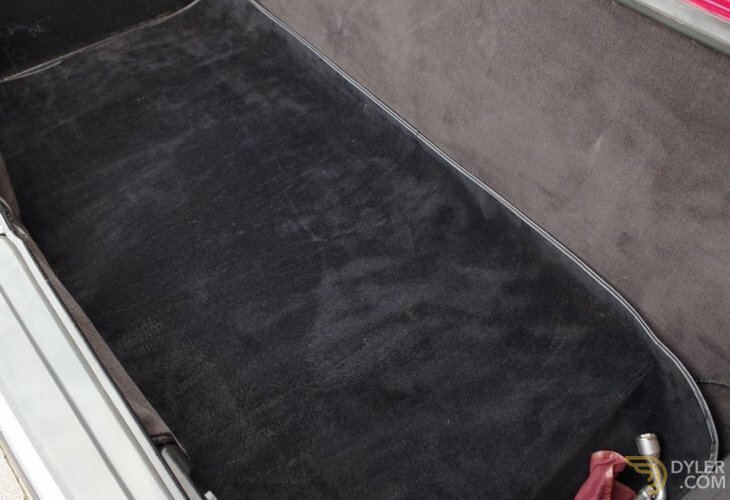 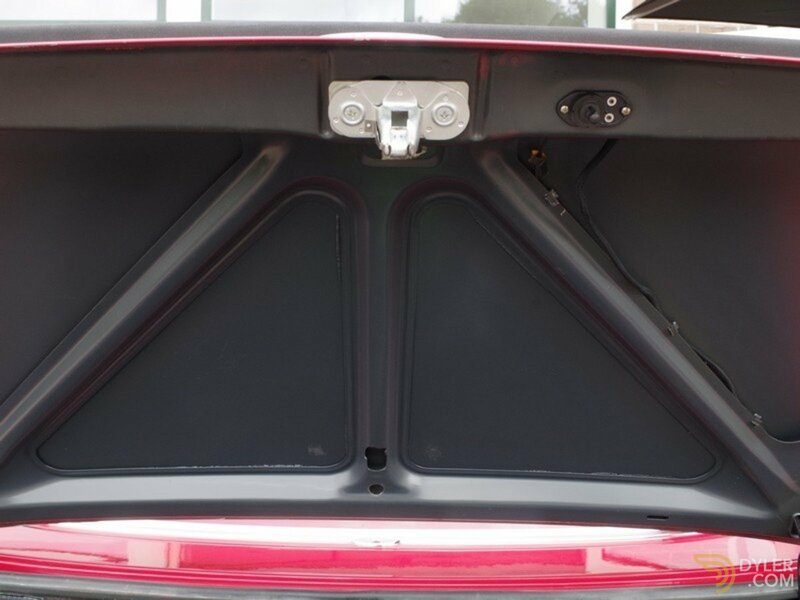 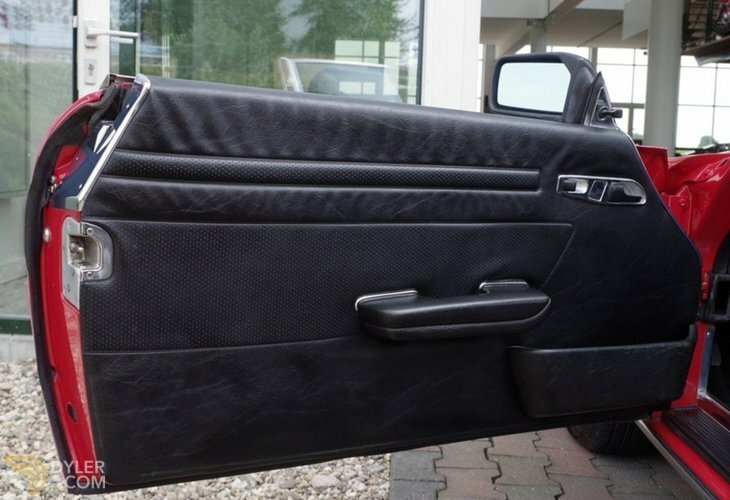 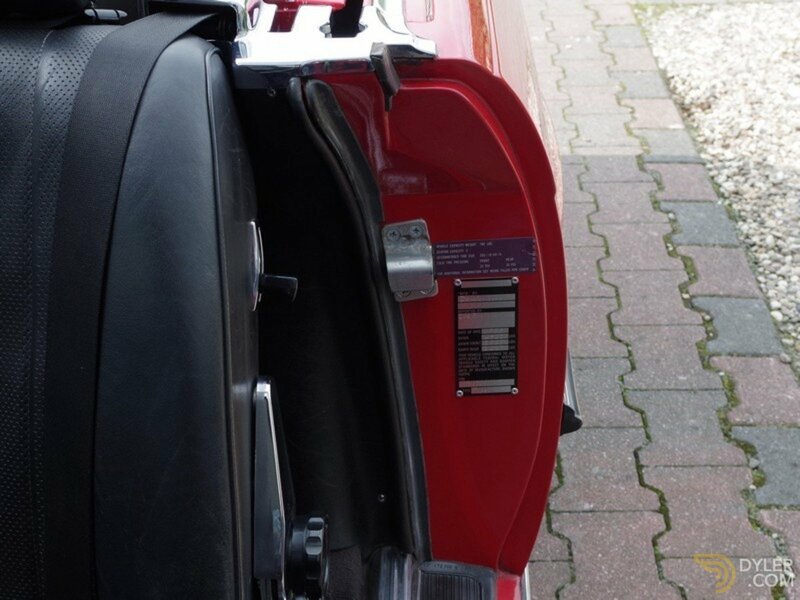 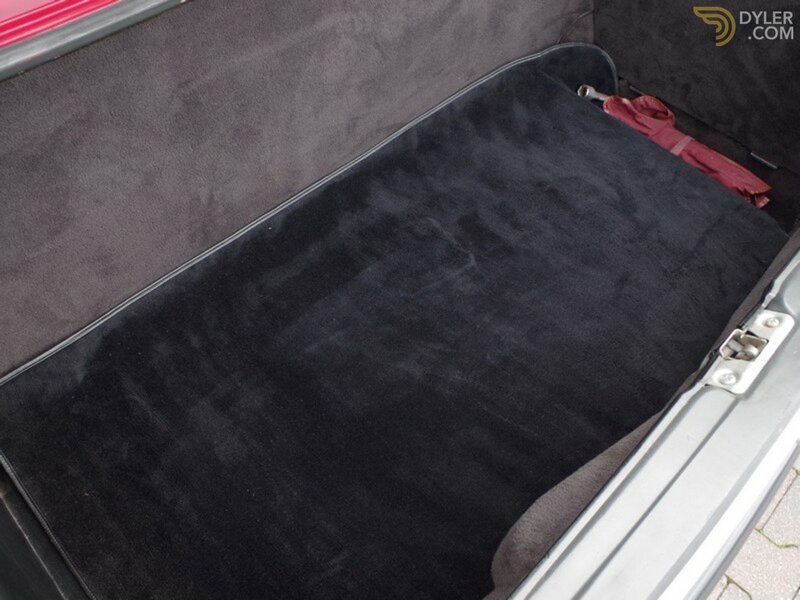 It has numerous factory fitted accessories such as; rear spoiler, alloy wheels, and other modern-day luxury items; cruise-control, airbags, ABS, electric adjustable mirror, automatic climate control, headlamp washers and a limited slip differential. 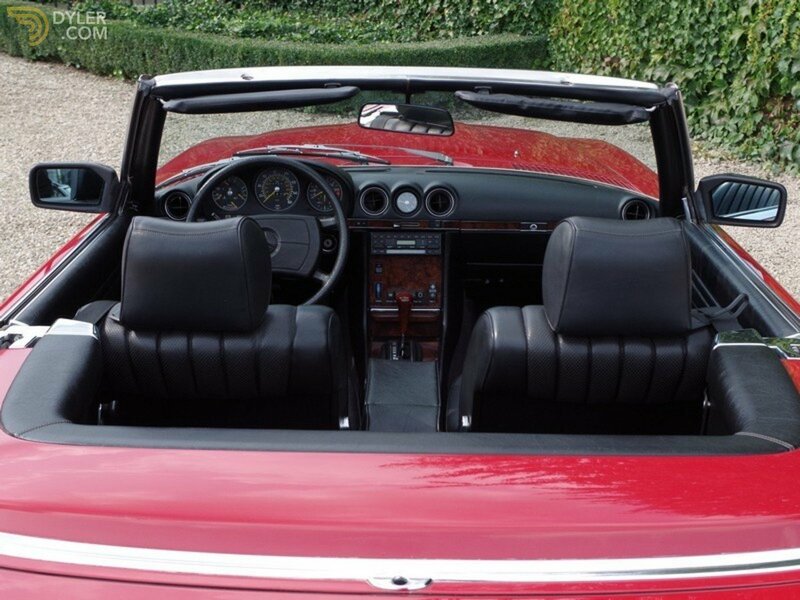 Also equipped with an electric black soft-top, unique! 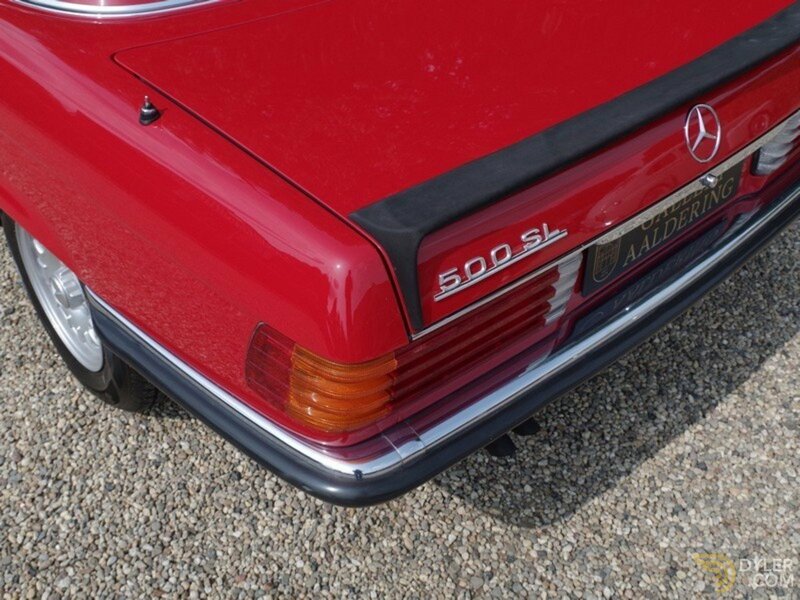 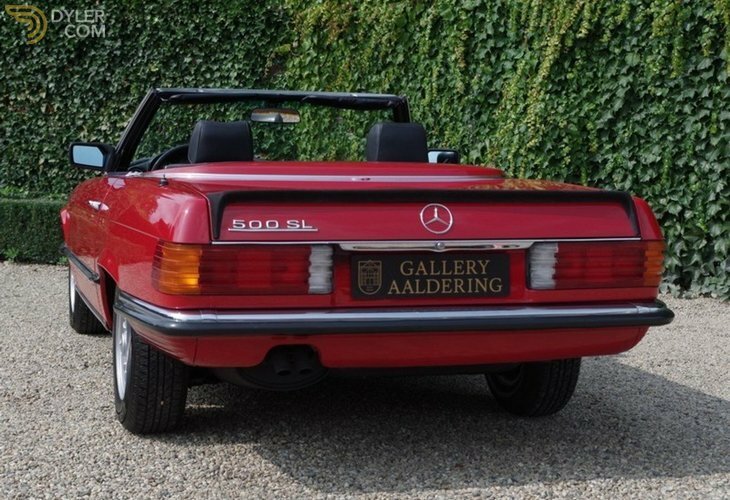 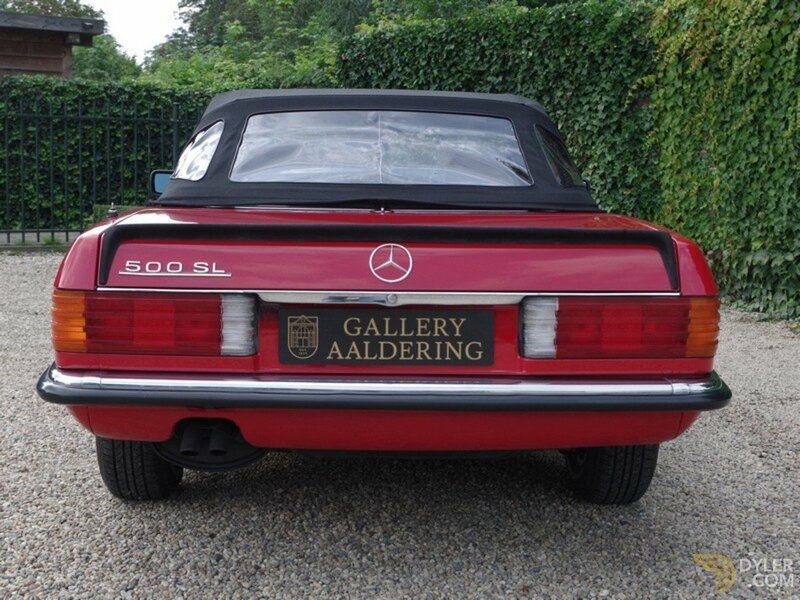 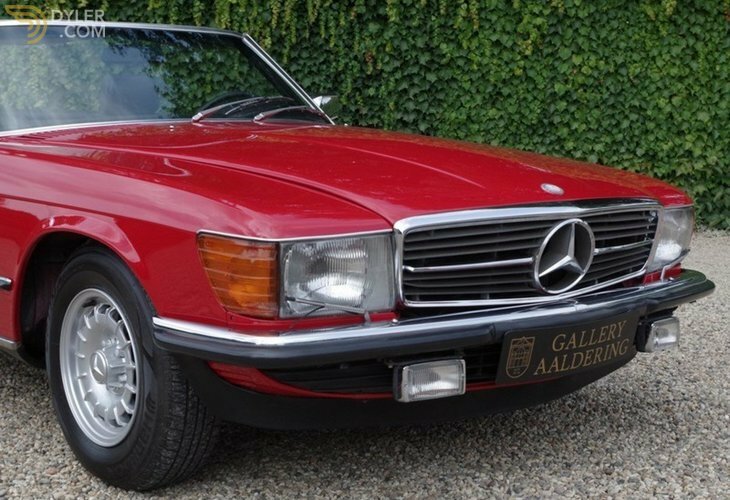 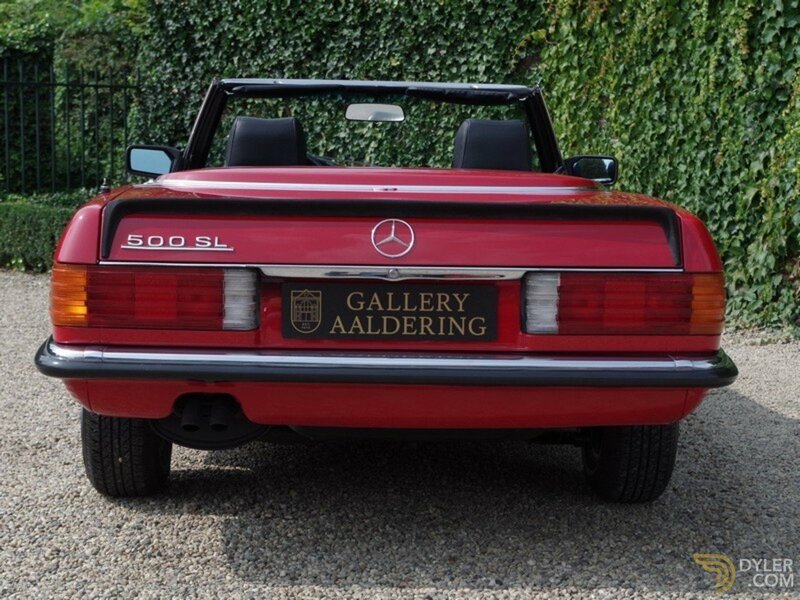 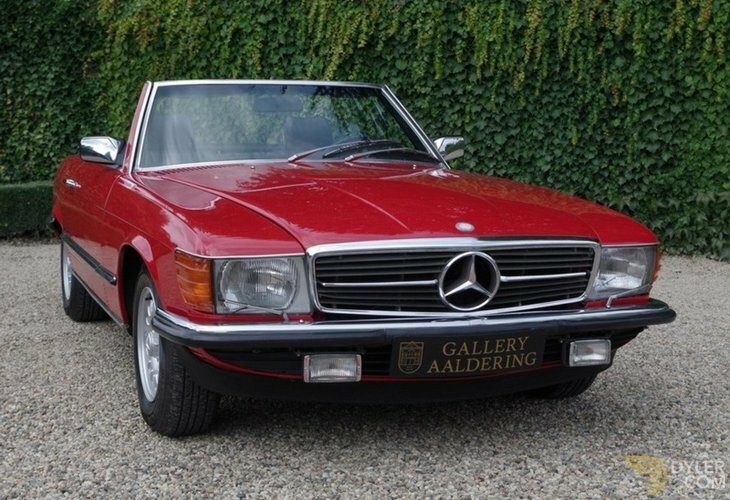 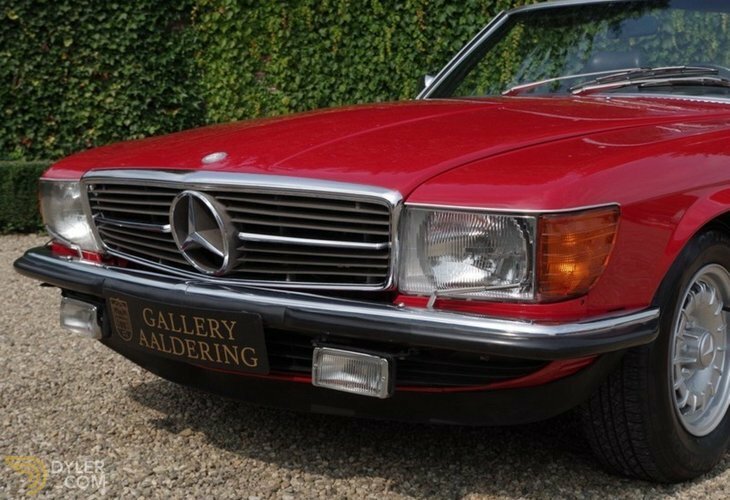 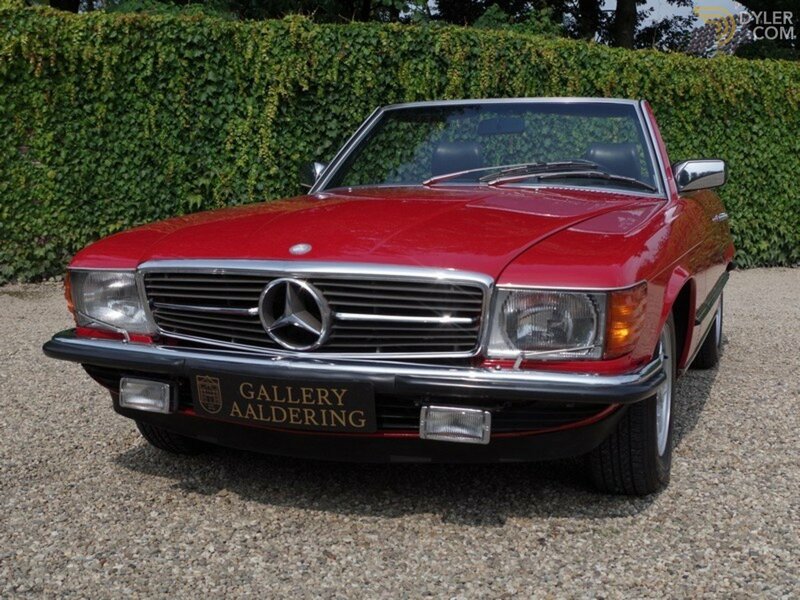 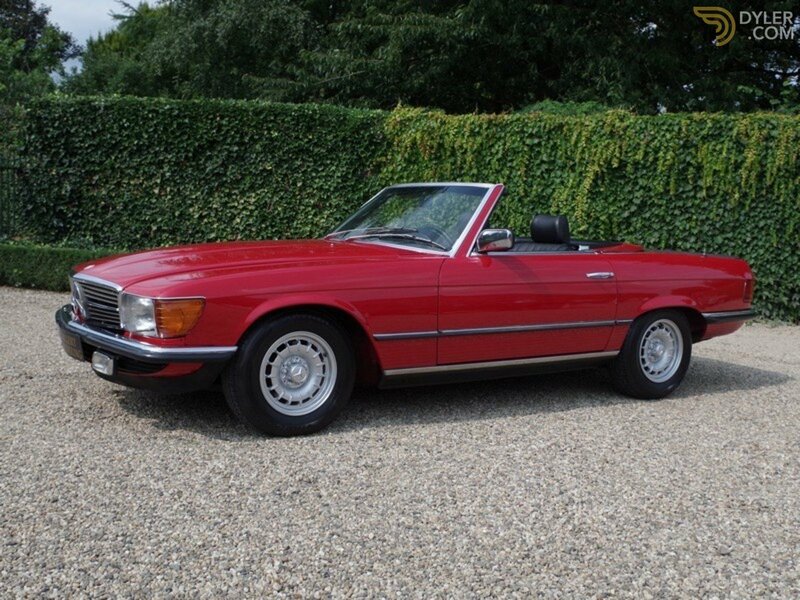 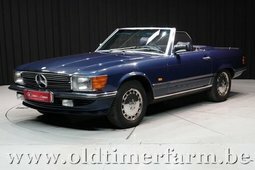 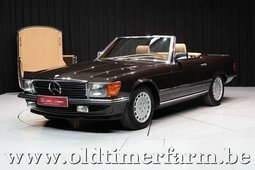 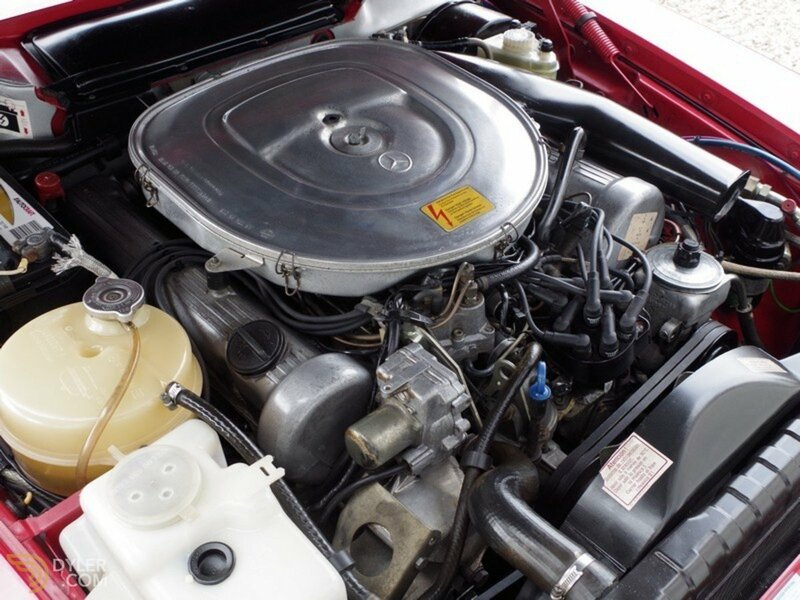 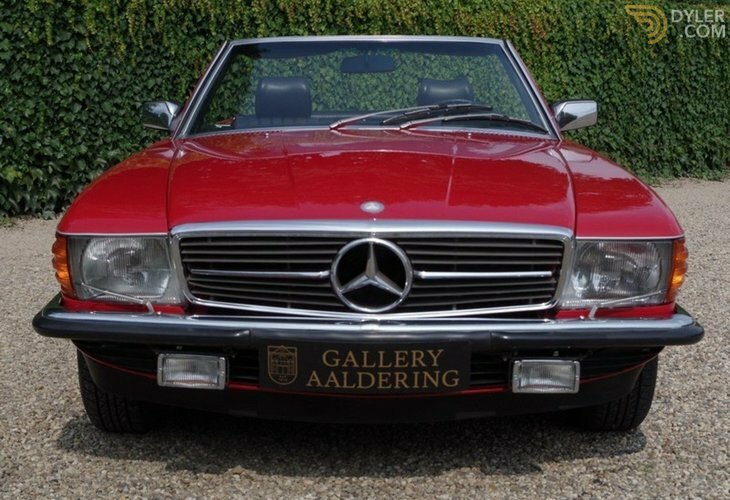 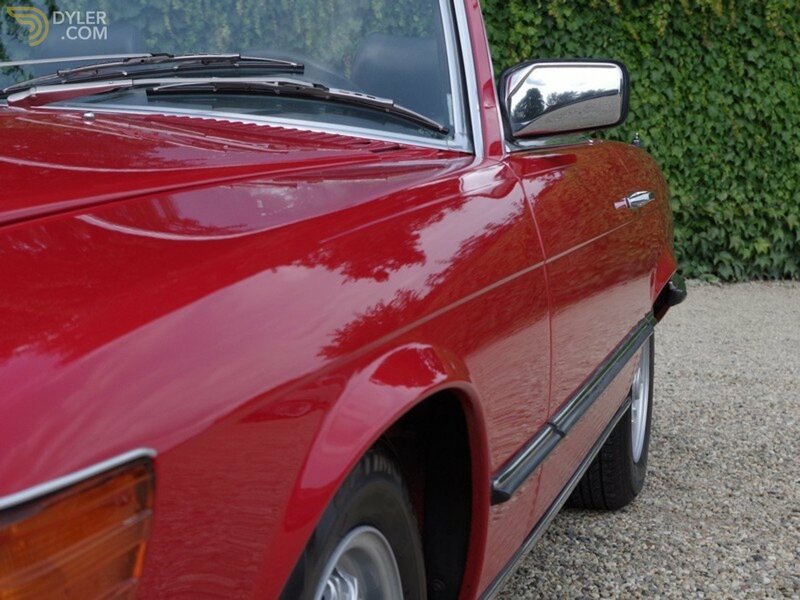 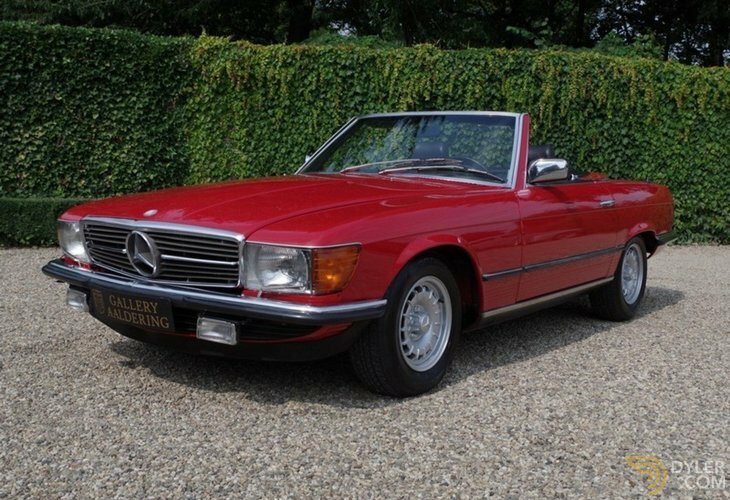 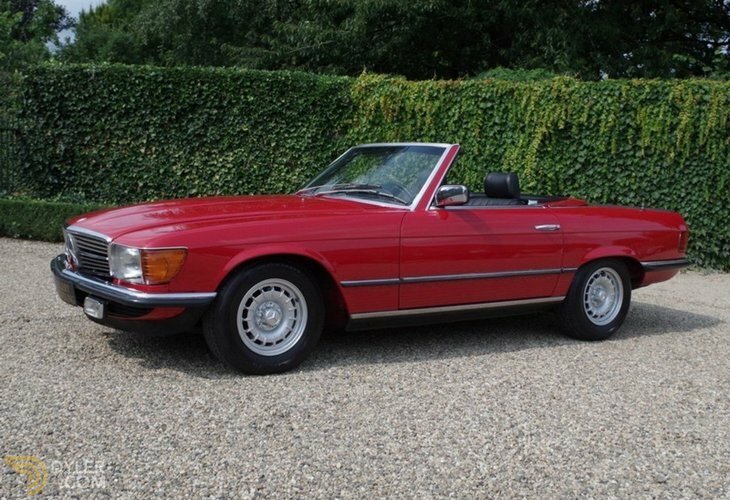 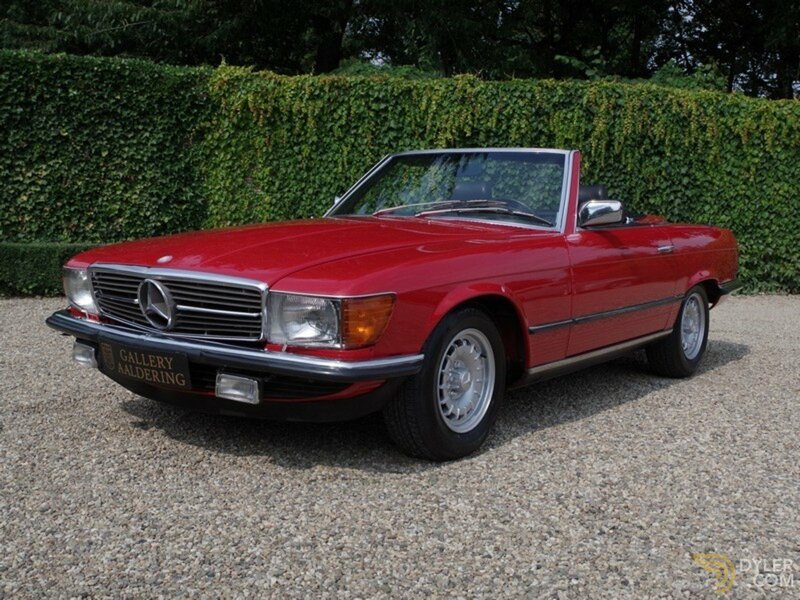 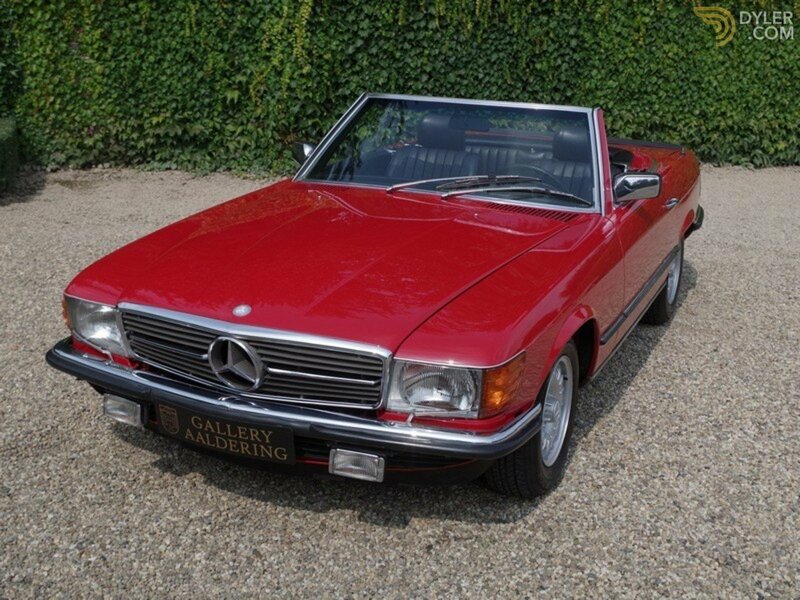 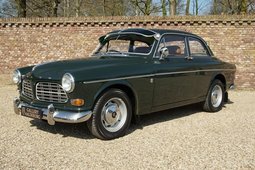 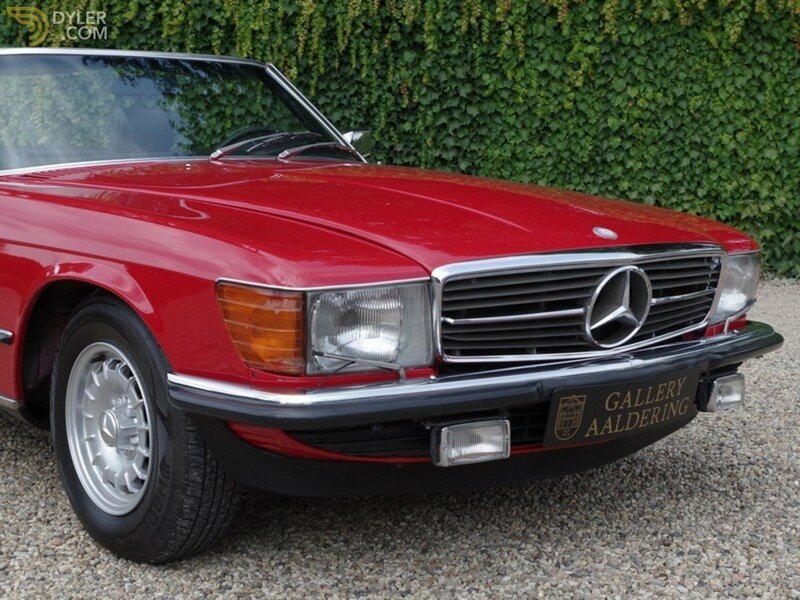 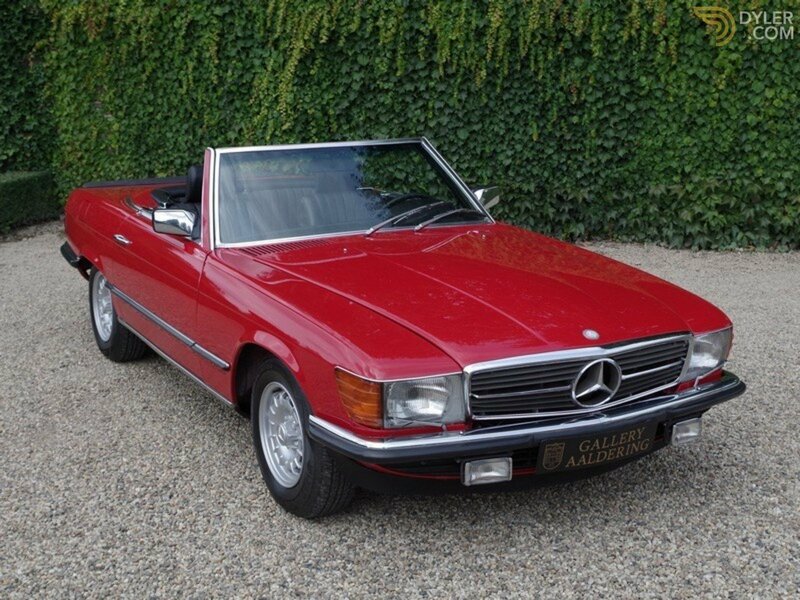 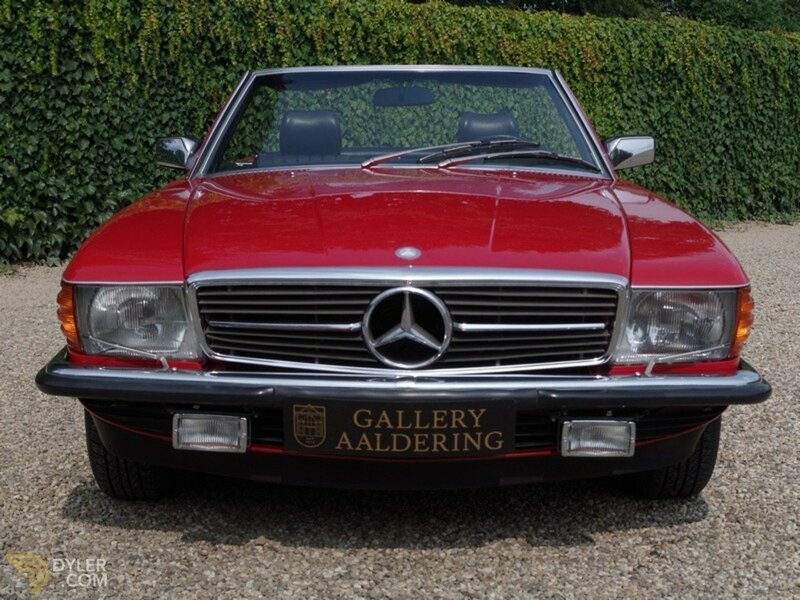 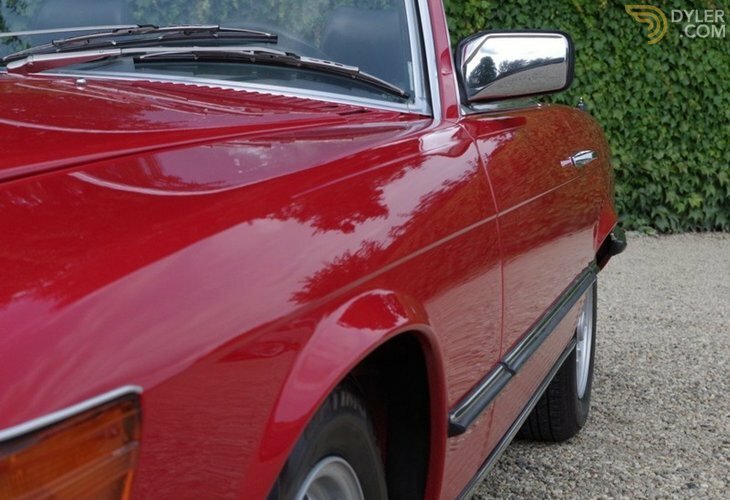 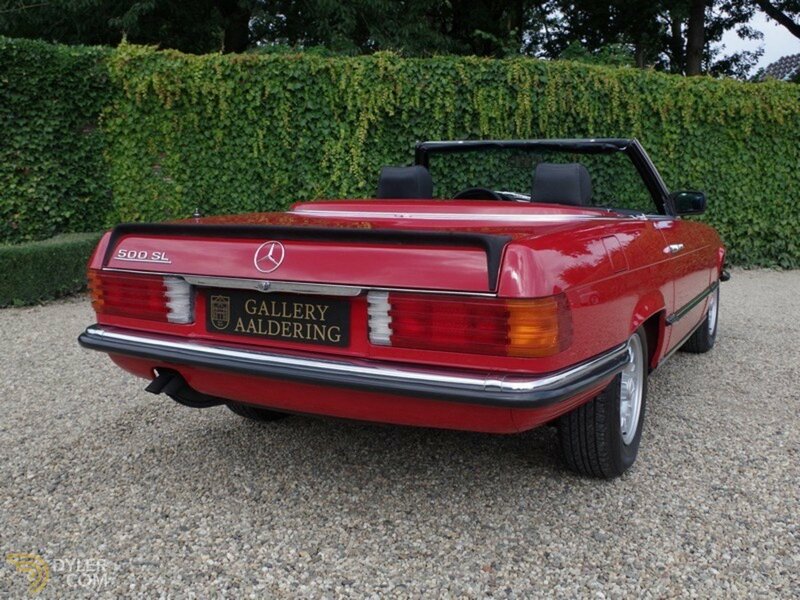 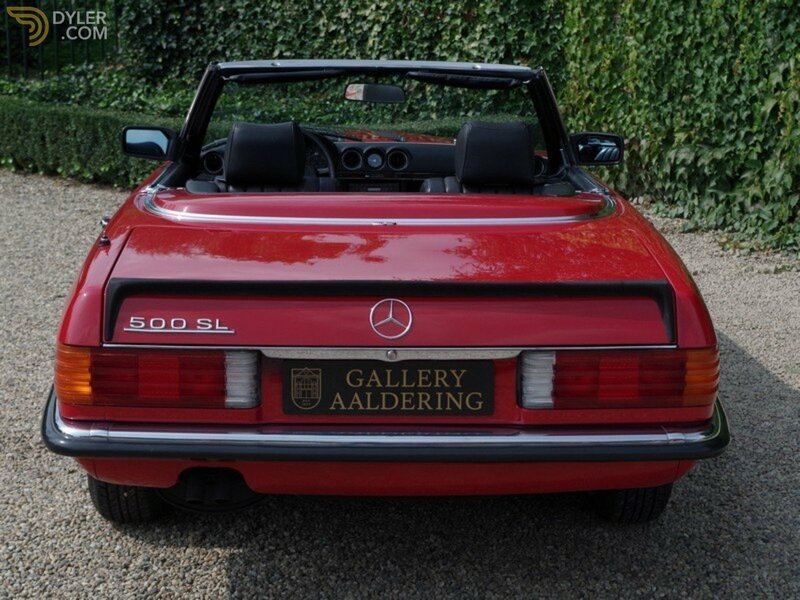 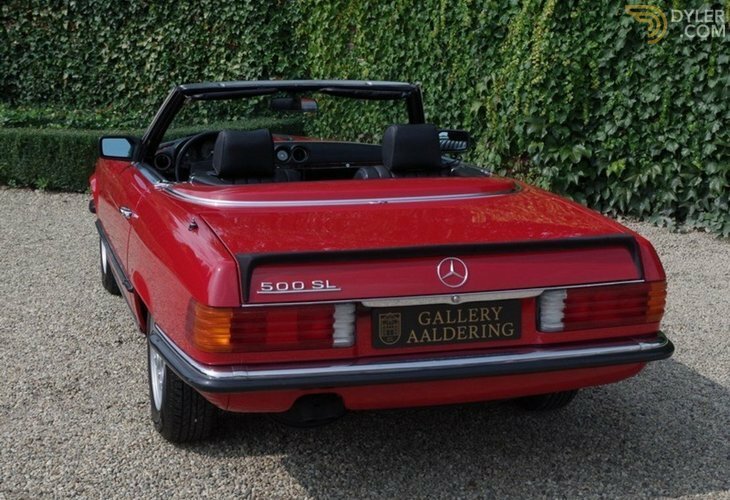 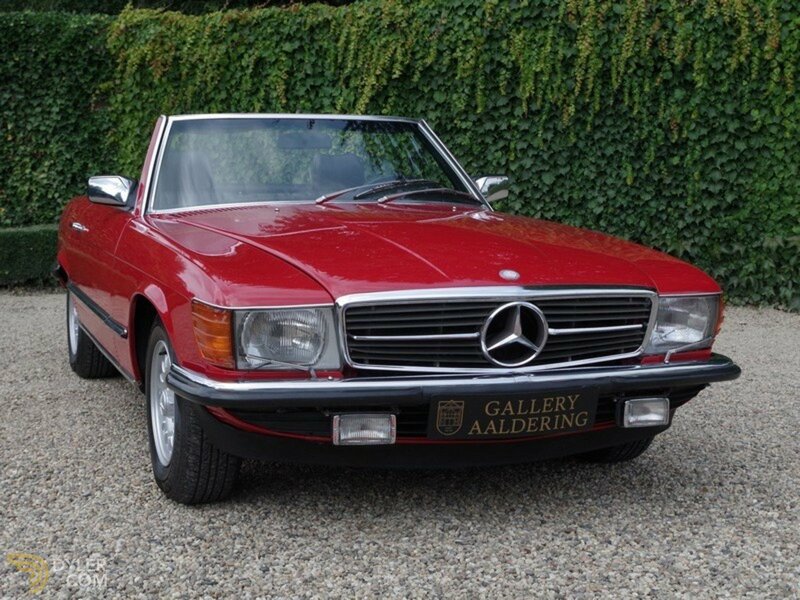 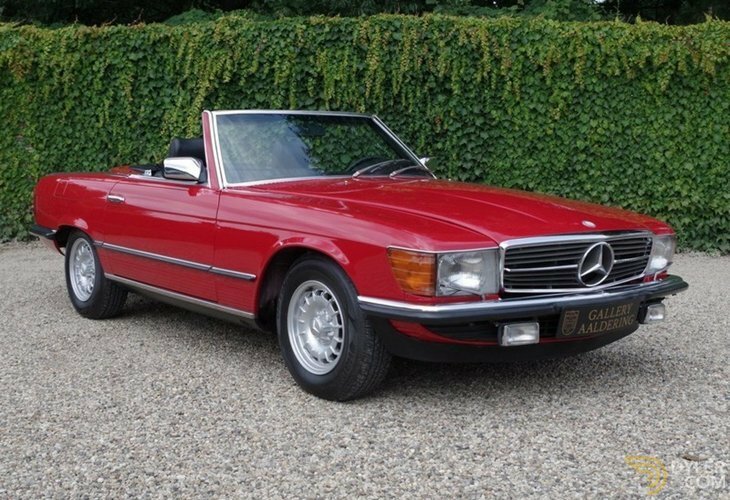 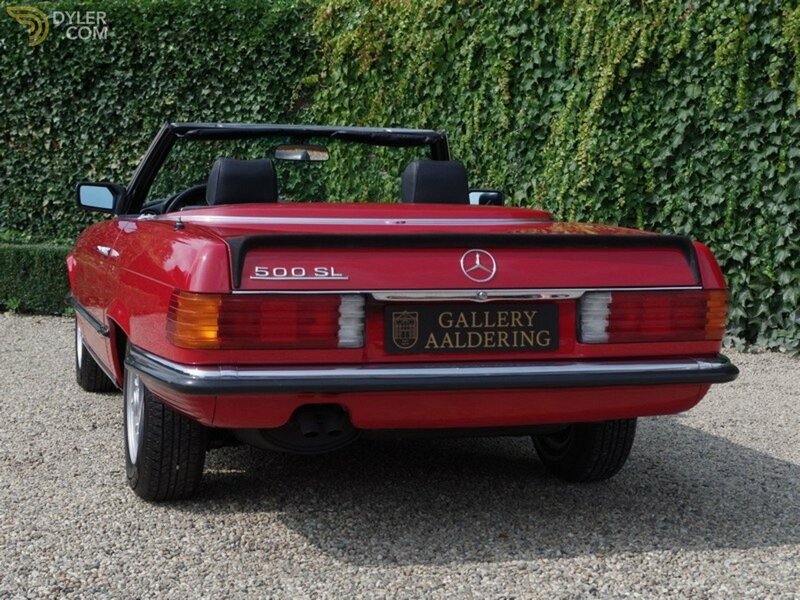 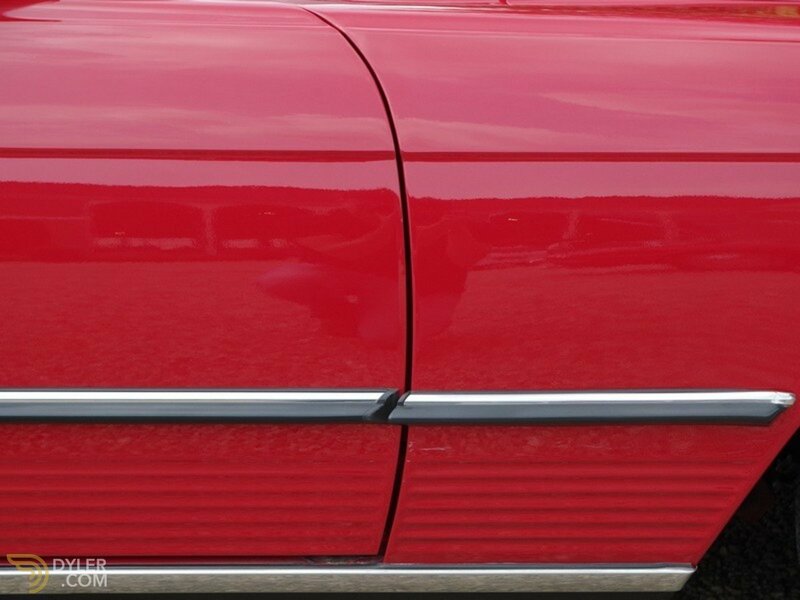 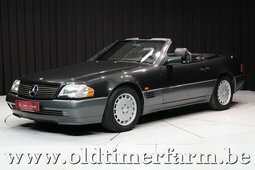 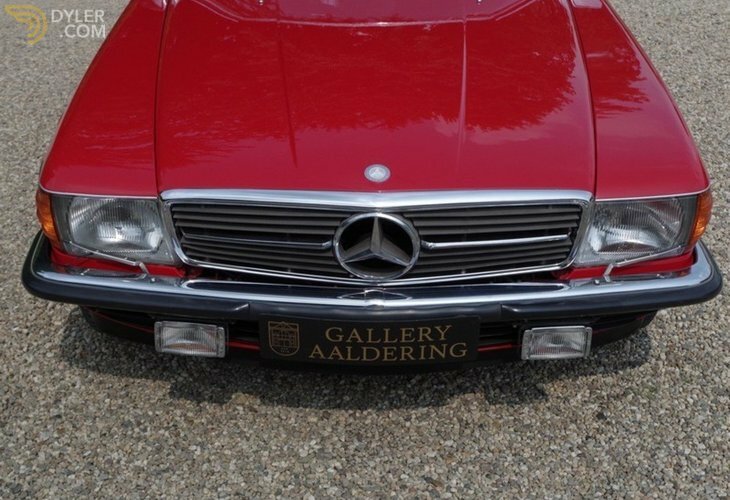 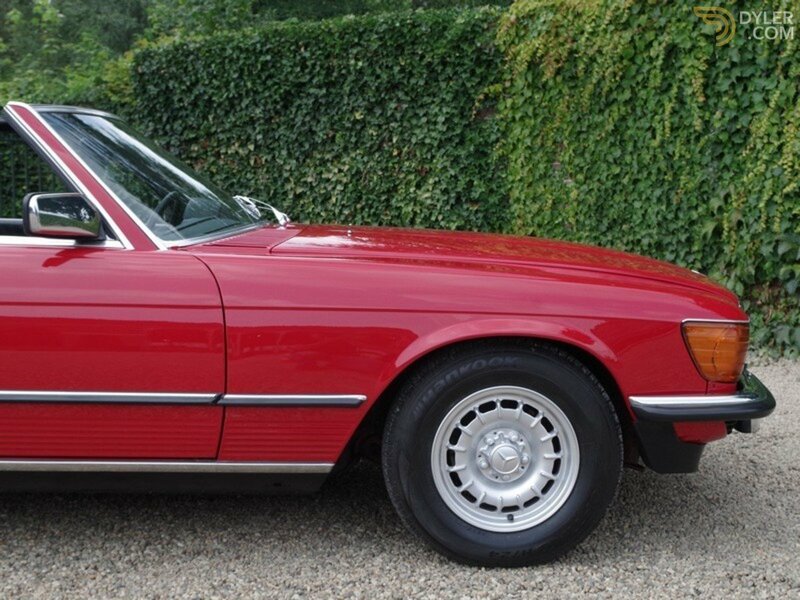 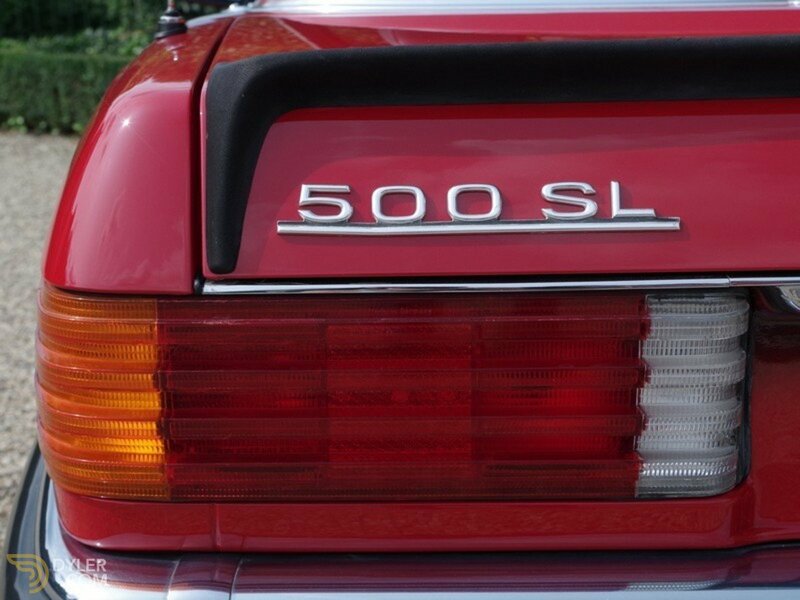 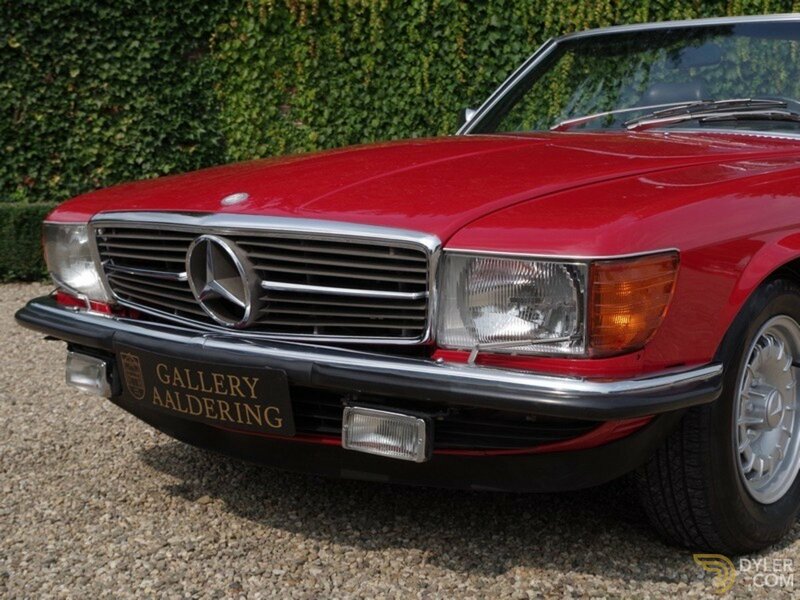 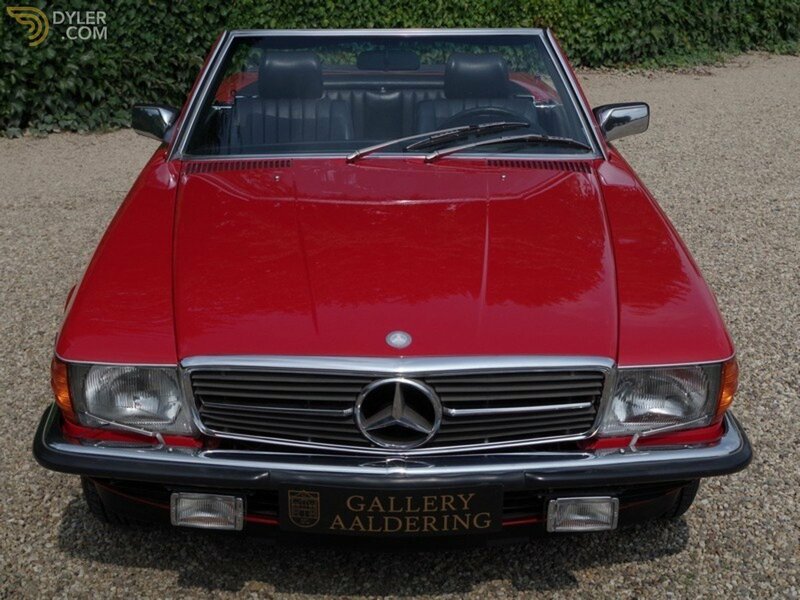 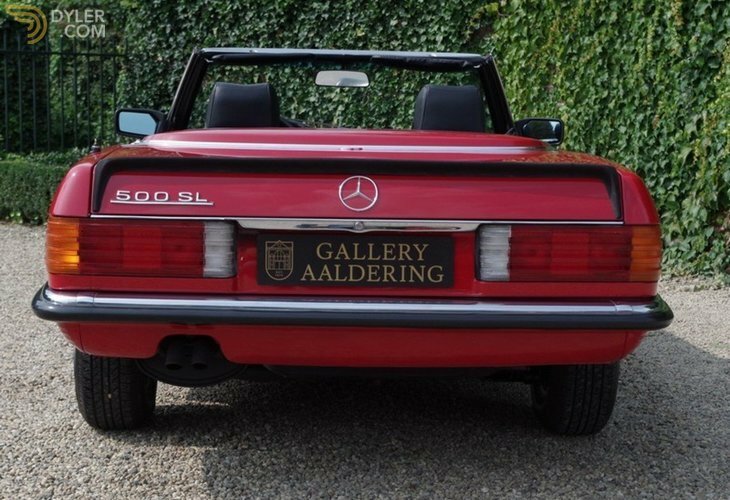 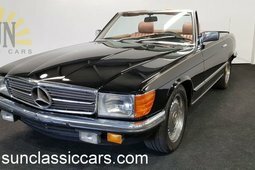 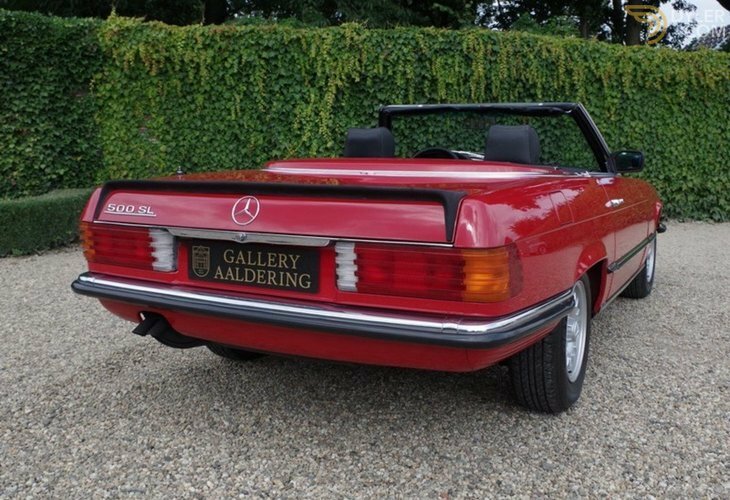 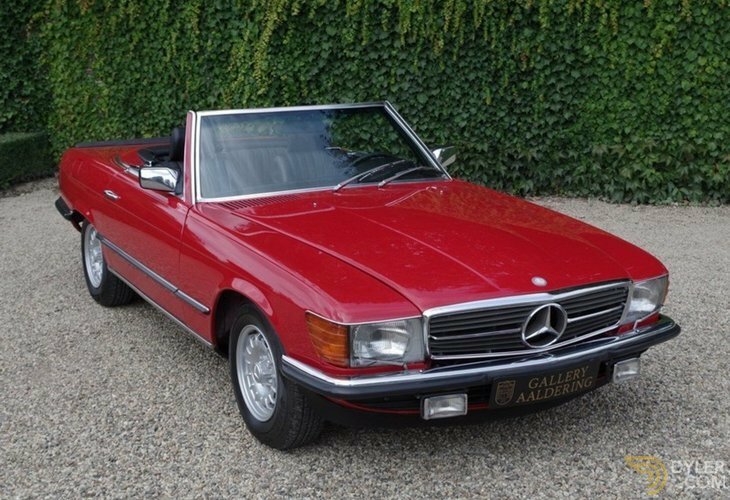 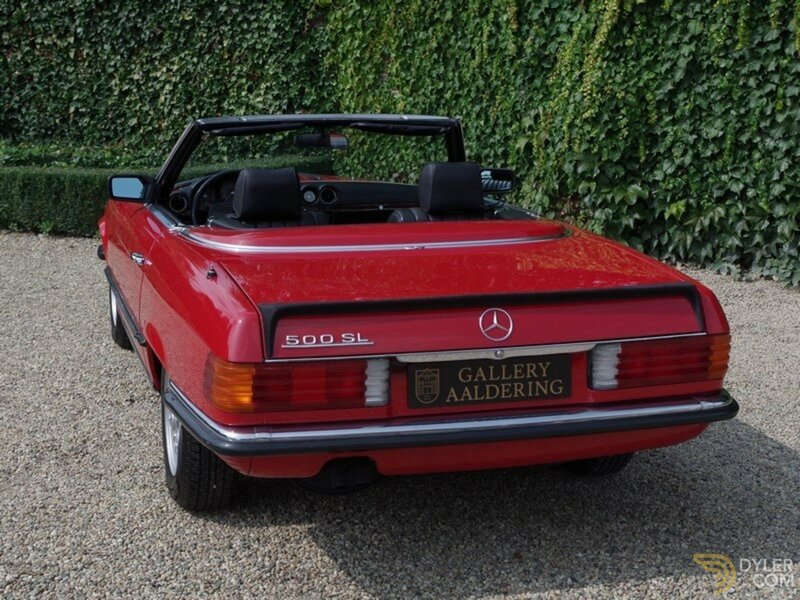 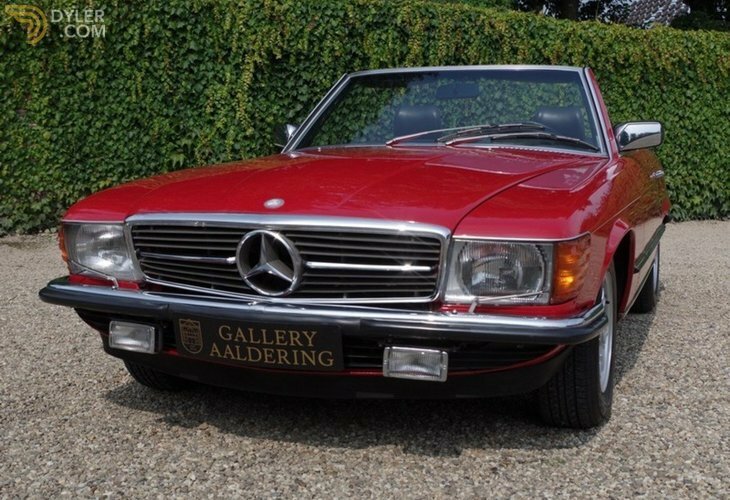 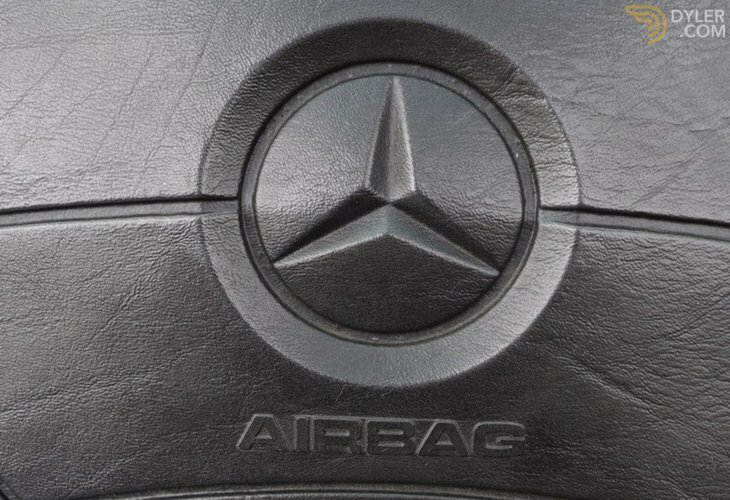 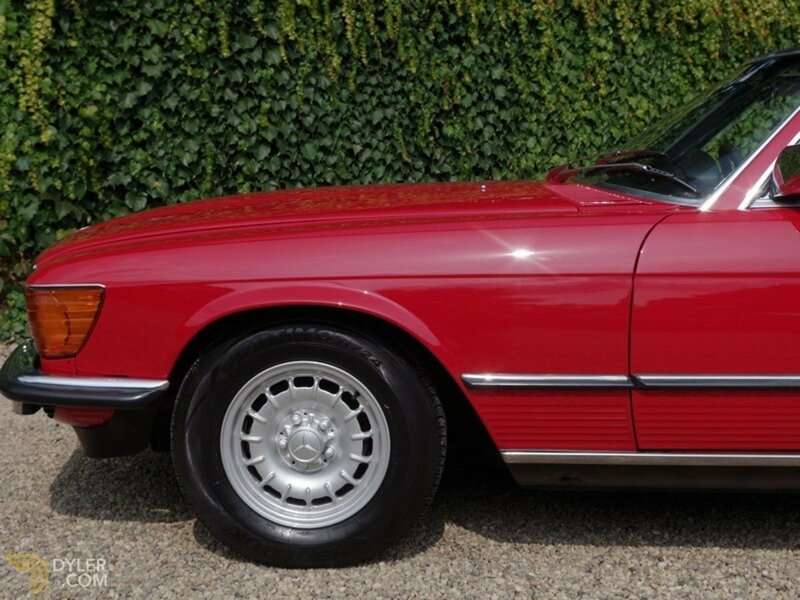 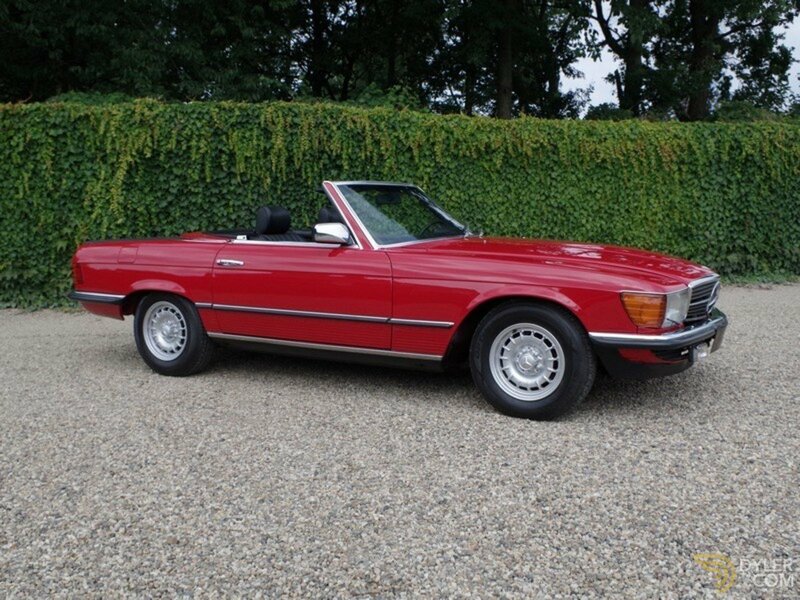 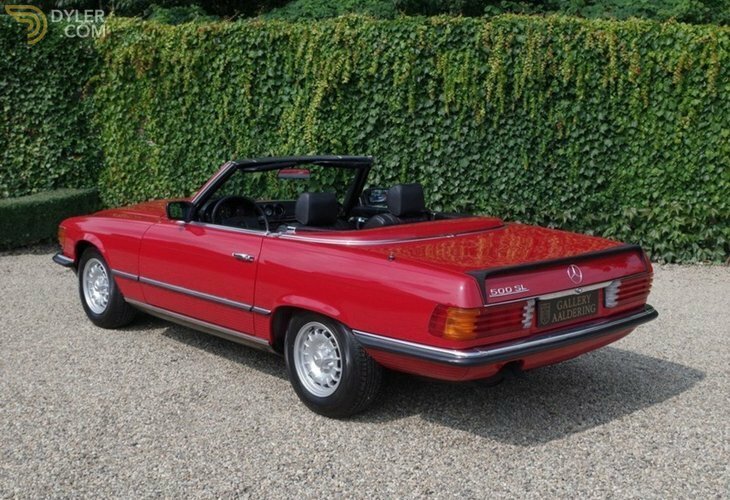 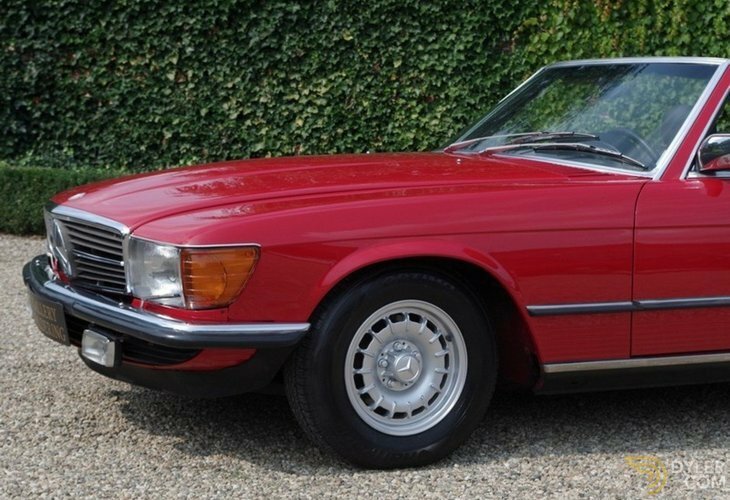 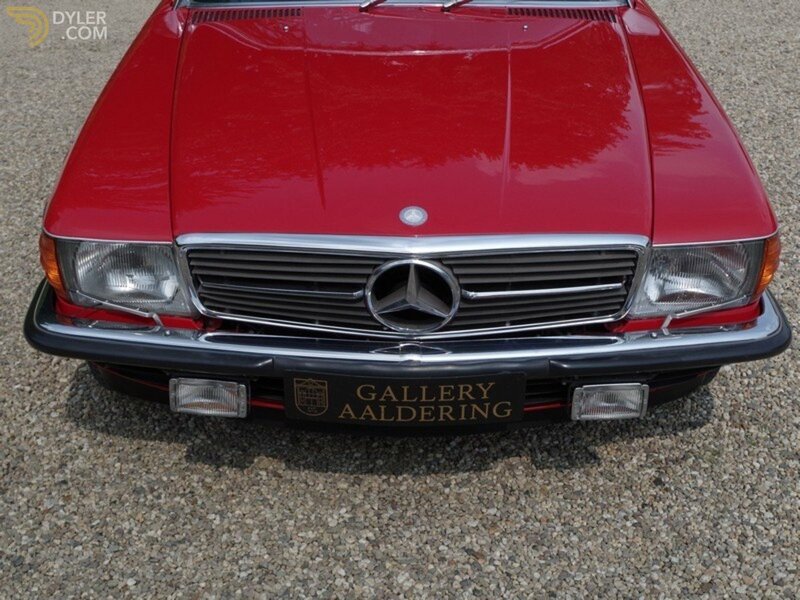 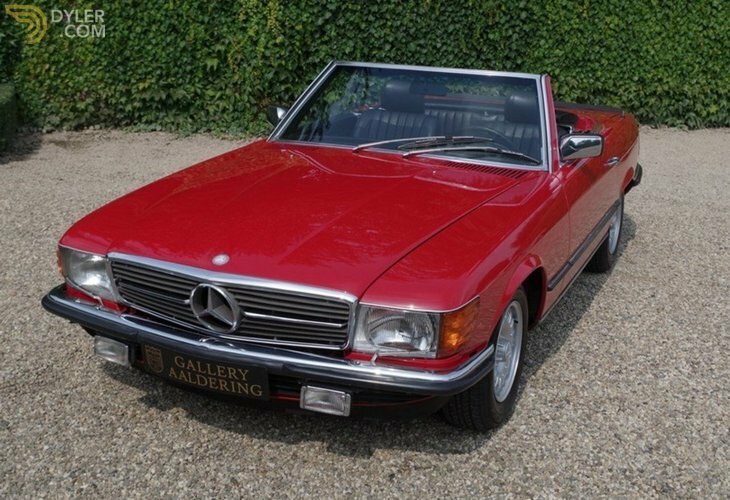 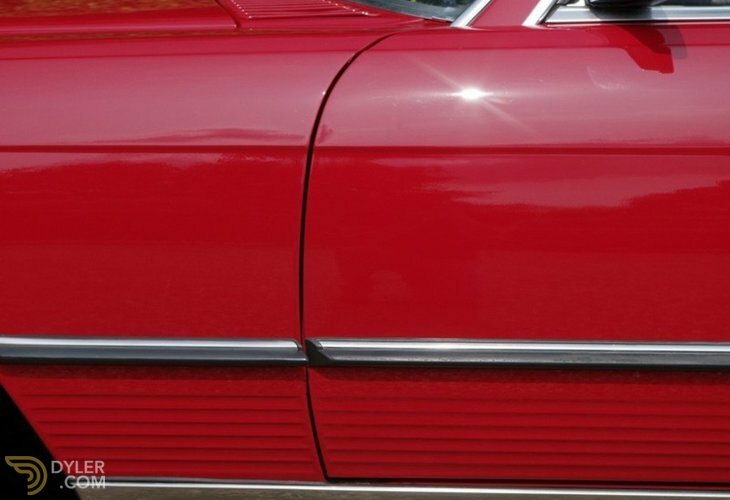 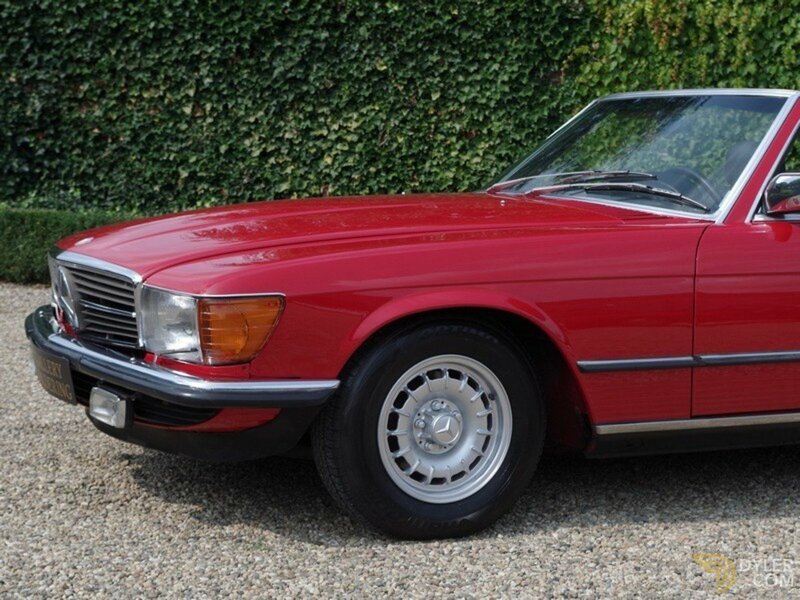 Highly original 500SL W107 with a low mileage!